Lucille Abendanon lives an unconventional life on the move. Over the past 15 years, she has lived in six countries on three continents. Her identity is stuck, not so much between a rock and a hard place, as between Dutch canals and the African sun,and English country lanes, and Turkish minarets, and chaotic Thai streets… Lucille holds an MA in International Studies and is a published writer. As an amateur historian, she explores her identity partially through researching her family, which has been moving around internationally for generations. She blogs about her expat life and her exploration of identity at www.expitterpattica.com. 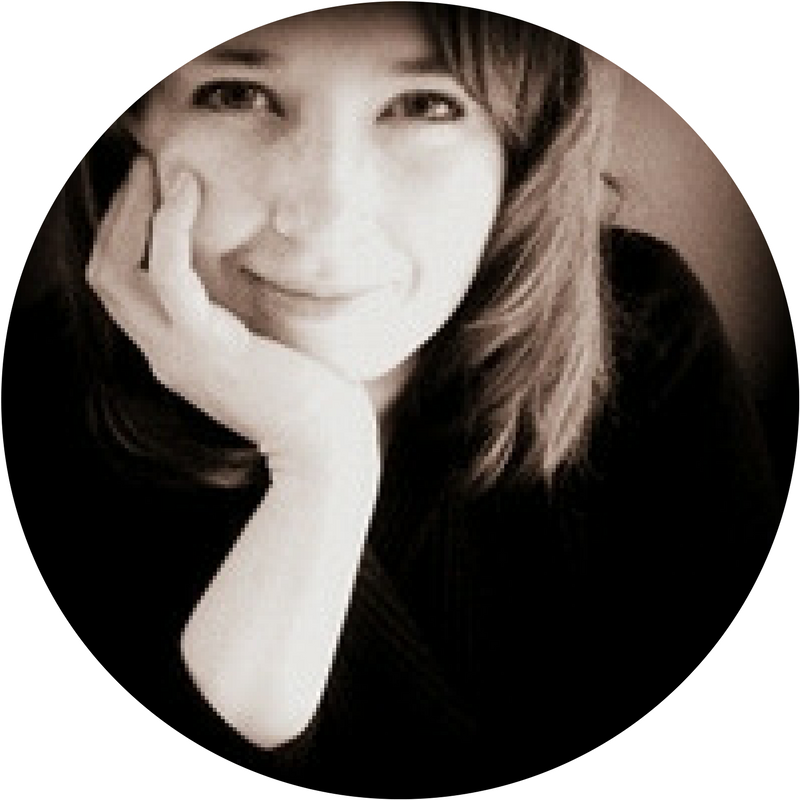 Caroline Allen is an award-winning novelist, visual artist, and book coach. She has helped hundreds of people unleash their stories, and get their books out into the world. An expat for many years, she was a newsroom journalist in Tokyo (during the death of Emperor Hirohito), a travel writer across SE Asia, and a journalist at London dailies, with stints at The Independent (during the death of Diana) and the Financial Times. Caroline's award-winning novels explore the struggle and excitement of the expat experience. The Elemental Journey series follows one protagonist over five books as she travels the globe in search of purpose. The third novel in the series, Fire, was just published this month. 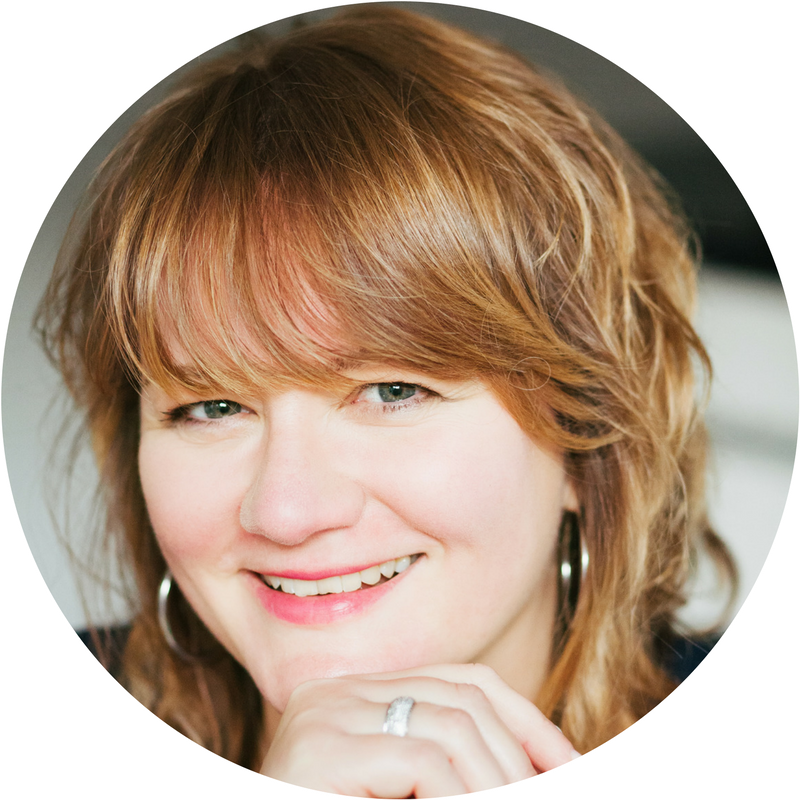 Caroline founded a book coaching business, Art of Storytelling, and works with emerging writers all over the world to help them write their books. Donnyale Ambrosine uses her global background, academic training, and career experience in media, management and business to emphasize hidden diversity through CULTURS, a one-of-a-kind digital-first print magazine and product marketplace that addresses global/mobile cultural identities. An Afro-Latina living on five continents and identifying with seven cultures by age 19, she passionately creates community for cross-cultural populations. She presents around the globe at conferences, universities and in media as an expert focused on entrepreneurship, marketing, branding and cross-cultural excellence; and developed curricula for global culture identity. 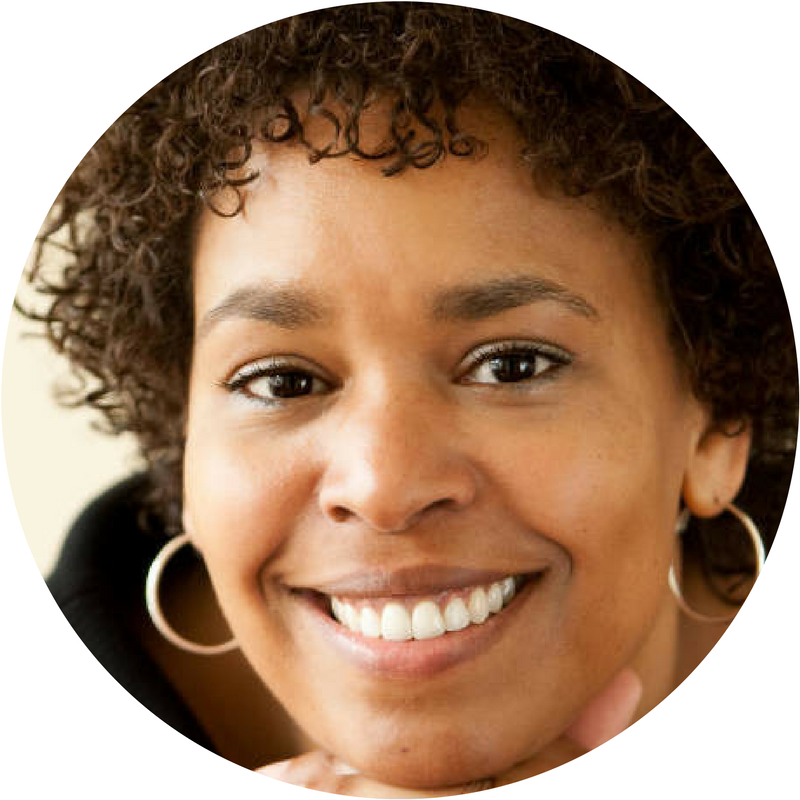 She has worked in-front-of or behind-the-scenes with Oprah Magazine, ABC's The View, Lifetime Television, Woman's Day, Woman's World, and Oxygen Magazine. Doni is currently serving on the FIGT Board of Directors. 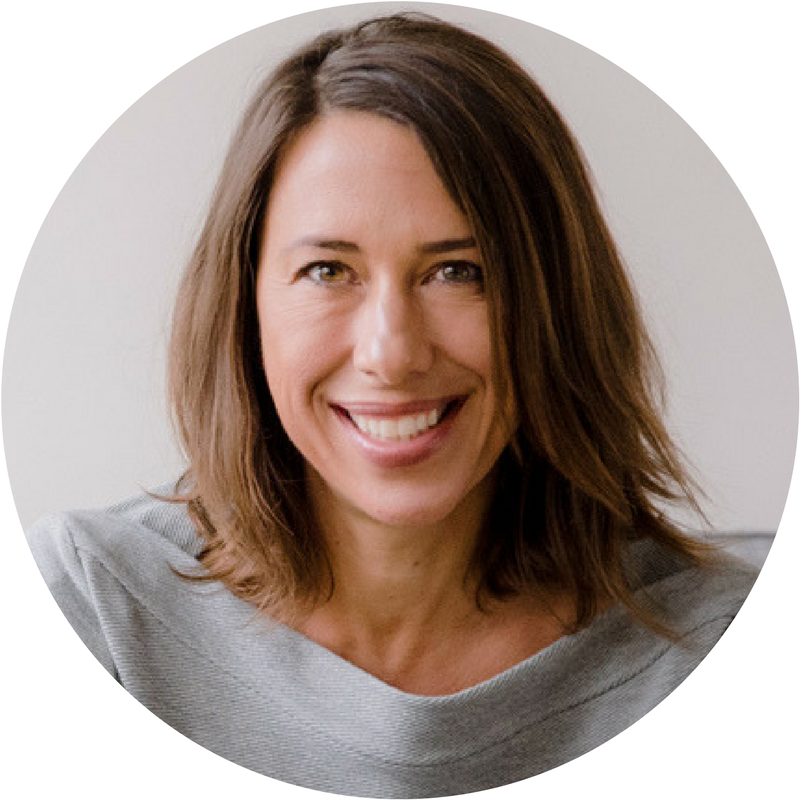 Dr Laura Anderson is a clinical child and family psychologist, licensed in Hawaii and California, who has worked with children and families for twenty years. She has lived outside of the US on four occasions and on four different continents. Most recently she lived, worked and parented in an international school community in West Africa. Laura is also an adoptive parent of an internationally adopted child. Currently based in Oakland, California, she provides videohealth services to members of the expatriate community. Her areas of expertise include school consultation, assessment of children and adolescents, support for adoptive families, support for gender expansive youth and their families, helping children cope with anxiety, parenting adolescents, and improving family communication styles. Cornelia Asanger-Lexa’s mission is to empower her clients to thrive abroad by embracing diversity! She specializes in working with international people, people who consider themselves as citizens of the world and who make a home in more than one place. She works with international companies to successfully navigate cultural diversity in the workplace by embracing differences and seeing multicultural teams as an asset, not a liability! She is a certified professional career and transition coach and holds several other certifications such as Parenting, Leadership and Group Coaching qualifications. 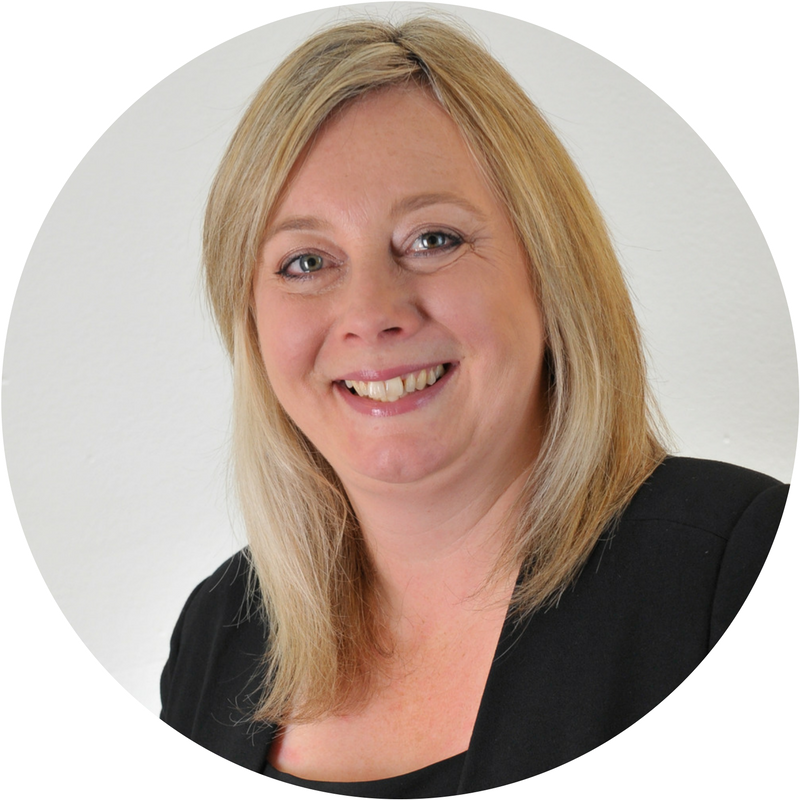 She has 15+ years as an international Finance and Senior HR leader for a range of sectors and industries. Her website is Career And Life Coaching. 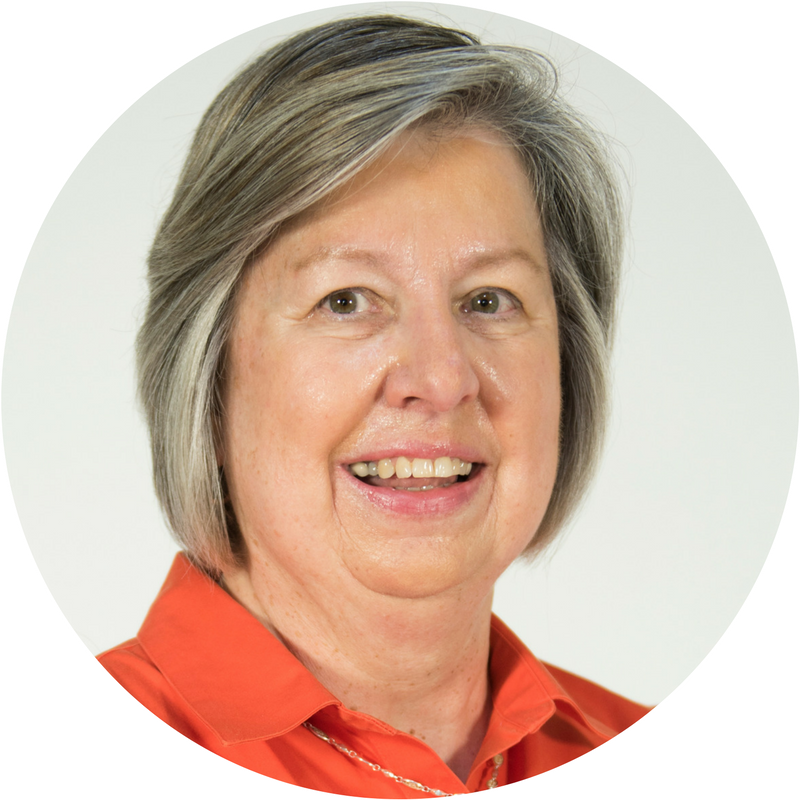 Sue Aspinall is an experienced head teacher leading schools in Malaysia, inner London, Japan and currently the British School in the Netherlands. She is an advocate for the benefits of a 3-18 international school experience for today’s globally mobile young people. 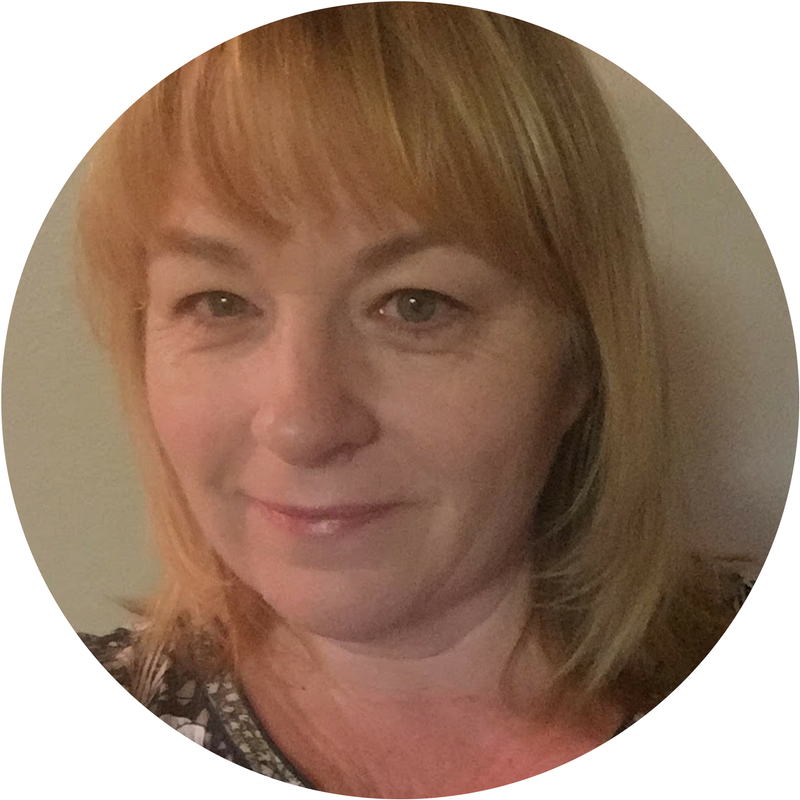 Sue is particularly interested in supporting the smooth transition of mobile families into a school community and has worked extensively with parental groups to find ways to make this work well. She ensures that students have a curricular experience that is enhanced by the diversity of the student community and remains dynamic, relevant and meaningful to their lives. George Berger enjoyed a successful career in magazine and book publishing with stops at Time, Discover, and Sports Illustrated magazines. "It was," he says, "fun, glamorous, and exciting." Later, George decided to follow a deeper, long-standing passion - training and handling dogs for therapy work with hospital patients, students, and others in need of comfort and non-judgemental interaction. George and his dogs have been certified by three US/international organizations to participate in the highest levels of therapy dog work including Hospice and acute mental illness. In 2015, George co-founded Therapy Dogs of Rockland, which became an affiliate of the prestigious Intermountain Therapy Animals. Since beginning their therapy dog journey, George and "Dixie," "Paco," and "Seamus" have made more than 4,000 visits. Sandra Bissell is a Japanese-Italian-Brazilian citizen, who has been living the expat life for more than two decades - as an immigrant, an expat and even as an expatriate in her own country. During her several moves between Brazil, Japan, Switzerland and the United States, Sandra has enjoyed a variety of roles in marketing, ESL teaching, international real estate, relocation and most recently, as a professional transition coach and founder of the ExpatJoy Blog – Passionate Global Living - a blog about the joys and struggles of international living. She is a senior practitioner of Capoeira, an Afro-Brazilian-martial-art-dance and enjoys ethnic food, learning languages, and traveling, of course! Janet Botcherby completed an MSc in International Human Resources Management (IHRM) at Henley Business School. She had a successful career in HR, management development, consulting and coaching in the finance, energy and business sectors. She is now researching 'How expatriates adjust and reintegrate on return from international assignment' for a PhD. Janet's background in psychology, IHRM and her professional and personal experience of living and working in the UK, Egypt, India, and North Africa gives her a global perspective. She offers orientation programmes, global leadership coaching, cross-cultural awareness and communications training for multinational companies. She volunteers in schools and NGOs supporting individuals and families managing transition with presentations, coaching, and workshops. Catherine Brew is an Australian who was brought up with a love of global travel from a young age. Through these experiences, she developed an interest in history, culture and how people make meaning – the foundations for her career as a heritage interpreter. She runs a consultancy, Red Plait Interpretation, helping museums and heritage organizations to create meaningful experiences for their visitors. This work connects closely to Catherine’s life as an artist, having drawn in some form or another for as long as she can remember. Her exploration of life through a pencil and eraser has been a powerful ally in learning to create a life in the UK. Catherine is currently studying for her MSc Interpretation: Management and Practice and has a cartoon book about our globally mobile lives due out in 2018. Sarah Bringhurst Familia has lived on five different continents, but she’s still not sure where (or if!) she wants to settle down. In the meantime, she lives in Amsterdam and manages Public Relations for the Expatriate Archive Centre in The Hague, where current projects include @wearexpats, a Twitter RoCur, other digital archiving initiatives, and Saudade: An Intersection of Archives and Art. 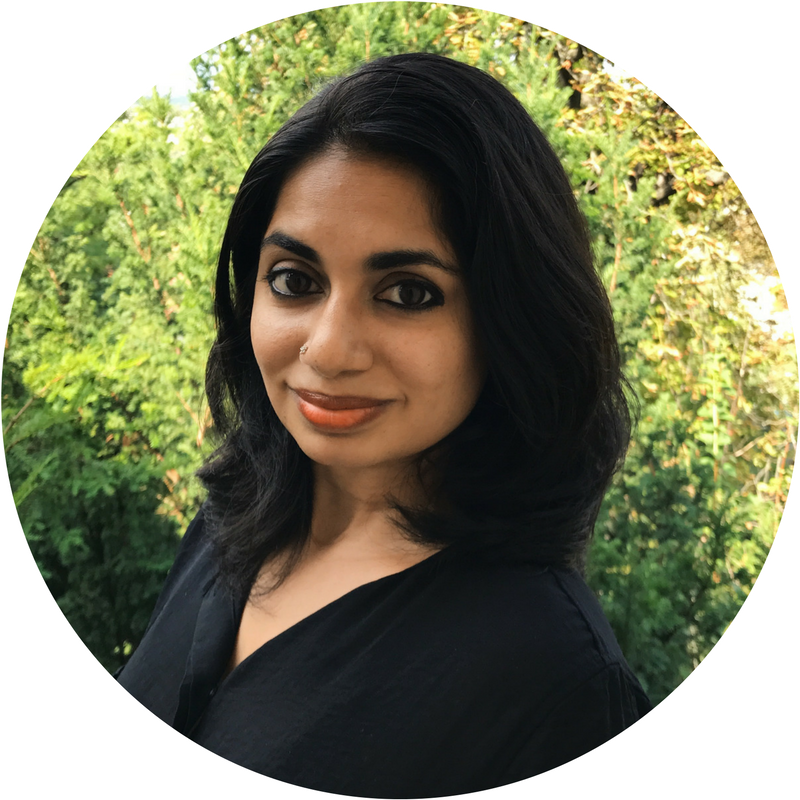 She serves on the editorial board of HiraethMagazine.com, a digital magazine and podcast that explores migration and homecoming via the literary, visual, and performing arts. Sarah blogs about her international adventures at Casteluzzo.com: in search of a dream to call home. 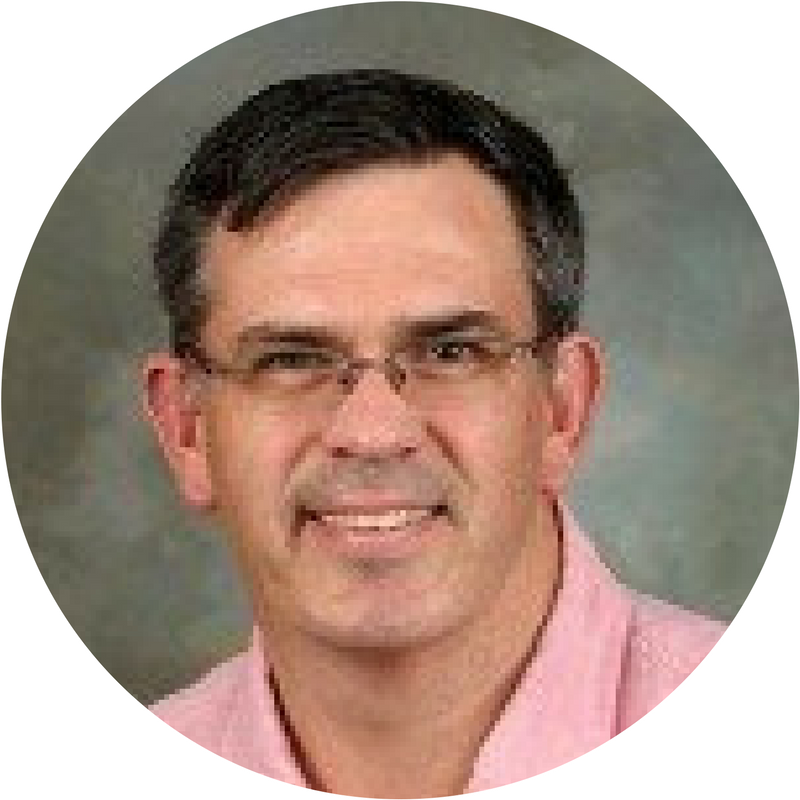 Dr Mark Burdick is a published author and licensed US Psychologist (educational and clinical), Chartered UK Psychologist (Associate Fellow designated), and European Psychologist. He is a true ATCK who was schooled in Europe and USA, and has also lived in the UAE. He is committed to creating ‘healthy families’ worldwide and finds best fit for schools and treatment. 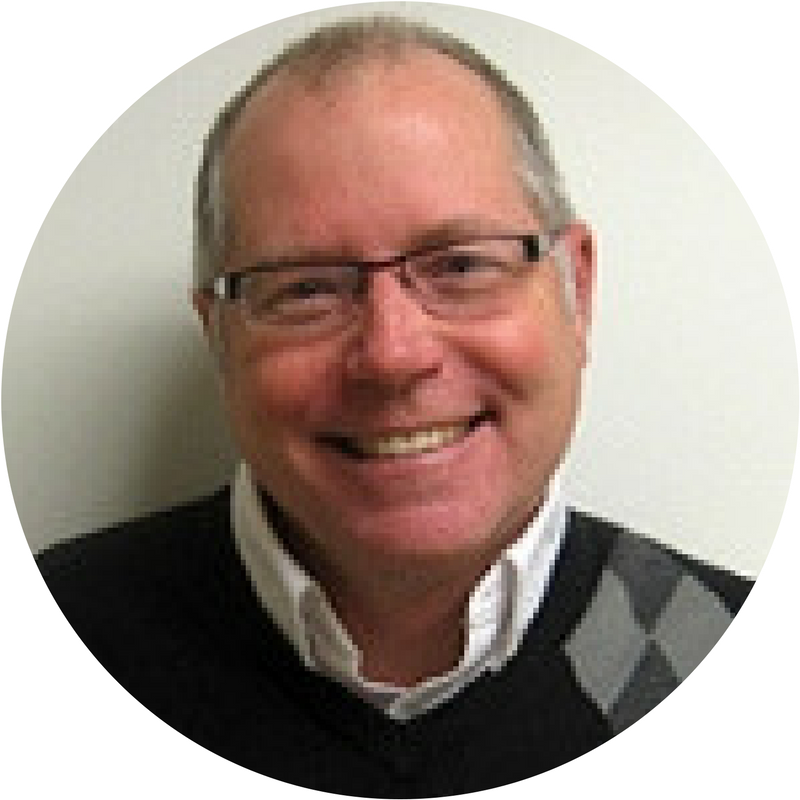 Mark has spent nearly four decades reviewing global schools and programs. From special education, to therapeutic health, to addiction recovery, to developmental deficits, he guides families to quality programs with quality staff to greatly increase the odds of success. 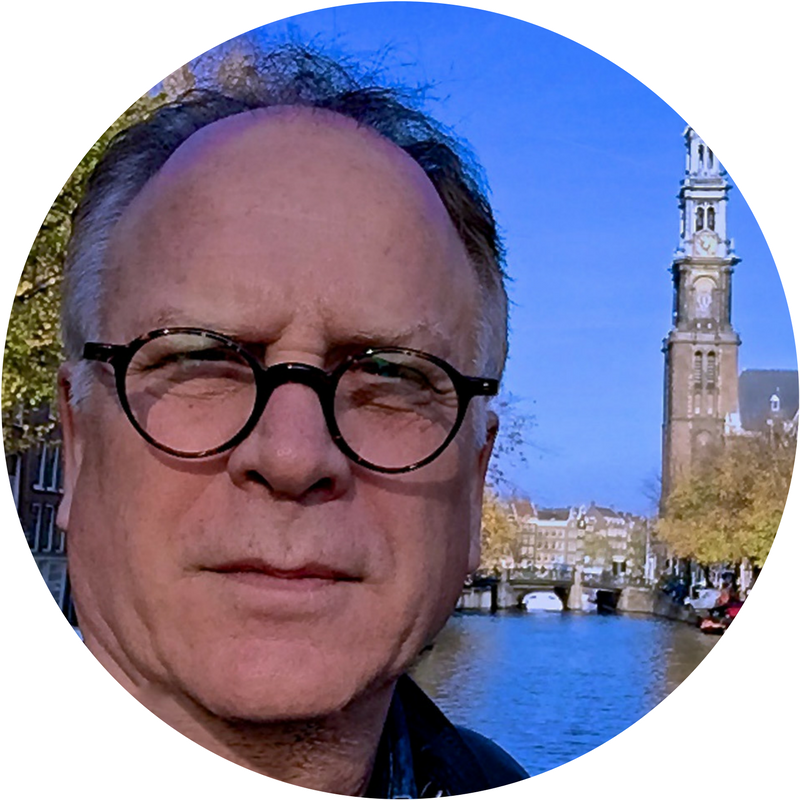 Based in Amsterdam and London and available via teleconference, he understands the challenge of global nomadic lifestyles in living one himself. His website is AmericanPsychologist.nl. 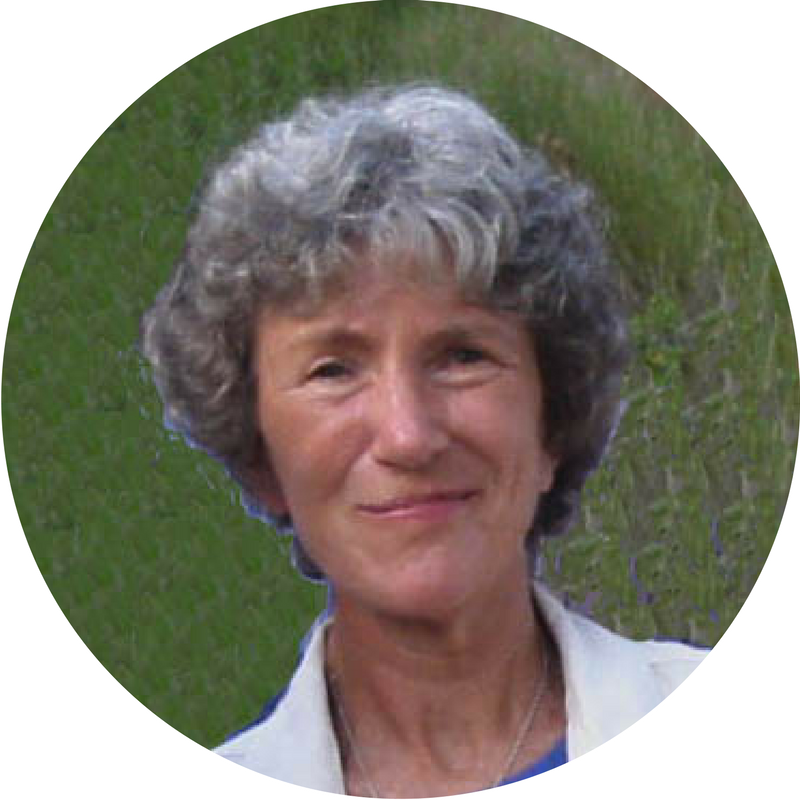 Lois Bushong is a licensed marriage and family therapist, and owner of Quiet Streams Counseling. She is an adult TCK, the daughter of missionaries to Latin America. She moved 44 times before the age of 34 throughout Latin America and the United States. Upon reaching adulthood, Lois worked ten years in Honduras in higher education. 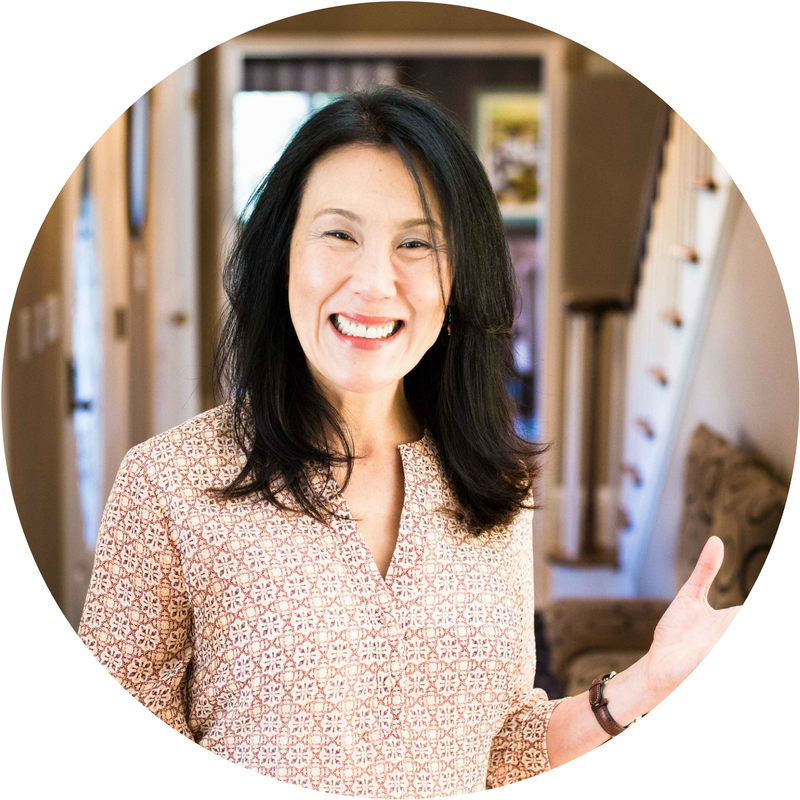 Her cross-cultural experiences and her resilience in the midst of numerous transitions, bring a wealth of resources to her passions of counseling and speaking. 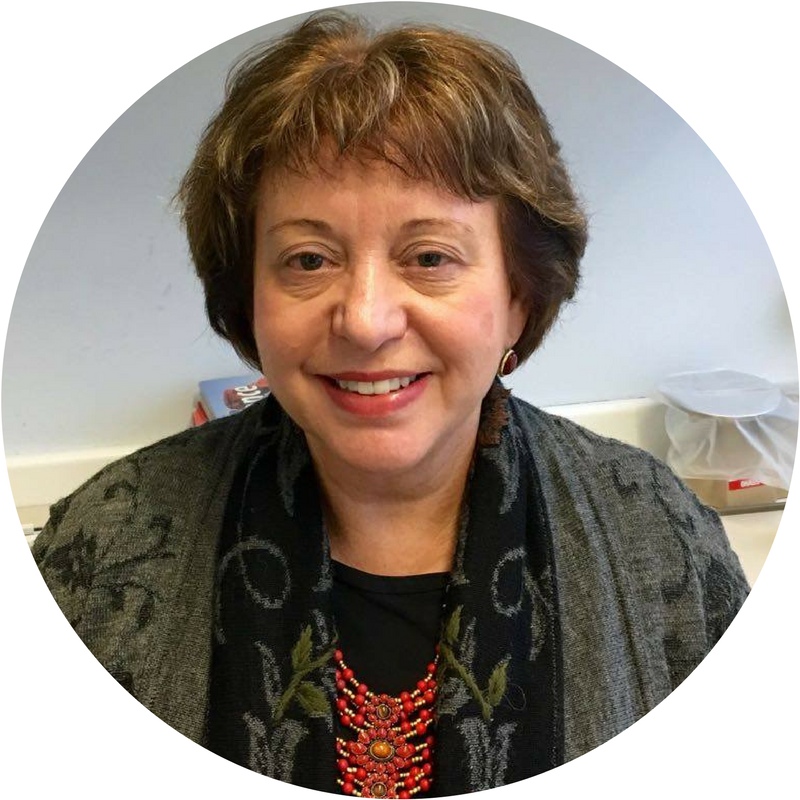 As a counselor, Lois works with internationals, cross-cultural marriages and TCKs of all ages. 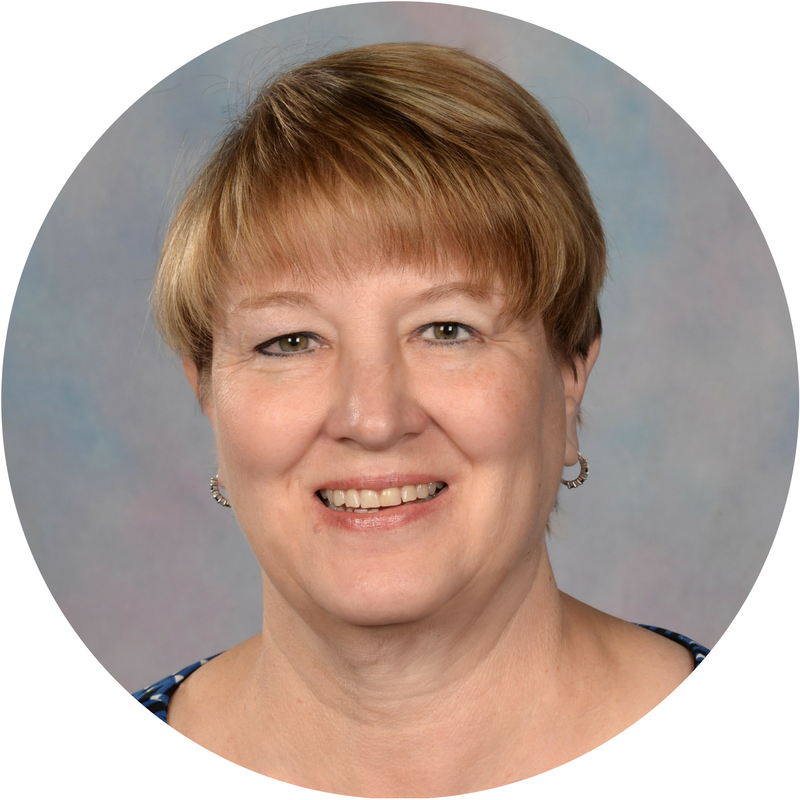 Lois authored the widely acclaimed book, “Belonging Everywhere & Nowhere: Insights into Counseling the Globally Mobile”, the only book written specifically for counselors and coaches on this topic. Find her at Mango Tree Intercultural Services. Loubelle Butalid was born in Al-Ain, Abu-Dhabi, The United Arab Emirates but currently resides in Maastricht, The Netherlands where she’s pursuing a Master’s Degree in Healthcare Policy, Innovation, and Management. Loubelle considers herself a Third Culture Kid as she identifies very strongly with her Filipino roots even though she was raised in the Middle East for the majority of her developmental years. She immigrated to Canada at 17 years old to pursue a degree in Nursing. She worked in Toronto for 5.5 years before deciding to make the move to Europe. The concept of home has always been a struggle for Loubelle and to this date, she is still on the search for what that really means. You can read more about her journey on her personal blog, The Phoenix. Trisha Carter is an Organisational Psychologist and Intercultural Specialist, helping people from different cultures work effectively together. She is the founder of Trans Cultural Careers and the Cultural Intelligence Collective, providing in-person training, coaching and consulting as well as on-line training and resources to help you work well and live well in another culture. With Rachel Yates, she co-authored ‘ Finding Home Abroad - A Guided Journal for Adapting to Life Overseas.' She currently lives in Sydney, Australia and has colleagues, friends, and clients spread around the world. Trisha is currently serving on the FIGT Board of Directors. Vivian Chiona is the founder of Expat Nest (www.expatnest.com) an online counselling services for internationals. 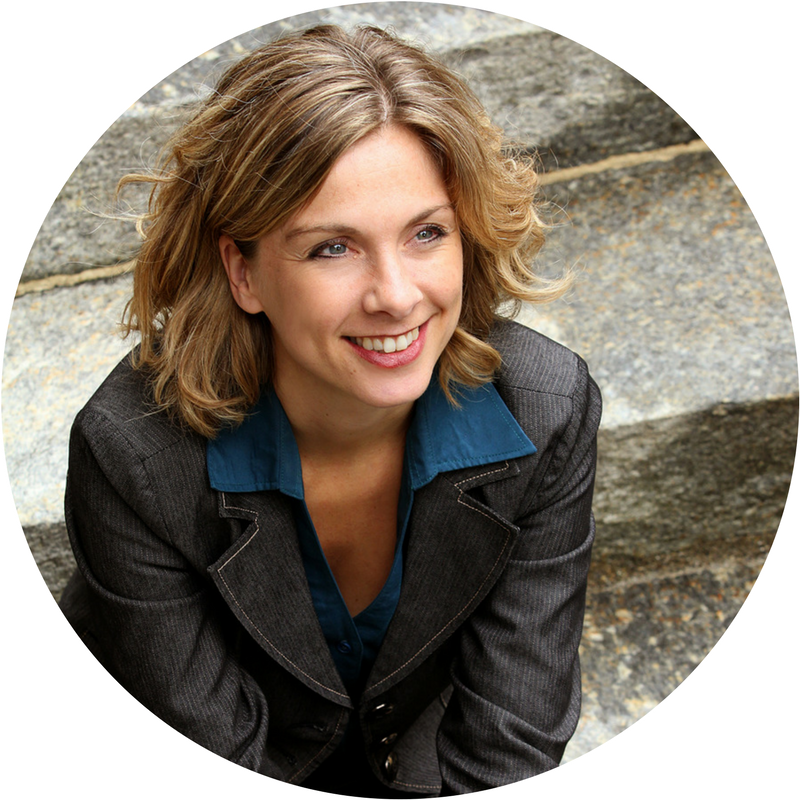 Vivian is a psychologist and a multilingual bicultural expat with family all over the world. She feels most at home in the international community and is inspired by its diversity. 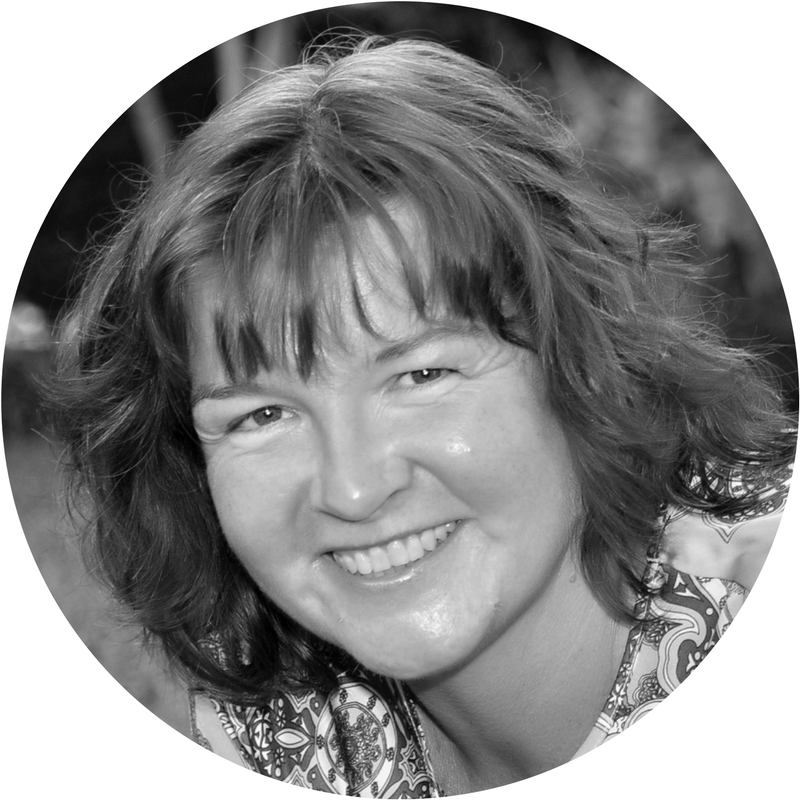 Vivian is founding member both of the FIGT affiliates in The Netherlands and Greece. 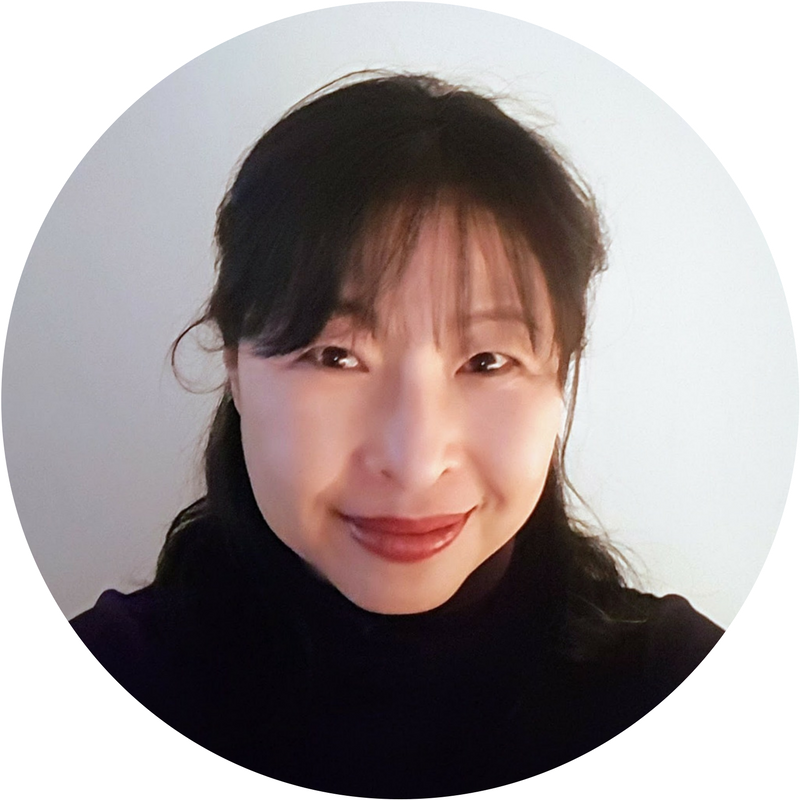 Dr Kyoung Mi Choi is currently an Assistant Professor in the Department of Counselor Education and Rehabilitation at California State University, Fresno. She has extensive multicultural study and work experiences in various countries (ie, United States, Korea, Egypt, South Africa, India, France, and Bangladesh). Through her private practice at SF Cross-Cultural Understanding, she offers consultation services to individuals and couples to deepen a sense of cultural identity and develop cross-cultural communication skills. 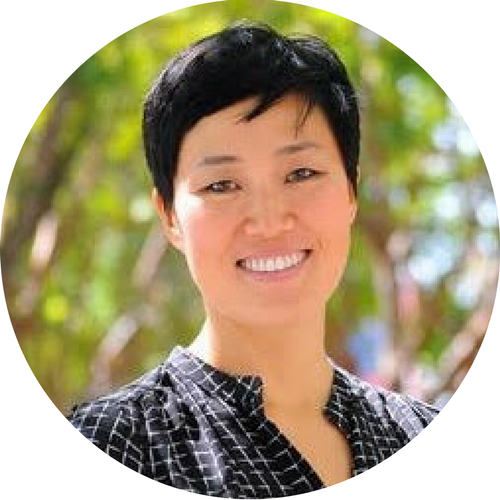 Kyoung Mi is currently serving on the FIGT Board of Directors. Ann Baker Cottrel, PhD, is sociology professor emerita at San Diego State University where her teaching and research were comparative and/or focused on people whose lives are cross-national in some way. She did a large study of Adult American TCKs who lived abroad between the end of World War II and the end of the Cold War with Ruth Hill Useem and continues to write and present on TCK research. A founder of the FIGT Research Network, she actively encourages TCK and expat research and mentors new researchers. 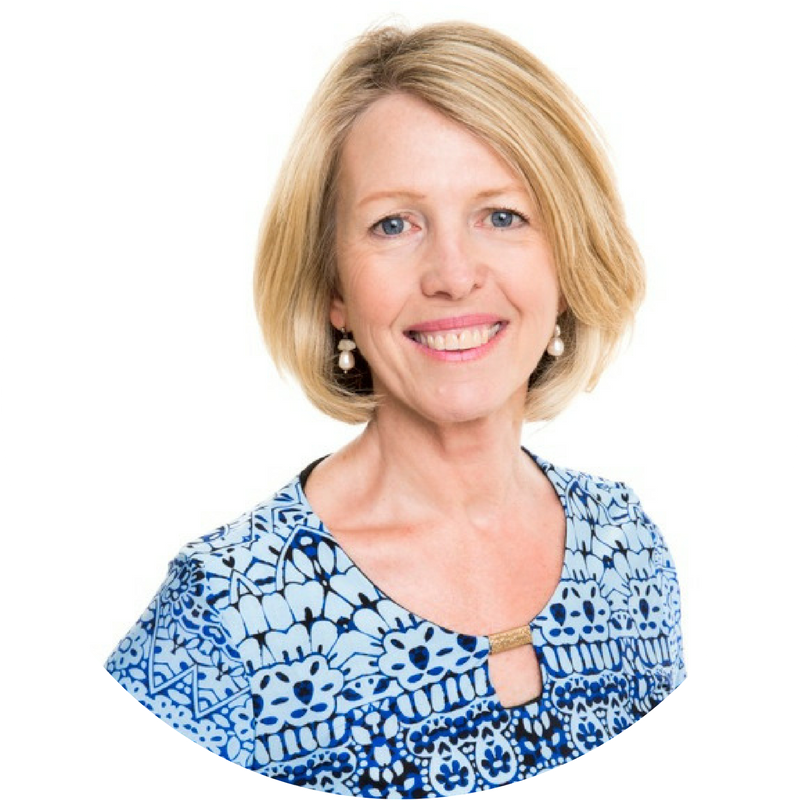 As an adult, Ann has lived in India, Italy, England, Scotland, and had summer work experience in Switzerland and Ivory Coast. 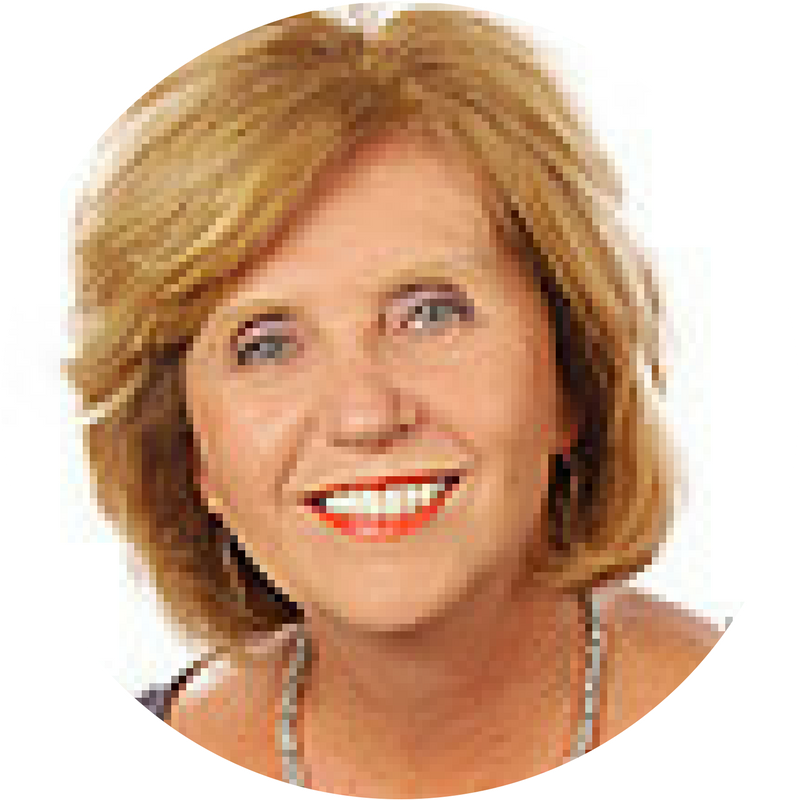 Doreen Cumberford is a transitional coach, speaker & author. 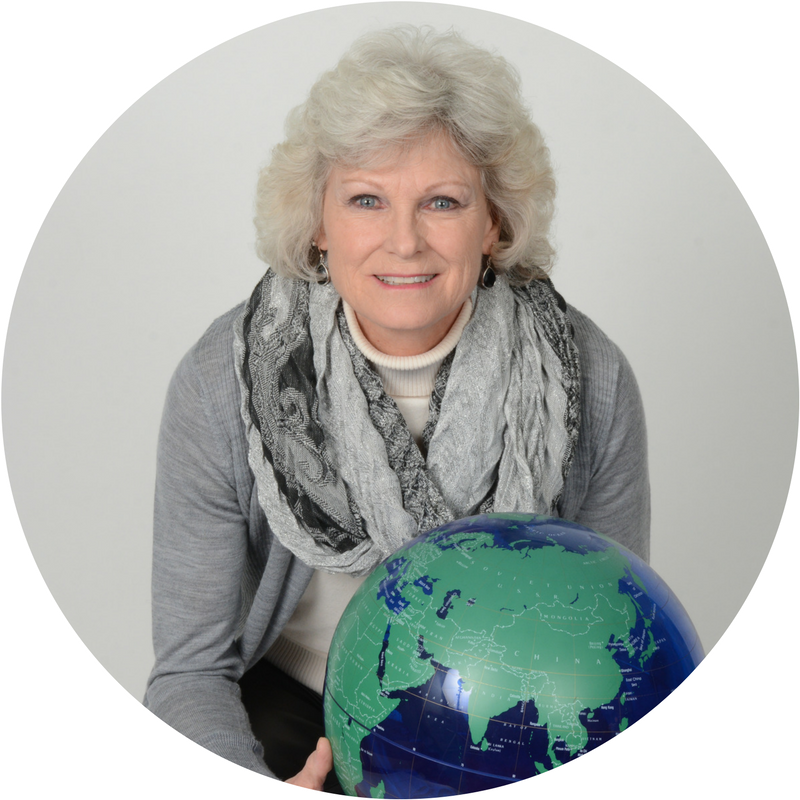 A global nomad, with 40 plus years of international experience, she has coached and counseled expats and repatriated expats since 1992. Doreen's overseas expeditions started with the British Foreign & Commonwealth Office. Living and working in the oil and energy business took Doreen and her family around the globe. Her black-belt in thriving was secured while living in the deserts of Saudi Arabia for 15 years. Her passion is sharing heartfelt stories that weave the world together. Learn more at her website Expat Hub. Amel Derragui is a business and marketing coach, a speaker and the founder of Tandem Nomads, a podcast show and entrepreneurship platform designed to empower expat partners and help them turn their dual career challenges into successful portable businesses. After a career in advertising, she joined her husband abroad and launched a marketing consulting business across three continents. Six years later, discovering a real need for expat spouses to find their source of fulfillment and financial freedom, she launched Tandem Nomads. Featured in Forbes Magazine, Global Living Magazine and other media, She helps expat partners and global entrepreneurs build a successful portable business. 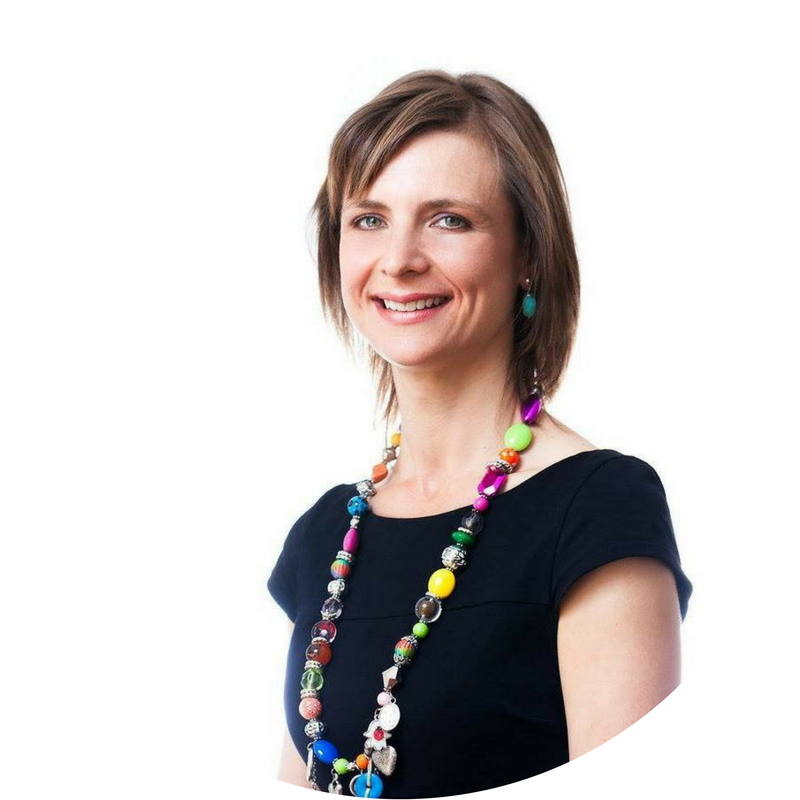 Emma Dodwell-Groves is Team Lead, Intercultural Services for BGRS in EMEA, having previously led the APAC region for 5 years. She has regional responsibility for the implementation of intercultural services for a wide range of multinational clients; including intercultural and repatriation training programs to fully support assignees and their families. Having lived in five countries herself, Emma has first-hand experience with the unique challenges of cultural adjustment and international relocation. Though originally English, Emma grew up as a Third Culture Kid in Hong Kong and has also lived in Spain, Indonesia and China before relocating to London. She speaks fluent Mandarin, conversational Cantonese and holds a BSc in Sociology from Bristol University. Gina Dunn is an American-born Dutch transplant turned brand-obsessed entrepreneur. 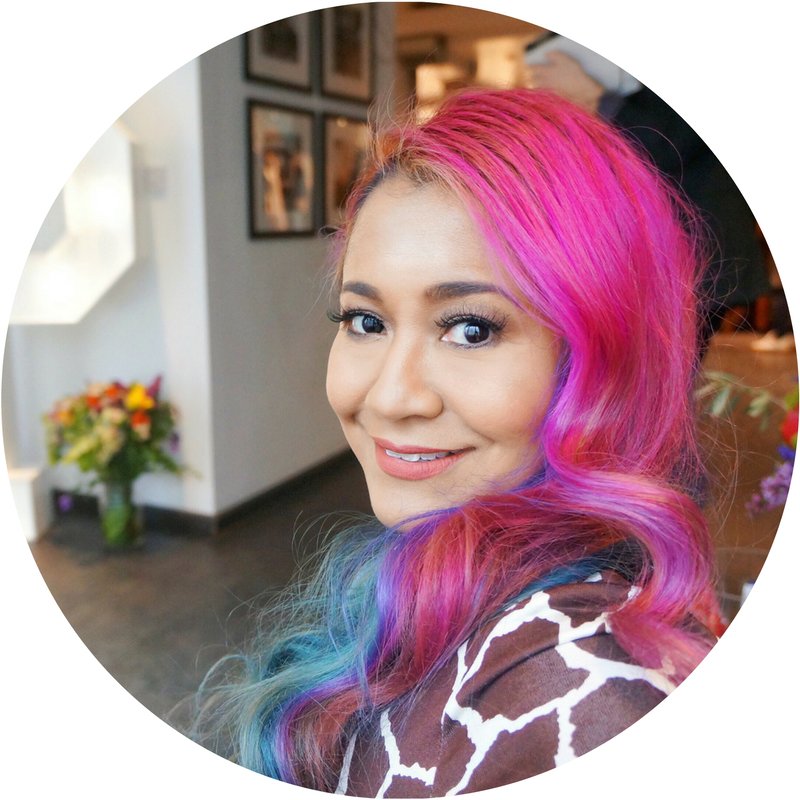 In 2014, she started iGina Marketing, a boutique global brand strategy agency, and is a passionate brand builder, strategy alchemist, and all-around marketing magician for ambitious small businesses. She helps business owners all over the world to build remarkable brands, attract the right customers, and accelerate business growth. Her philosophy is simple: Strategy First. Design Second. Small businesses today need more than a website and a logo. To stand out, you need a remarkable brand that blends strategy, design, and experience. Gina and her team work 1:1 with entrepreneurs to build remarkable brands. 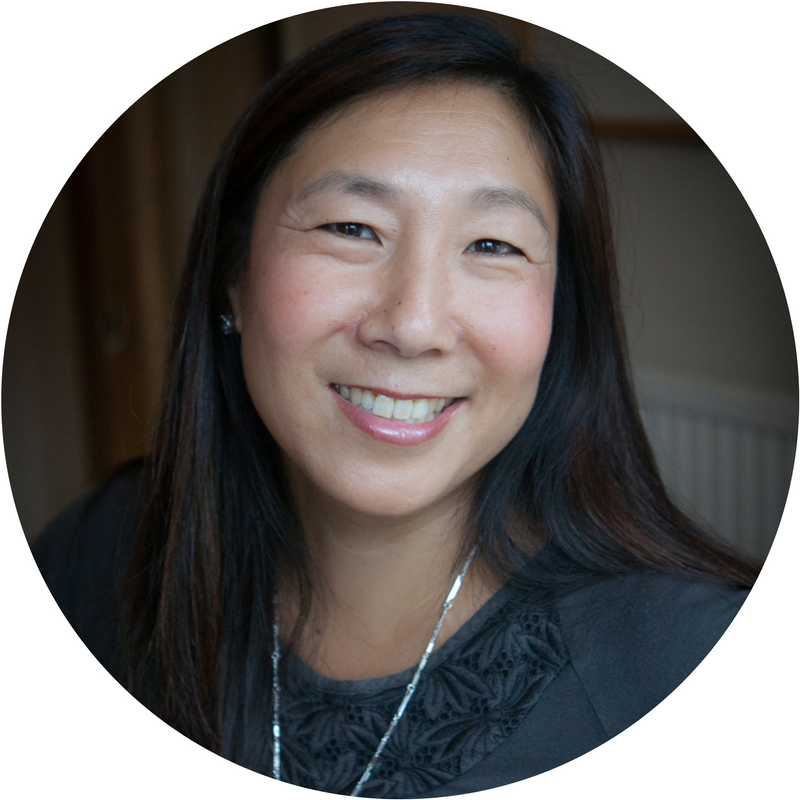 Meghan Fenn is a Korean adoptee, American expat mum of three living in England with her British husband, whom she met while teaching English in Prague. With a BA in English and Art and a Masters in Design Studies, she is the company director of Shake It Up Creative, a design, marketing, and PR agency. She loves meeting those who are living in different countries and raising mixed-race, cross-cultural kids in a foreign country. Meghan is the author of "Bringing Up Brits" and blogs at the same name. 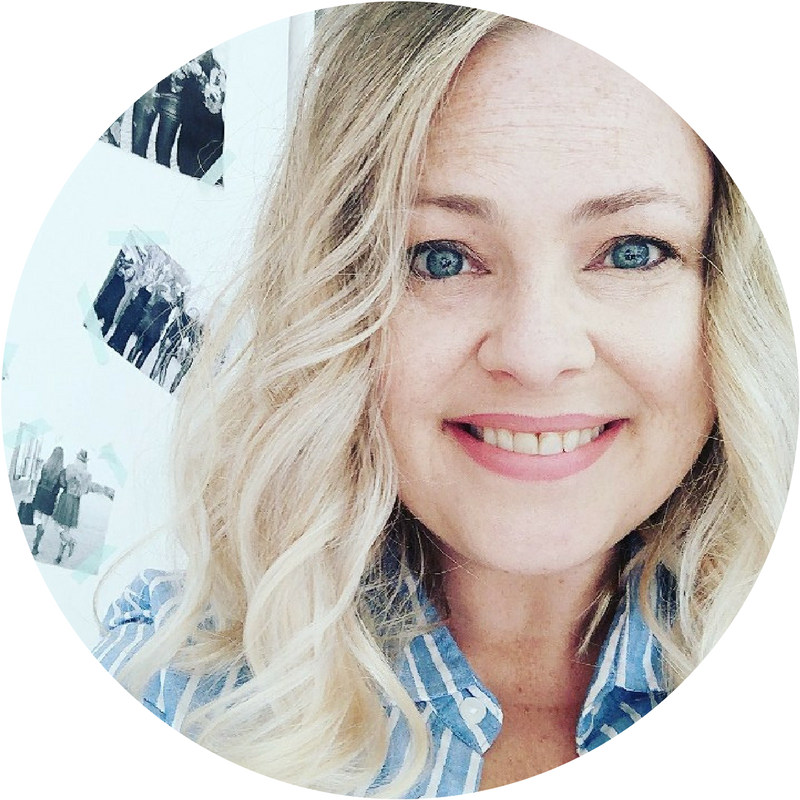 Lisa Ferland is the editor and publisher of the Knocked Up Abroad series and runs her self-publishing and crowdfunding consulting business from her home headquarters in Stockholm, Sweden. 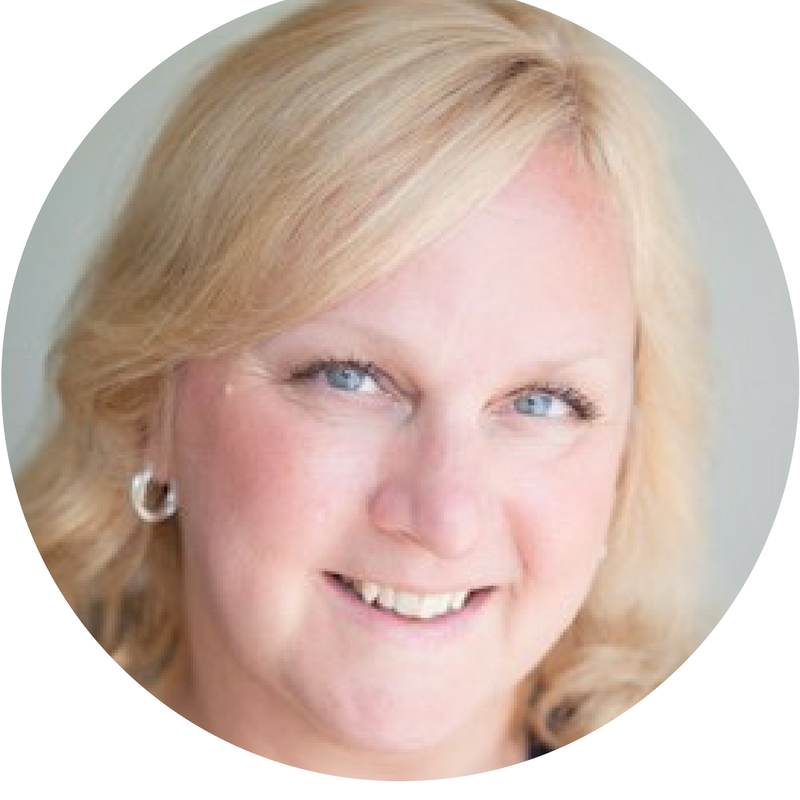 Victoria Ford comes from the private practice world with over 30 years experience. She specializes in transition experiences, especially in the international school. She is married to a TCK and has two adult children. She is currently working as a counselor for expats in Chengdu, China. 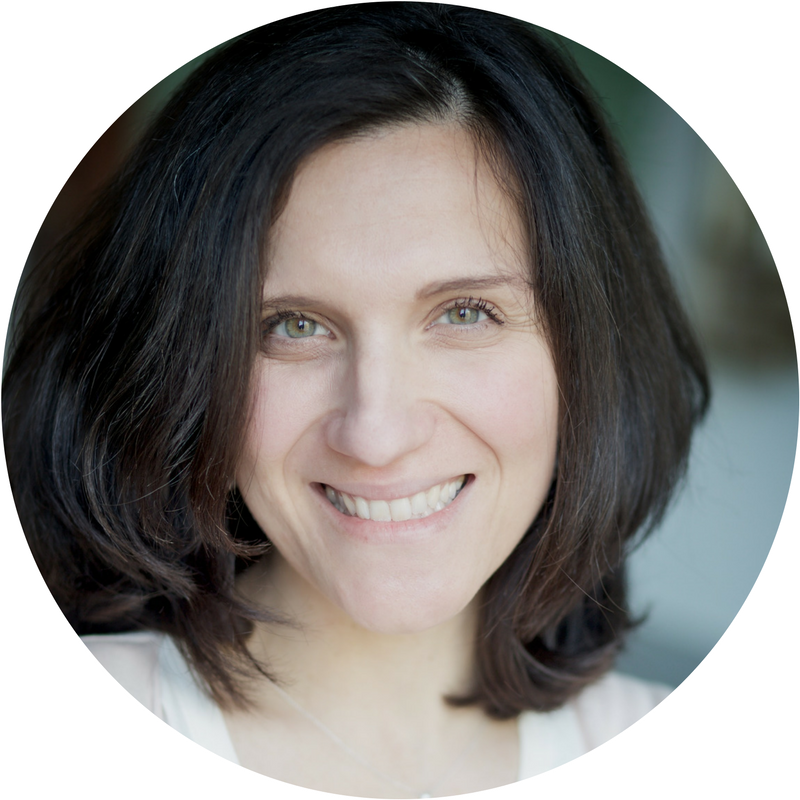 Angela Fusaro is a wife, mum, psychologist and HR Professional. 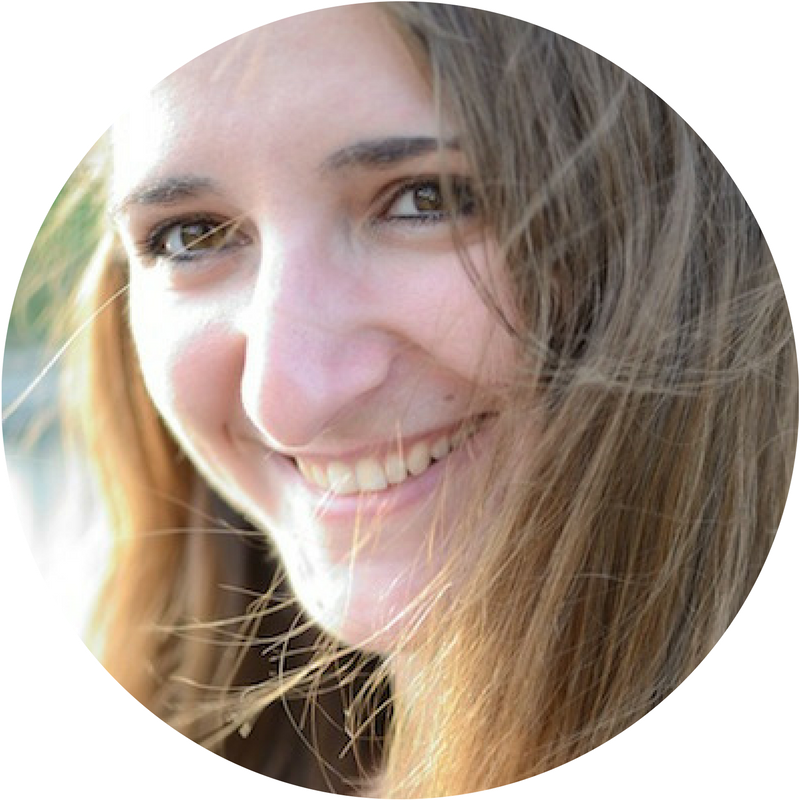 Originally from Italy, Angela moved to Amsterdam in 2009 to work in the HR field. She supported start-ups, corporations, and NGOs on recruitment, compensation & benefits and people development. She helped many expats and their families move and settle in The Netherlands. Angela recently launched 'Every Mother Knows.' 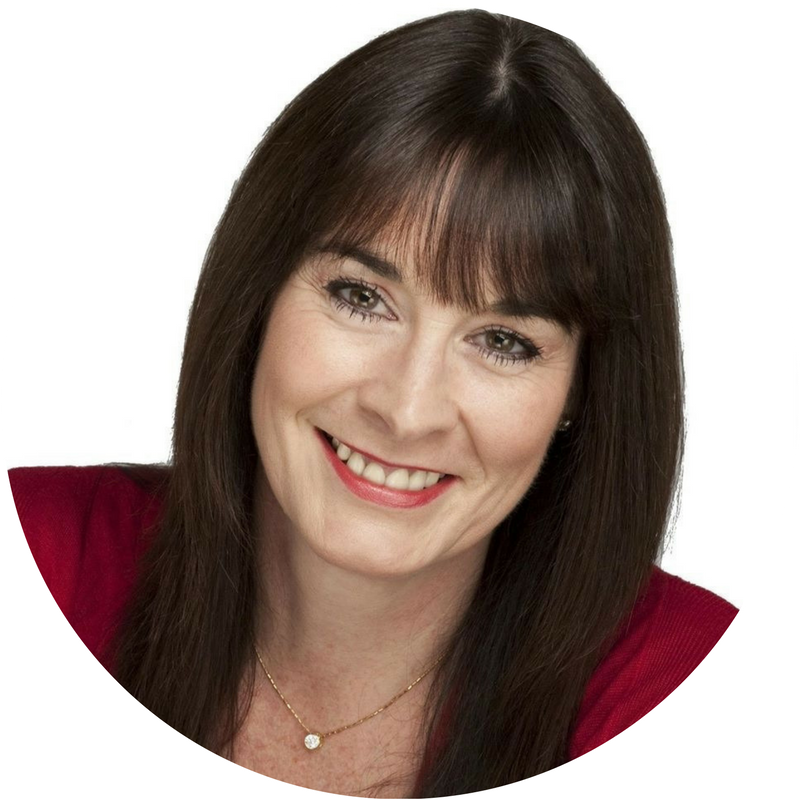 This brings together her passion for motherhood, psychology, coaching and people development. 'Every Mother Knows' helps mums return to work after a career break. Angela is a mother of two boys and taps into yoga to regain energy after a busy working week. Shweta Ganesh Kumar is a writer and columnist. Her last release ‘A Newlywed’s Adventures in Married Land,’ has been consistently ranked high in ‘Amazon India’s 100 bestsellers in Indian writing’ list, since 2014. Her travel columns have been featured in travel magazines worldwide. Her non-fiction pieces have appeared in multiple editions of the Chicken Soup series. Her short fiction and poetry have been published in anthologies in more than four continents. She also created and runs The Times Of Amma that features true stories of and interviews with inspirational expat mothers. Shweta has lived in five countries and traveled to twenty-one. She currently lives in Budapest with her two TCKs and husband. Read more about her work at www.shwetaganeshkumar.com. 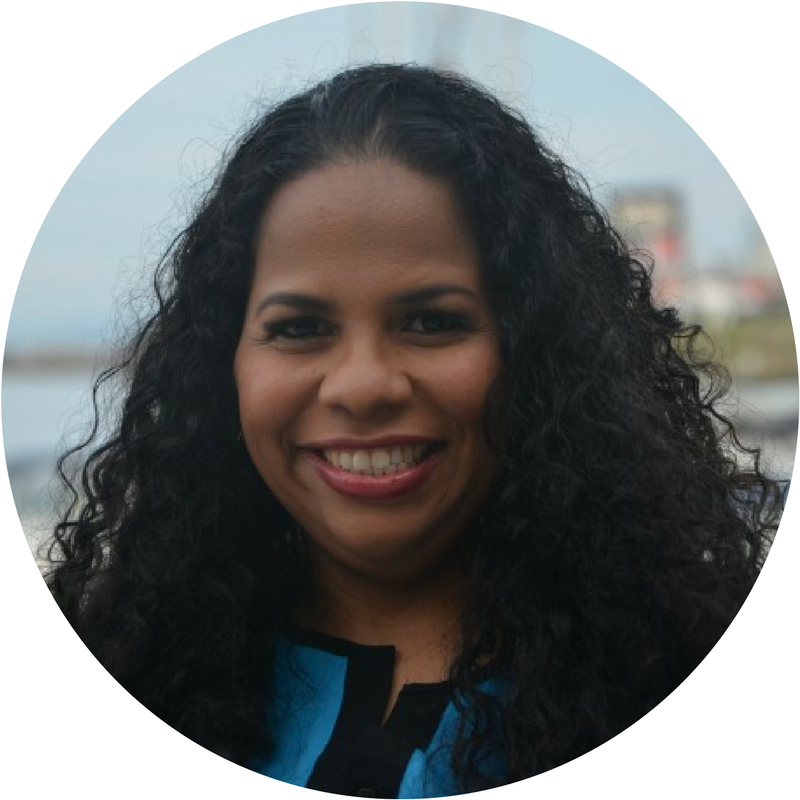 Flor Garcia is a Venezuelan/American educator teaching Spanish and English around the world, raising global children, and encouraging other immigrant families to develop a multicultural mindset in order for them to better adjust to their new community while living abroad. She moved to Germany with her husband and three children in 2014, and since then she's been committed to bringing her heritage and language to her new community while learning and absorbing the diversity found in Europe. As a successful Latina abroad, she guides other women and their families to prepare themselves for the challenges of globalization. She created Little Nómadas as a tool to reach people around the world and to keep in touch with multicultural families. 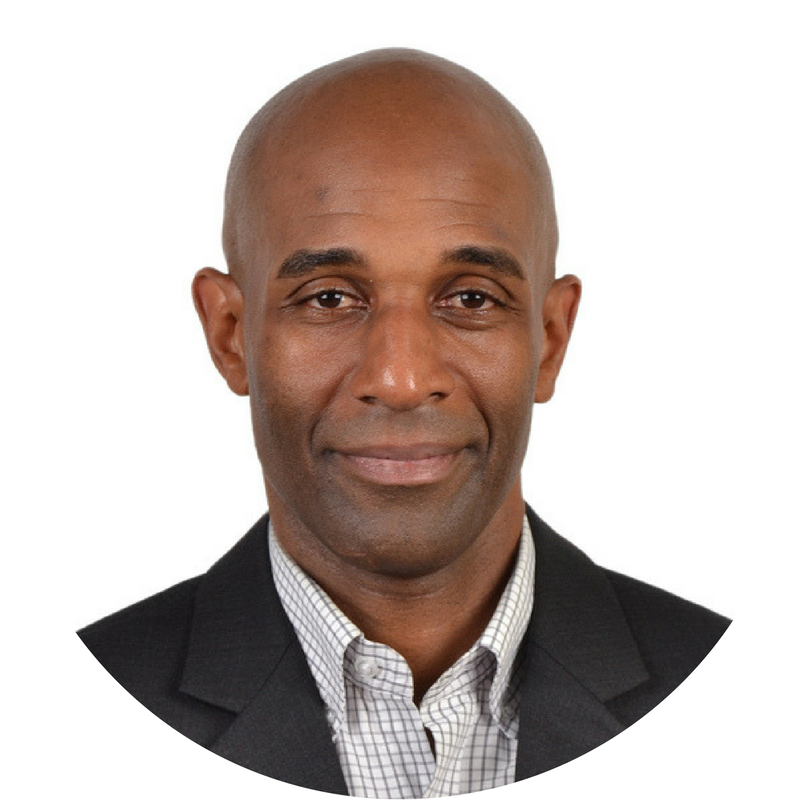 Clifford Gardner is currently the Senior Administrative Manager of Research in the Division of Nephrology at the Massachusetts General Hospital in Boston. Before this position, he was the Administrative Officer for the Prince Alwaleed Bin Talal Islamic Studies Program at Harvard University from 2007-2011. He has over thirty years of experience living, working and traveling throughout Europe, the Middle East, and South Asia. He and his wife, Marilyn, have five children born on three continents. Since September 2013 he has been taking trips to Turkey, Kurdish Iraq, Lebanon, Syria & Jordan to serve refugees and internally displaced persons. Raised as an Air Force Brat, he is currently living in his 33rd home. 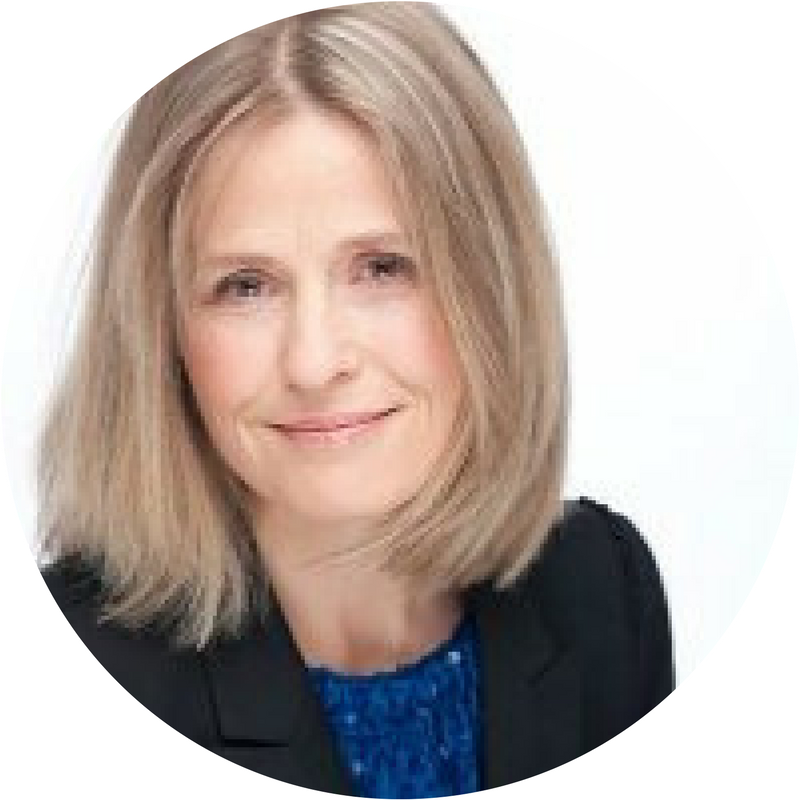 Lucy Greenwood is a senior partner at IFLG (The International Family Law Group LLP) based in London and has specialized exclusively in the field of family law for over 20 years. She has a broad depth of knowledge in resolving family law issues for international families and is ranked as a Leading Individual in Family Law in the Legal 500. Lucy and IFLG advise regularly upon complicated international cases, involving jurisdiction issues, finances and children issues including child maintenance and its enforcement. 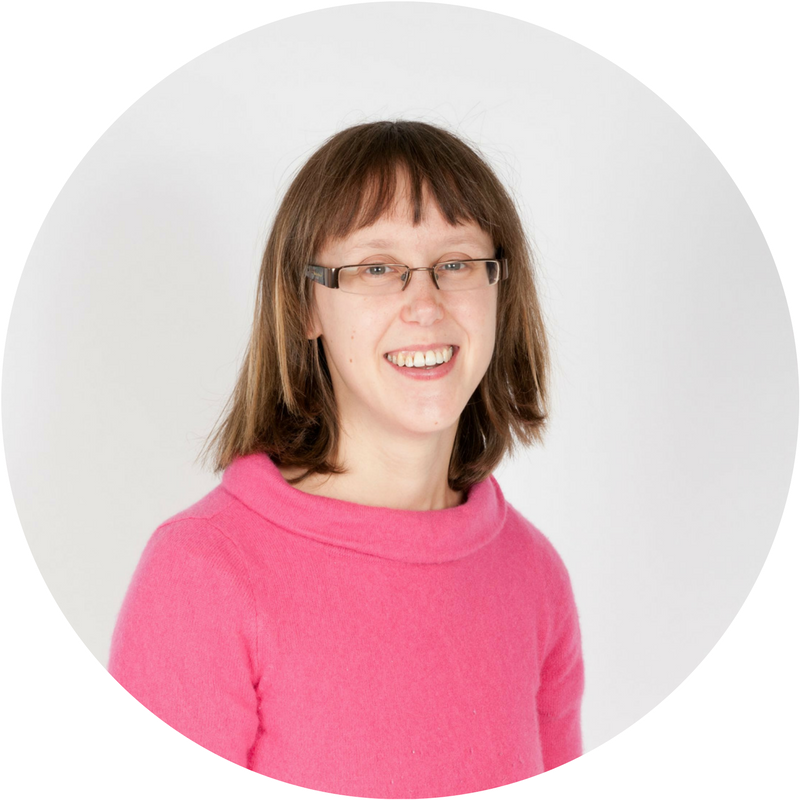 Lucy writes for websites and legal journals and presents professional seminars and webinar updates for the legal profession and lay clients in the UK and abroad. She is also a member of various professional groups which look after the interests of international families. 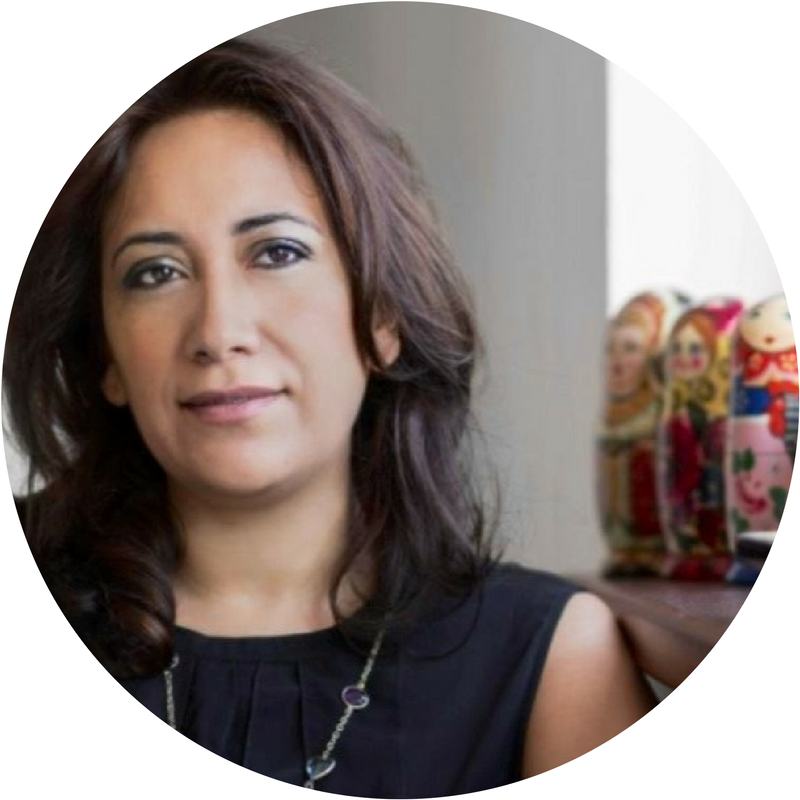 Claudine Hakim, current Head of Admissions, Transitions and External Relations, was a founding Head at the International School of London in Surrey and leader of the award winning Crossroads Transitions Programme. Having lived in four continents, Claudine is passionate about fostering well-balanced and inclusive international communities. 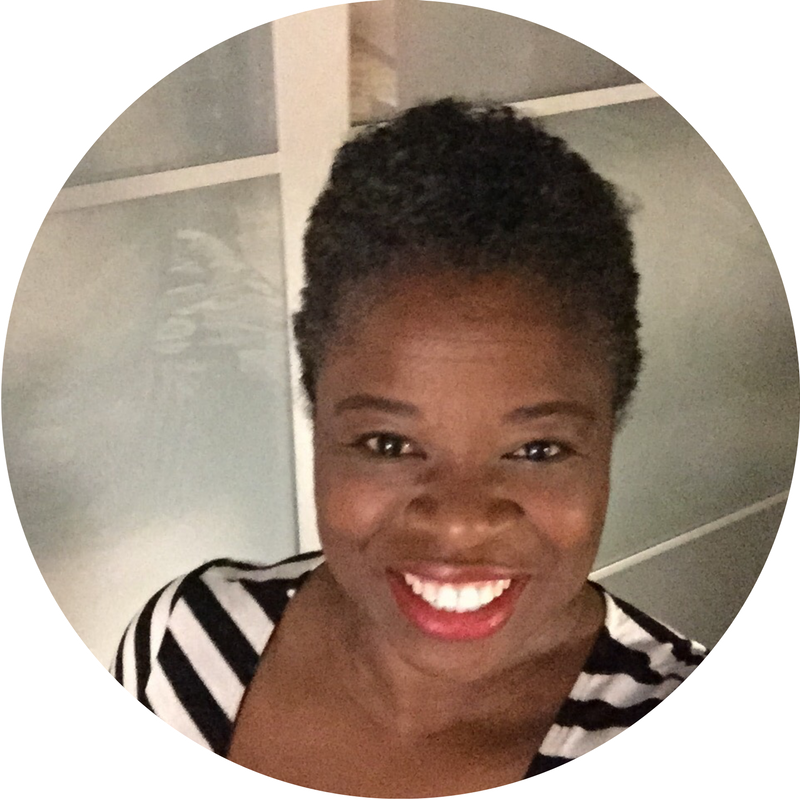 Claudine holds a Masters degree from the University College of London, Institute of Education in Educational Leadership and Management and a BA in Psychology and Counselling from Richmond International University. 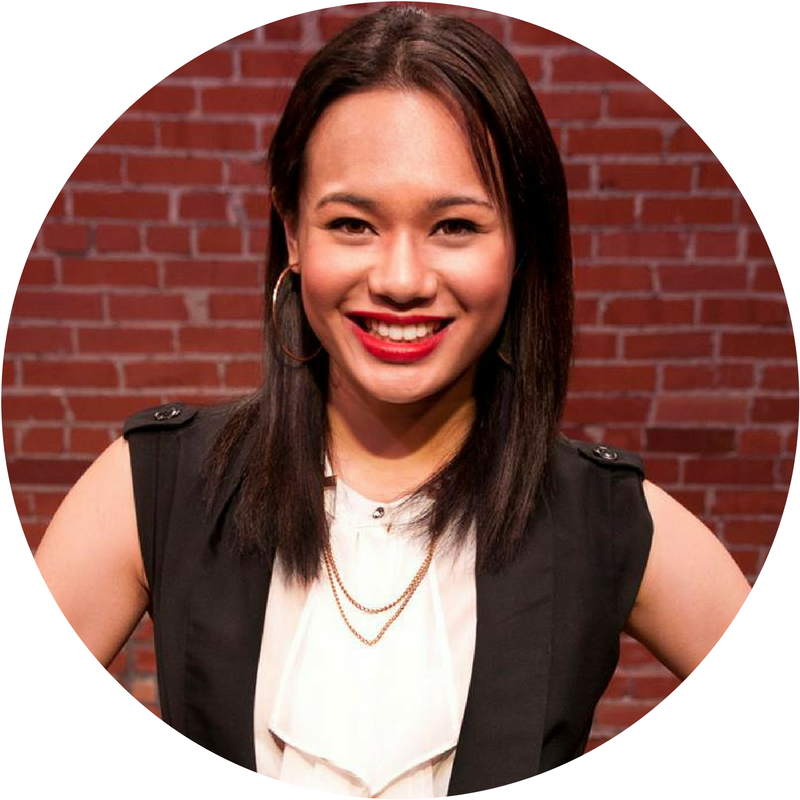 Alaine Handa is an Adult Third Culture Kid who grew up in Southeast Asia. 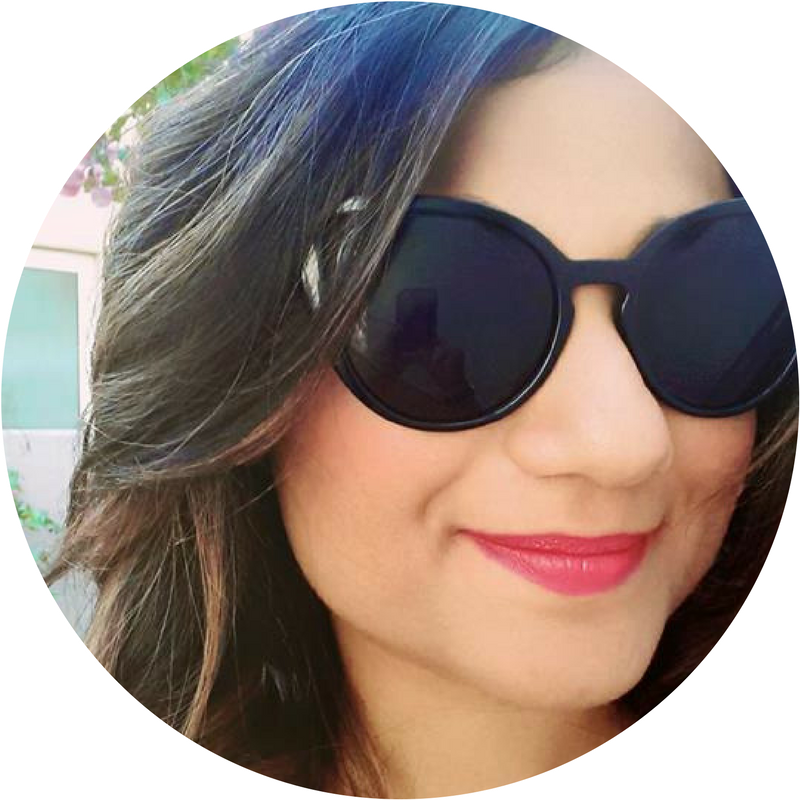 She has a BA in World Arts & Cultures dance studies from UCLA, Postgraduate Diploma in Hospitality Management from Les Roches Switzerland, and is working on a Diploma in Wine from Wine & Spirits Education Trust London. 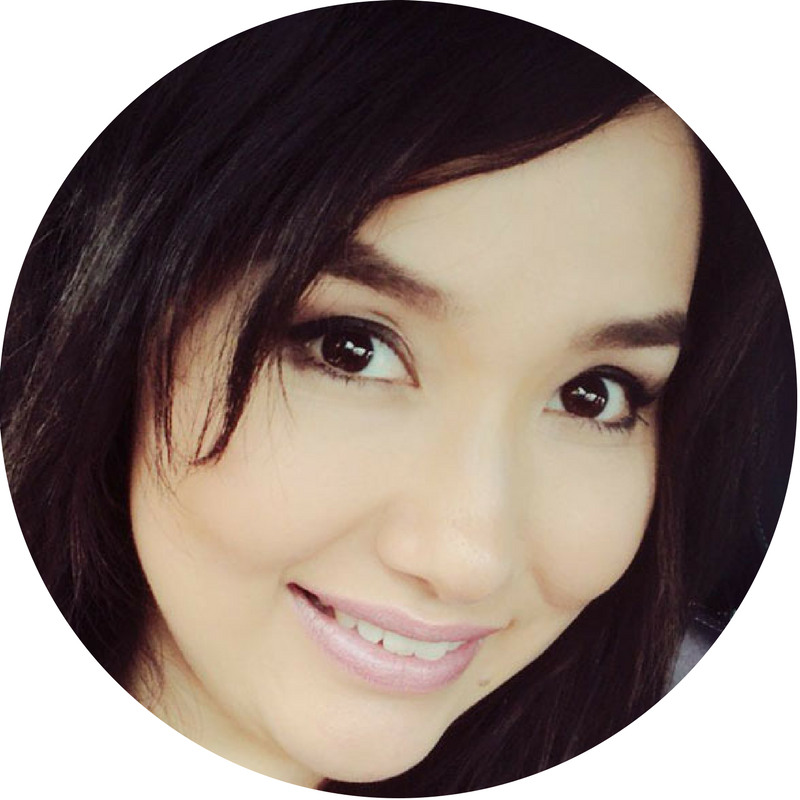 Alaine is now a global digital nomad and freelance dance educator in Singapore and Europe. She tells her story and the experiences of TCKs through her dance project, "Chameleon", has performed in festivals throughout North America, and was invited as a guest artist to recreate Chameleon with international school students in Asia. 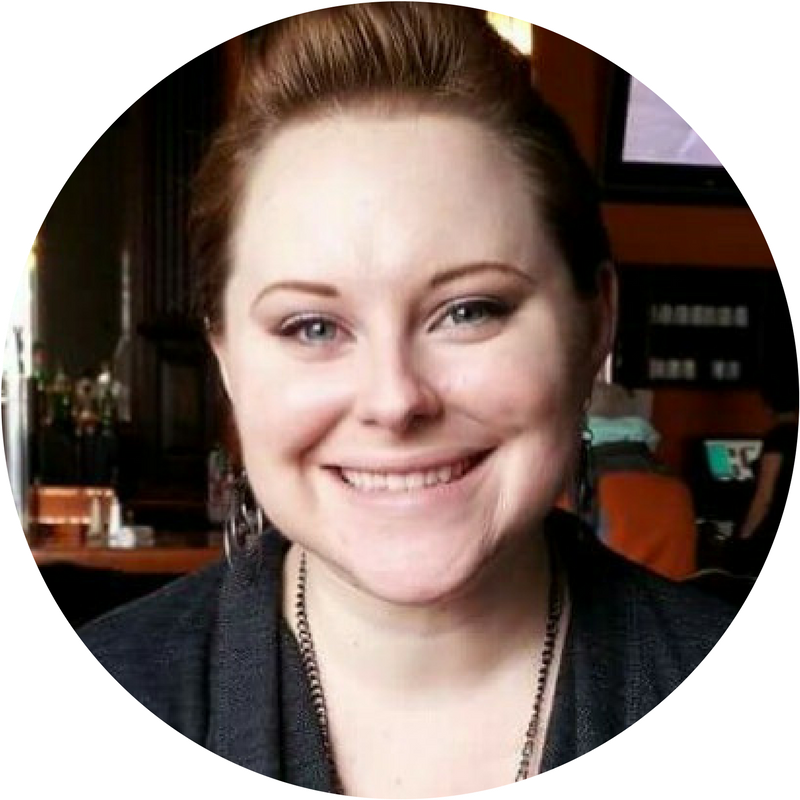 On the Chameleon blog, she writes posts about her TCK experiences and interviews other TCKs to share their stories. 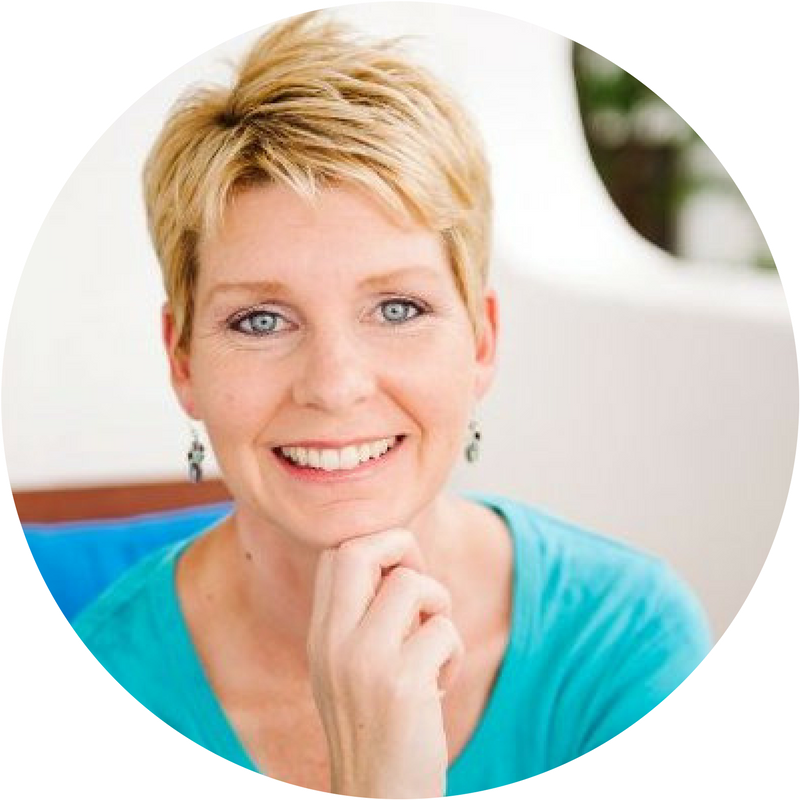 Jodi Harris is a mother of three, wife, certified coach (ACC), Personal Leadership facilitator and writer. She has a Masters Degree in Social Work and 15 years experience working with individuals living outside of their home cultures. She is the author of The Expat Activity Book: 20 Personal Development Exercises for Gaining Insight and Maximizing Your Potential Wherever You Are. She is originally from Austin, Texas and has lived in Spain, Northern Ireland, Japan (twice), the Dominican Republic and Madagascar. 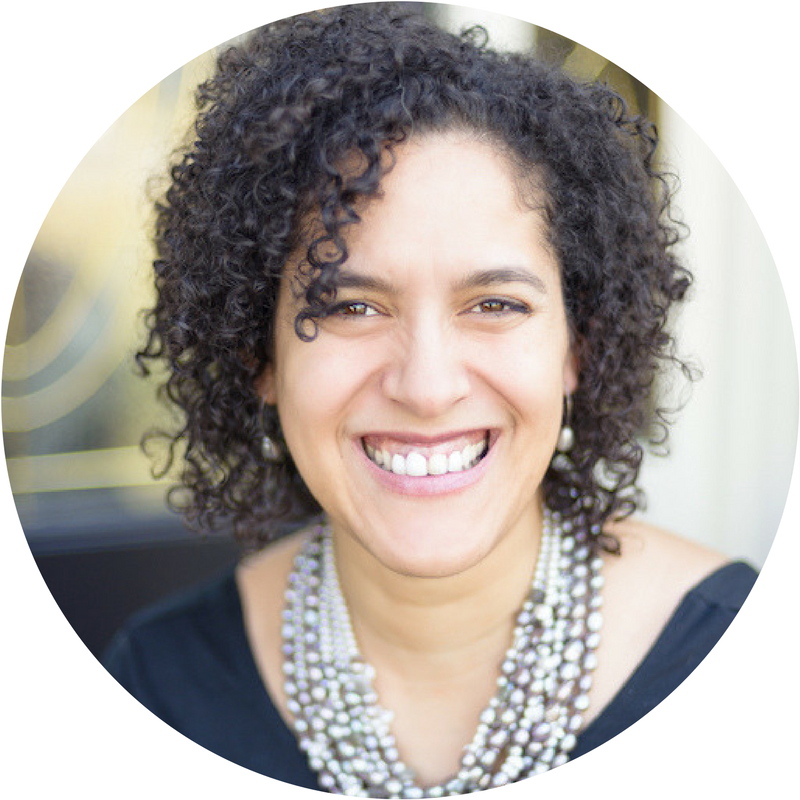 She works with diverse clients all over the world through one-on-one coaching, group coaching, and facilitation. She specializes in reminding her internationally mobile clients how capable and amazing they are and supports people in finding a sense of home no matter where they go. Her website is World Tree Coaching. Naomi Hattaway is the founder of I Am A Triangle, an international social network with thousands of global members who share in common a life lived away from their passport countries. IAAT offers in-person gatherings in 70+ international cities and is a one-stop-shop for resources, expert advice and more. She also owns 8th & Home Relocation, a nation-wide network matching families on the move with relocation professionals. After living in several locations in the United States, her family moved to India where she learned to thrive in the midst of chaos. Following one year in Singapore, they moved back to the United States, and traipsed from Florida to Virginia and now, Ohio. Naomi is passionate about community building and empowering others to thrive, not just survive, in the places they call home. 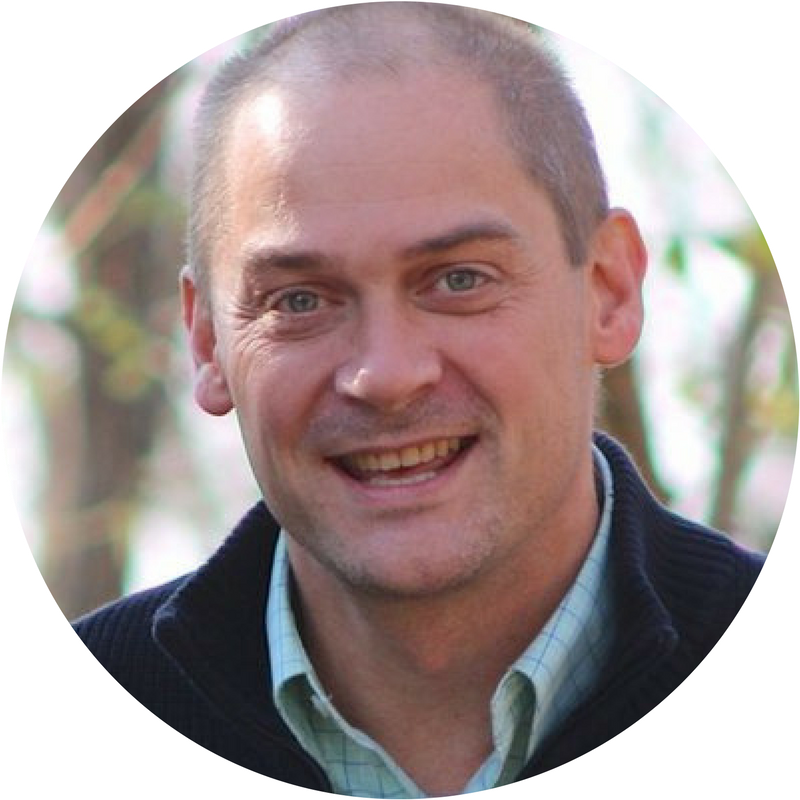 Ryan is currently the Director of Upper School Academic and Personal Counseling at Taipei American School in Taipei, Taiwan, who has also worked in Oman and Thailand. Over his 16 year career as an international school counselor, Ryan has enjoyed assisting students and families through the transition process. A CCK himself, Ryan and his wife are raising two TCK sons. Rebecca Grace Hill is an American interdisciplinary artist, sculpture, jeweler, poet, and gift-giver. Her work focuses on reframing personal narratives, especially ones of grief, pain, or loss. Rebecca's creative ethos draws from a variety of craft values, including the DIY ethic and anti-consumerism. She regularly engages in creative reuse and strives towards a zero-waste practice. This is expressed through collage and the use of ephemera and found objects. These items are imbued with meaning built up from past experiences. As an expatiate New Zealander, Rebecca and her work are located in a dynamic global context. Both Rebecca's studio work and her scholarly work are rooted in Southern Theory and continue to be informed by the contemporary New Zealand jewelry movement. View her work at Industrial Grace Restoration. 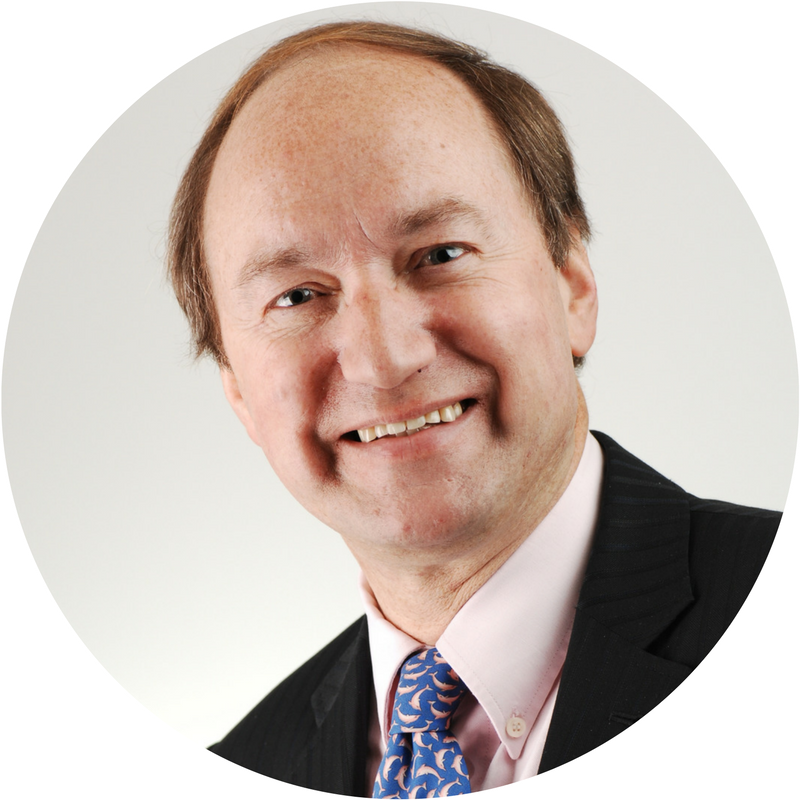 David Hodson OBE, MCIArb is co-founder and Partner at iFLG (International Family Law Group LLP). He is a highly experienced family law dispute resolution specialist, especially involving international elements or complex assets. In 2014 David was appointed an OBE for “Services to International Family Law. David is a mediator, arbitrator, Deputy District Judge at The Central Family Court in London and an Australian solicitor and barrister. He is Visiting Professor at the University of Law and Honorary Professor of Law at the University of Leicester. He is the primary author of “The International Family Law Practice” the leading textbook for practitioners and is co-author of “When Cupids Arrow crosses National Boundaries: A Guide for international families”. 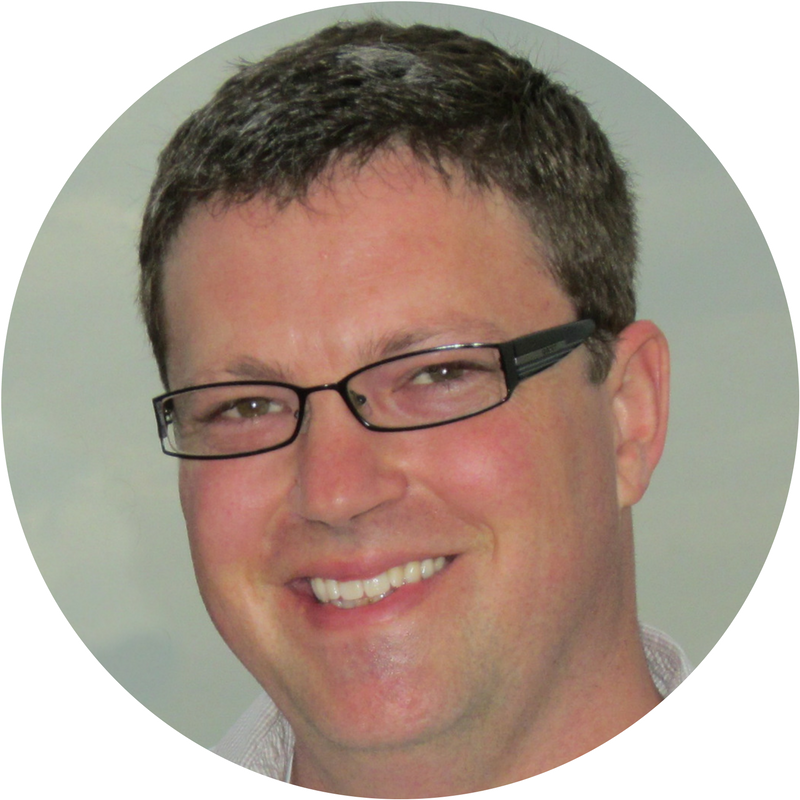 David writes extensively on family law and speaks at conferences internationally. 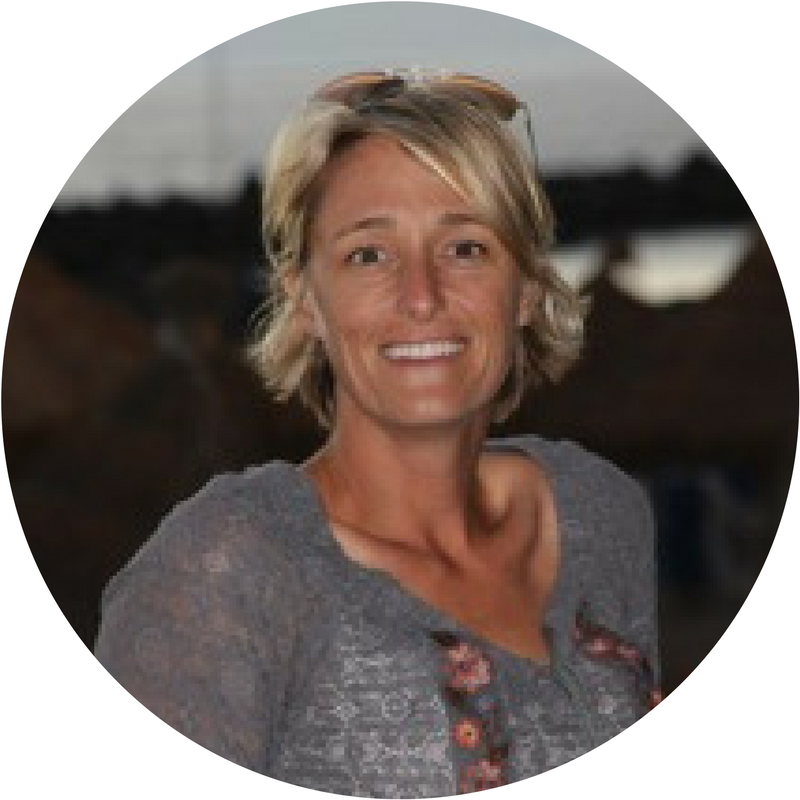 Dr Kim Hunt is a Research Associate and educator at the University of San Diego (USD). She serves on the board of the San Diego Military Family Collaborative and is an advocate for military families and children. Her area of study is the education of highly mobile children, particularly military children, who have experienced cross-cultural moves. She received a PhD in Leadership Studies from USD. Zainab Hussaini is PhD candidate at the University of Chester working on research about Hazara women’s barriers in the workplace in Afghanistan. She holds a Bachelor and a Master of Arts degree in Social Communication Sciences from Tehran University, Iran where she was born and raised. However, both her parents were Afghan refugees. Zainab has worked in the field of research within Afghanistan on different USAID, DFID and USDOL-funded projects since 2011. She is a 2018 David C Pollock Scholar. Elisabetta Iberni is an Italian-born clinical psychologist and psychotherapist. She holds a PhD in Psychosocial and Psychoanalytic Studies at Essex University. Elisabetta joyfully adapted her career following her husband in Kosovo for eight years, providing psychological support to both international and national individuals. She worked in community settings to promote diversity, non-discrimination, gender equality and human rights, to build communication skills and intercultural understanding with youth belonging to different ethnicities. 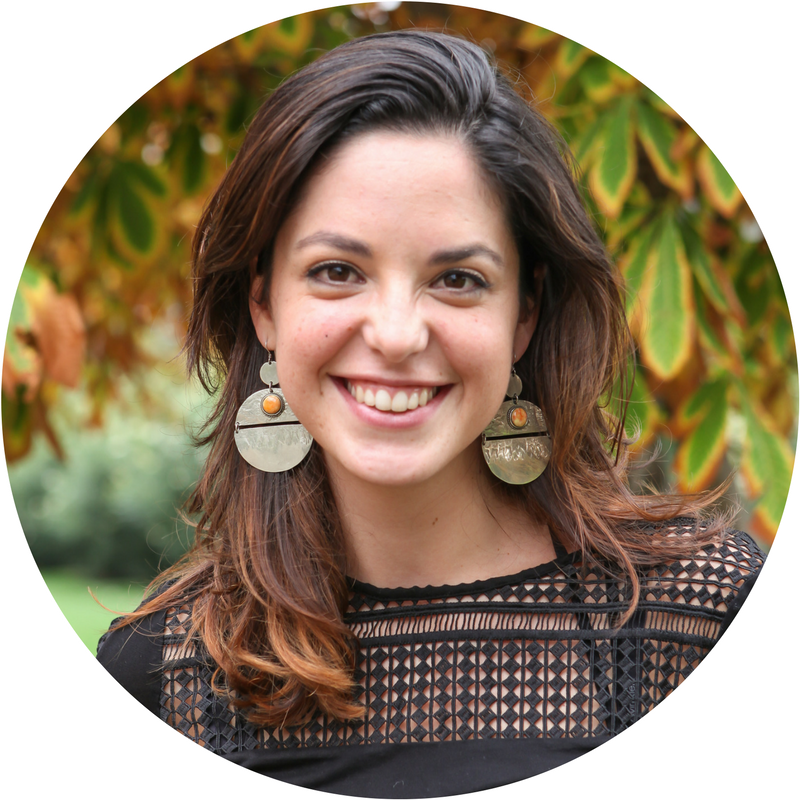 Having relocated to The Hague, Elisabetta joined ACCESS Counselling Network to assist global citizens, migrant families, and young adults. She passionately embraces the psychodynamic approach to understanding complex experiences, comprehending their societal and collective dimension. Her private practice website is The Argonaut. 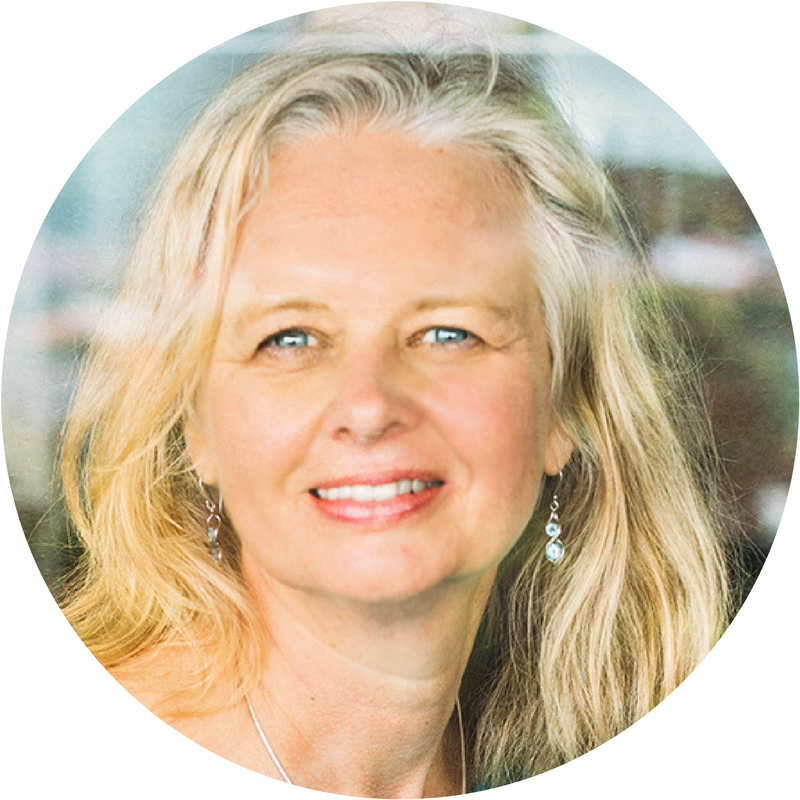 As a Resilience & Crosscultural Transitions coach, trainer, speaker and intercultural communication consultant, Linda Janssen helps international businesses, employees and expats living, working and studying around the world. She holds a BA and MA in International Affairs, International Coaching Federation Associate Certified Coach status, and Intercultural Communication Institute certification. 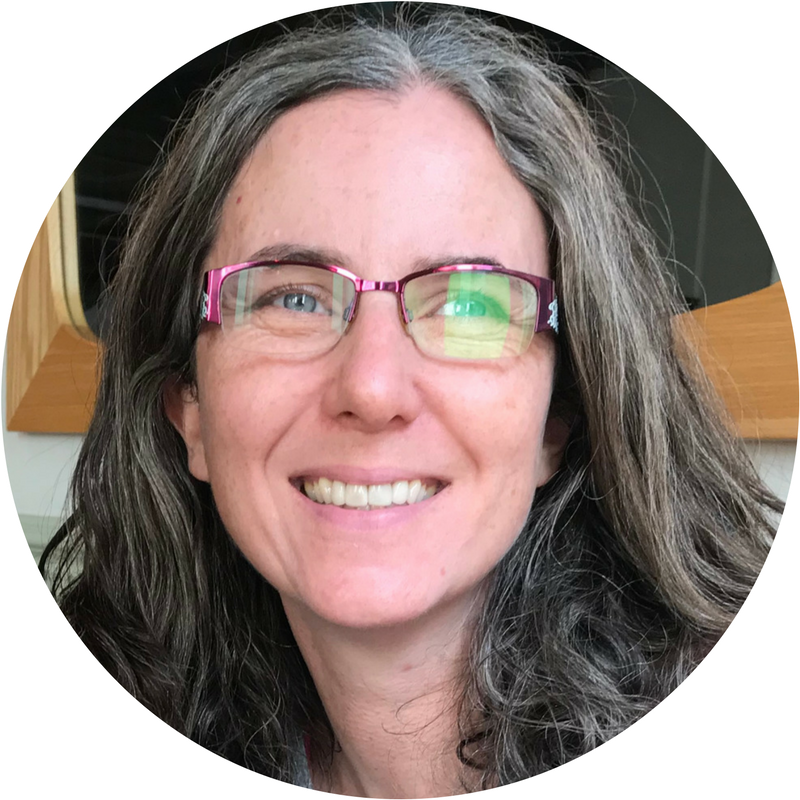 Author of "The Emotionally Resilient Expat: Engage, Adapt and Thrive Across Cultures," Linda is married to an adult Third Culture Kid and parent to two others (one currently teaching English in Thailand). She serves on the Board of Directors of Families in Global Transition as Sponsorship Chair. She can be reached at www.resilientglobaltransitions.com. 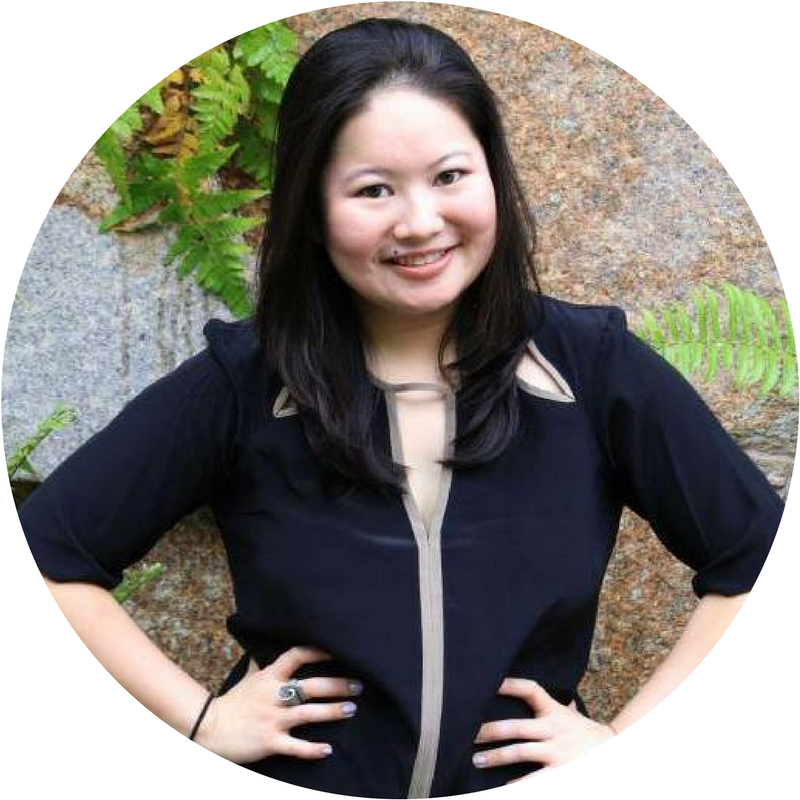 Amy Jung holds a PhD in Communication Studies focused on Intercultural Communication and Qualitative Research Methods. As an MK-TCK she learned early to navigate and integrate cultural values of Minnesota farms, California cities, Ghanaian villages, and the international missions community. She conducts qualitative and rhetorical research and writes about intercultural communication from a multi-hemisphere and liminal perspective. She daily brainwashes her CCK kids with Tintin and Asterix comics, culture-specific percussion instruments, and a variety of paradoxical paradigms that emerged from and shaped her quirky life. Dr Susan Kelly is an educator and teacher advocate for the Department of Defense Dependent Schools (DoDDS). She also serves the Federal Education Association (FEA) as the elected Division Representative for the DoDDS Europe East School District. Dr Kelly received a PhD in Educational Psychology from Capella University in January 2017. Her area of expertise is the field of Third Culture Kids in US military-connected communities overseas. 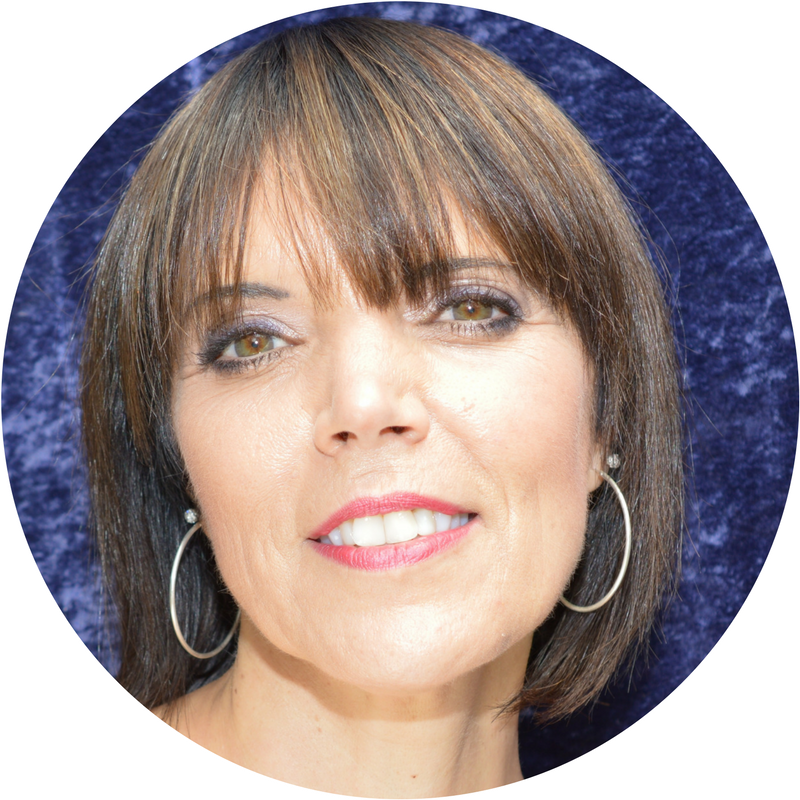 Ar’nie Rozah Krogh is an internationally renowned Love Coach & Relationship Architect. For 20-years, Ar’nie has been transforming the lives of people from all across the world. Trained to the highest level, Ar’nie is a Master Practitioner in NLP (Neuro-Linguistic Programming). She is known for combining ‘mind and body’ techniques to improve her client’s quality of life. She began her career in Singapore using a unique holistic health and physical approach. Ar’nie helps couples from different cultural backgrounds make positive changes in their lives; raised in a mixed cultural family and having lived in numerous countries, as well as being in an interracial marriage, Ar’nie uses her invaluable experiences with communication, consulting for interracial, intercultural, interfaith and internationalities for both couples and families. Her website is www.arnierozahkrogh.com. 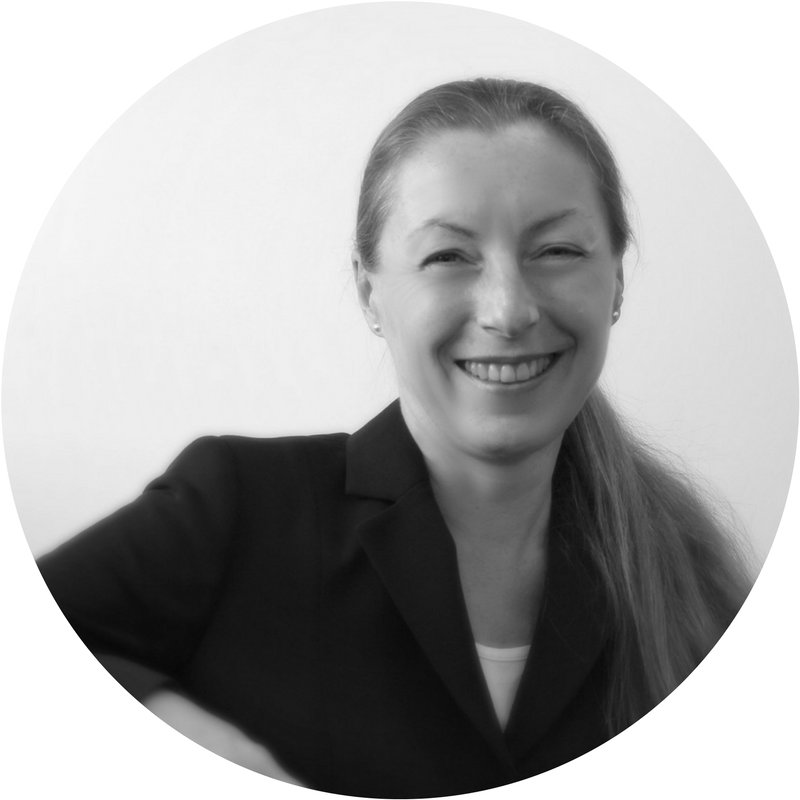 Birgit Kuschel has a background in consulting and industry and studied Economics, Law and Human Resources. 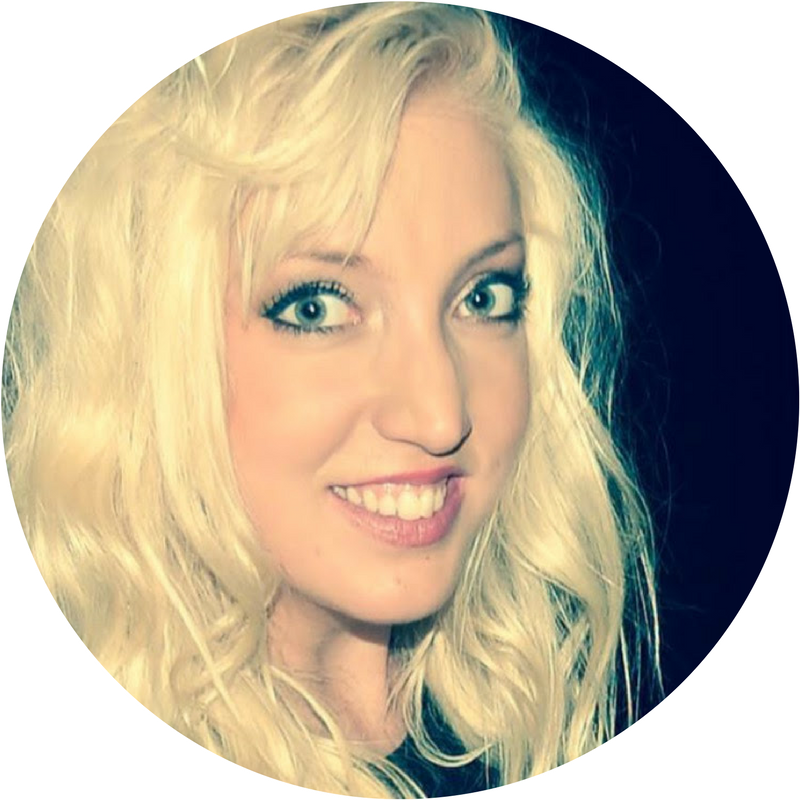 She is a Talent Recruiter, Career Coach, Business Development Consultant and works with clients in Europe and USA. Her website is The Connect Concept. Recent projects include: set up of HR structure for a start-up in the USA, transferring an international company vision in a Belgian trade organization, and implementing a cross-culture communication model in a merger for three industrial businesses. Over the past twenty years, she has worked with global companies, teams, and individuals while living in different countries. 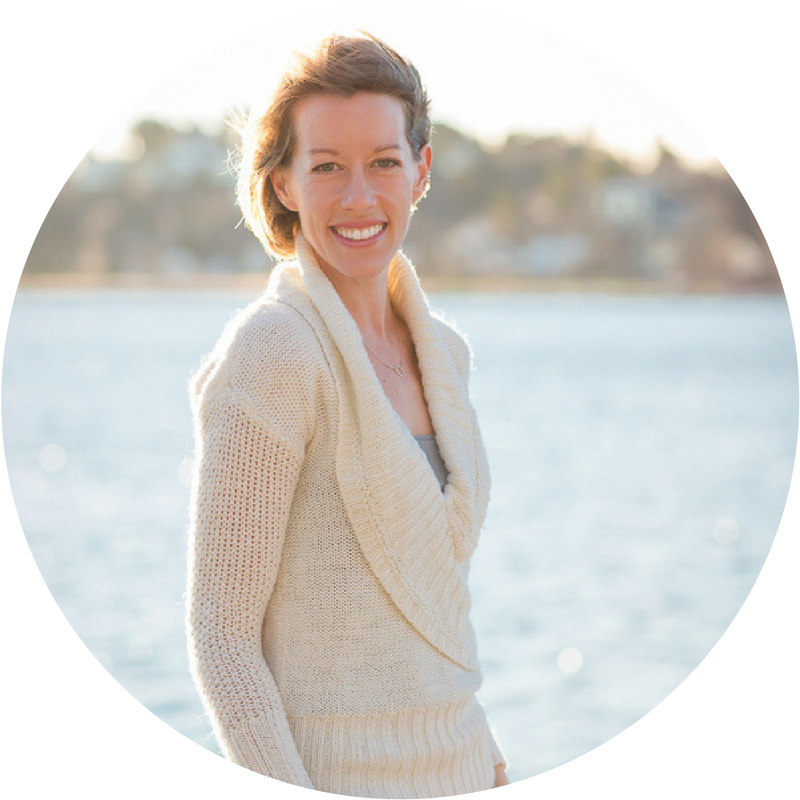 Driven by Neuroplasticity, she’s passionate about coaching professionals, families, and kids in transition. 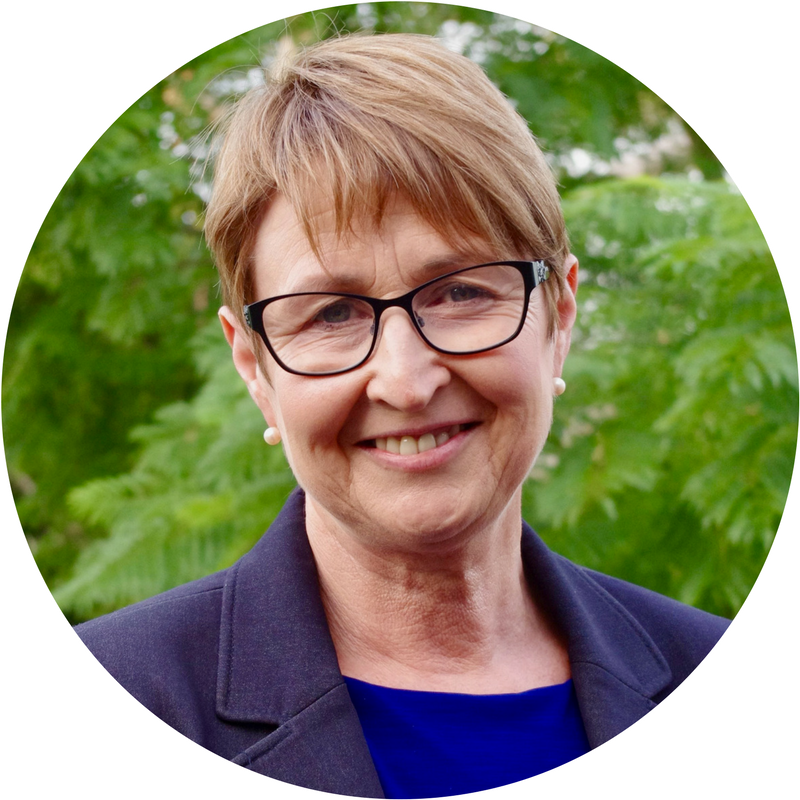 Dr Ute Limacher-Riebold is an intercultural and language consultant and trainer for international families at Ute's International Lounge. She trains teachers of bilingual daycares and schools about the best practices to foster heritage languages and holds workshops and training for parents of bi-/multilingual children who want to keep their heritage languages alive. Ute developed a Family Language Plan for Internationals© and is working on research on the needs of support for International Families when it comes to heritage languages. Jeniece Lusk is an assistant professor at the American University of Sharjah in the United Arab Emirates. Dr Lusk holds a PhD. in applied sociology from Baylor University and has taught sociology for ten years at institutions in the USA and Japan. Her areas of teaching and academic scholarship survey research methodology, global gender studies, environment and consumption, and deviant behavior. In addition to her academic career, she has also conducted client-based qualitative and quantitative research and analysis for corporations in Atlanta and Central Texas. Jeniece is a 2018 David C Pollock Scholar. Warren MacLeod grew up in a mono-cultural, homogenous setting in the northern United States, but since his exodus from Minnesota his cultural understanding has grown exponentially as an adult expat living in Nigeria and China. He was a teacher of TCKs for seven years and has since moved into a position within Odyssey - a student life development program within the International Schools Consortium network. His work and passion are to promote the growth of students in more than just the academic realm by leading retreats, mentoring students, using experiential education to develop student life, and providing social-emotional educational opportunities. Uwe Maurer is the director of Taiwan Sunshine, a non-profit that supports and encourages families that have children with special needs. A German, born and raised in Taiwan, American school educated, and the father of a child with special needs and another adopted child, he understands the pressures that families face in moving and educating their children overseas. 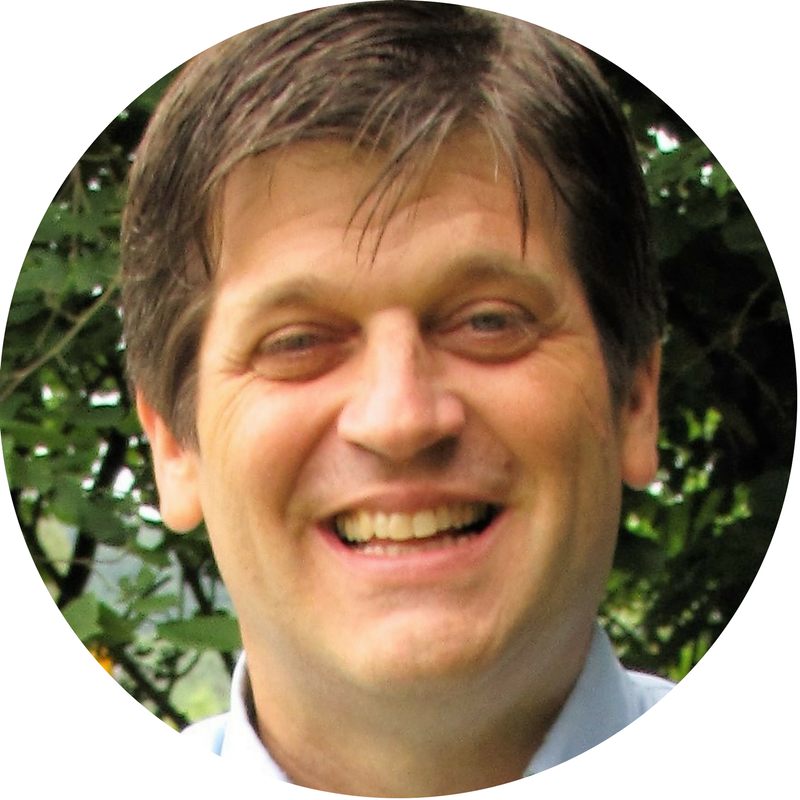 Uwe spent ten years teaching and being the principal of several international schools in China. In 2006, he returned to Taiwan as the principal of an American school in Taipei. In 2012 he started a study center in Taipei for children with special needs. Currently, Uwe lives in Taitung, Taiwan where one daughter attends a local special education school, while the others are homeschooled. He is a 2018 David C Pollock Scholar. Emmy McCarthy has been building communities across Europe since Y2K. Before we liked each other on Facebook, before we became a number on someone's mailing list, Emmy was helping humans connect to humans. She sees patterns where others see chaos. She uses those patterns to connect the dots and develop strengths-based solutions that grow communities and help small businesses thrive. By getting clear, getting focused and taking action, she knows that together we can make small changes to create big impact. She believes that we all have the ability to build the business we truly want to run and to create the communities we want to live in while still making the impact (and income) we deserve. 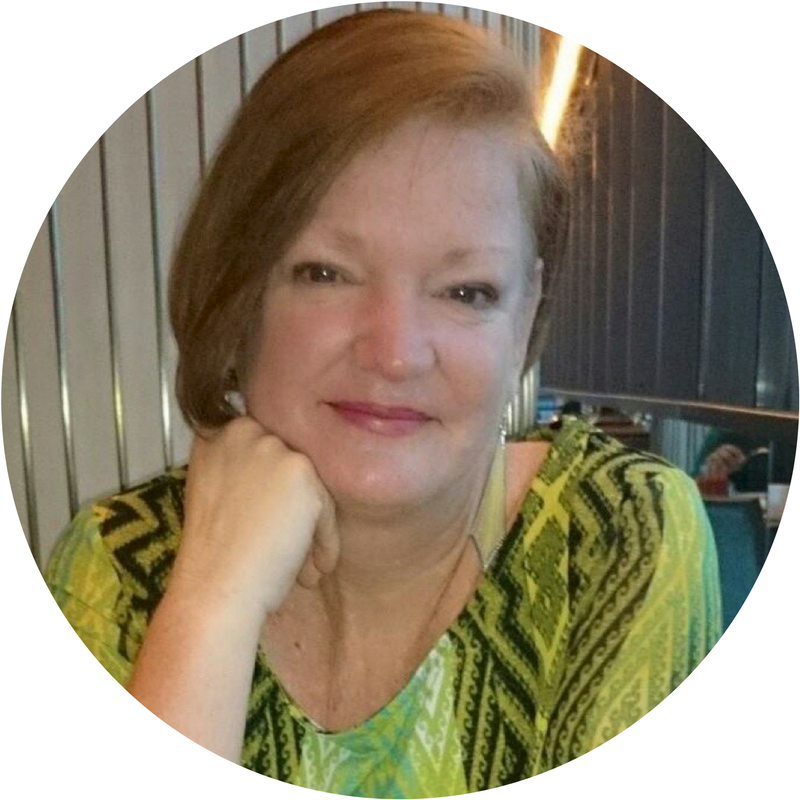 Patti McCarthy has been an expat for over 30 years and is committed to helping expatriates and their families have successful, enjoyable and rewarding assignments. Her service is a highly personalized combination of coaching and training that allows clients to proceed with confidence and competence. She believes that expatriate assignments often fail to live up to the assignees’ expectations and that helping clients to have more realistic goals and the skills with which to cope with both the lows and the highs, is the best support they can receive. In 2016 she published a book called "Cultural Chemistry: Simple Strategies for Bridging Cultural Gaps" and she is a regular media commentator on cross-cultural issues. She volunteers with people seeking asylum. Her website is Cultural Chemistry. 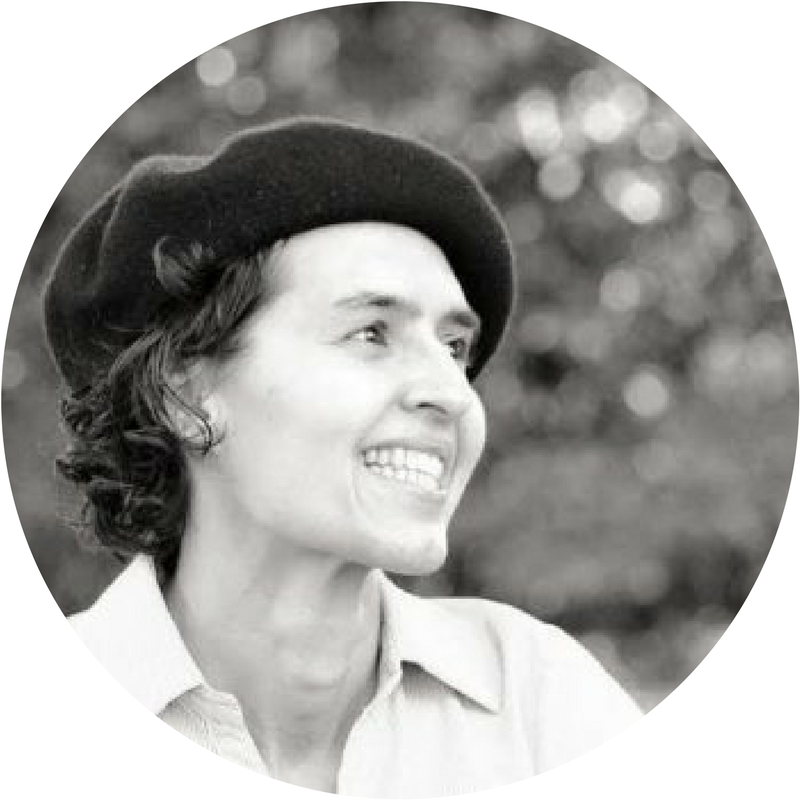 Olga Mecking is a writer and translator living in the Netherlands. She is published in multiple sites and magazines, including The Washington Post, The Guardian, Wall Street Journal, Woman's Day, Good Housekeeping, CityLab, Teen Vogue, and others. When not writing or thinking about writing, Olga can be found reading, drinking tea, and reading some more. She blogs at The European Mama. 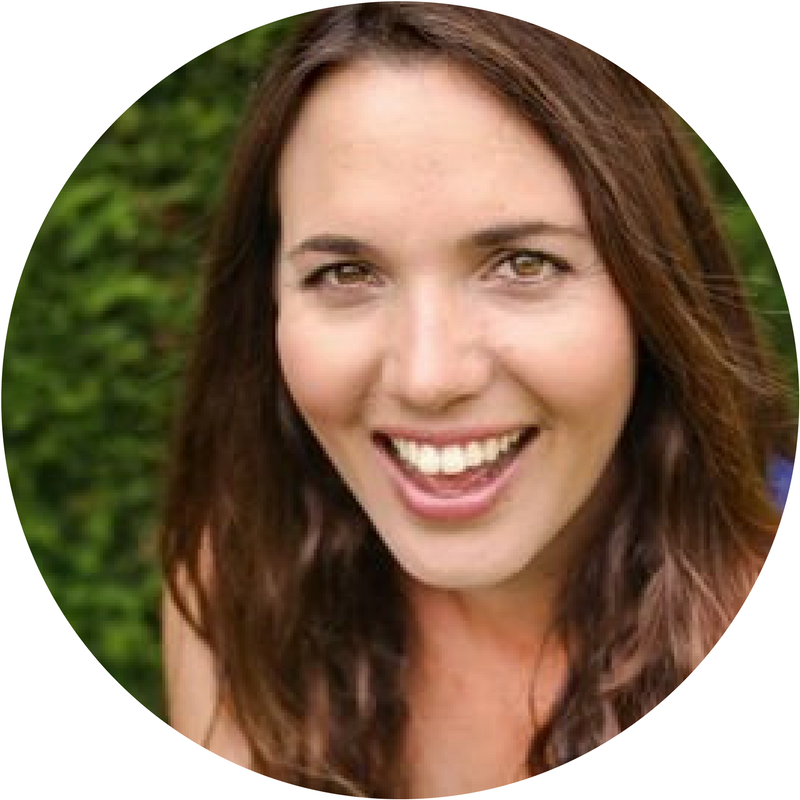 Over 15 years of living, studying and working internationally, in Rome, Milan, Manchester, and London, Dominika Miernik is an award winning international career coach and business Idea generator for women. Her website is DM Coaching. She specializes in helping expat women seeking to make an international career change to navigate the challenges and opportunities associated with discovering their dream career and then adapting to a new country. For self-employment-minded women, she expertly guides them to connect the dots between what they love to do and how they can design a business that matches their desired lifestyle. 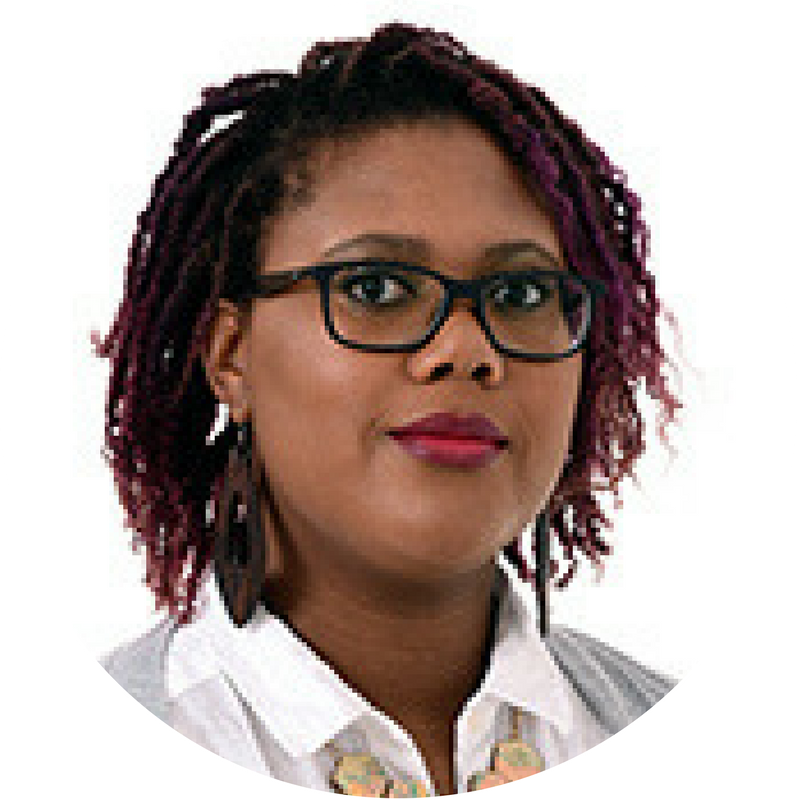 Kira Miller Fabregat is an ATCK with a diplomatic upbringing in Argentina, Australia, France, Trinidad & Tobago and several other countries. After 16 moves, she is currently living with her Chilean husband in the UK, her 9th country. Lawyer turned Ontological Coach and Leadership Consultant, she current works at an upper management consulting firm, coaching executives and international people. She is also a member of the teaching staff in several executive courses on Strategic Leadership at University Adolfo Ibáñez (Chile) and the training program for ontological coaches at The Newfield Network. She is passionate about intercultural issues, diversity and adult learning. Isabelle Min is an ATCK who spent her formative years in six countries speaking English, Italian, French, Portuguese and Korean. Since 1999, she has continuously developed a series of workshops exploring challenges and strategies to globalize the Korean workforce based on her 13-year corporate career that includes 7 years as a broadcaster on a national TV & radio (KBS). At Transition Catalyst Korea (TCK) Institute, Isabelle collaborates with local and international professionals to catalyze organization and leadership transformation through facilitation, coaching and communication training. In 2010, she launched the Transition Group within Seoul International Women’s Association, TCK Network to support TCKs and the FIGT Korea Affiliate. Aiko Minematsu is an adult TCK residing in Tokyo, Japan. Enrolled in seven elementary schools in Japan and the USA because of her father’s job, her childhood was a constant move between different cultures. 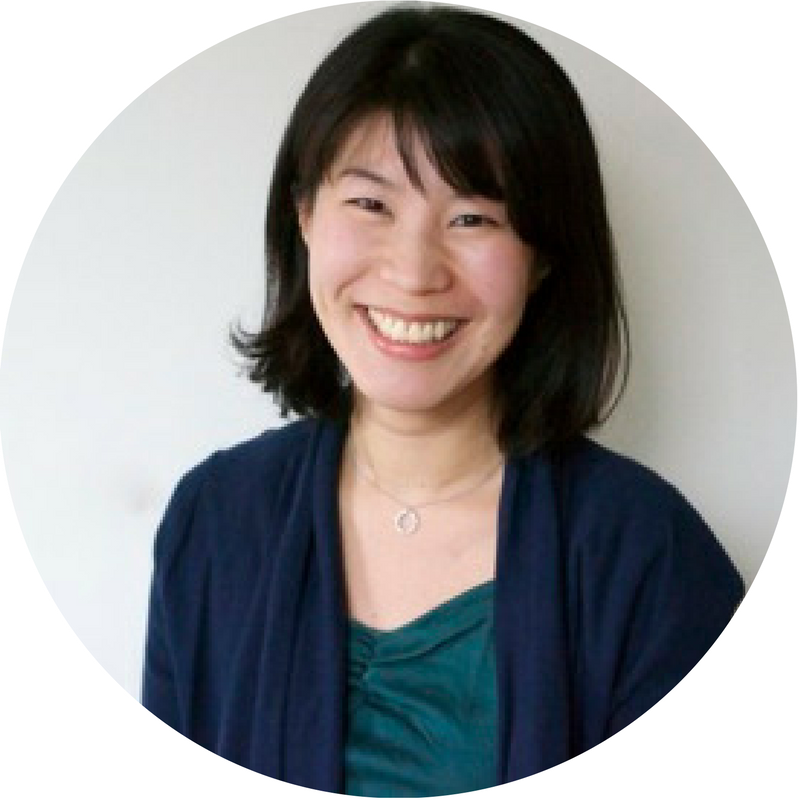 She holds an MA in TESOL from Teachers College Columbia University and a secondary school teaching license for teaching English in Japan. She has taught English to returnee students in Japan for over ten years, and currently is a university lecturer in Tokyo, teaching English for academic purposes and research methods. Her research interests are identity trajectories of TCKs and adult TCKs, language education and multilingualism, and teacher education. Her life goal is to empower TCKs in Japan through education. Aiko writes a blog, Life of an ATCK, and is a 2018 David C Pollock Scholar. 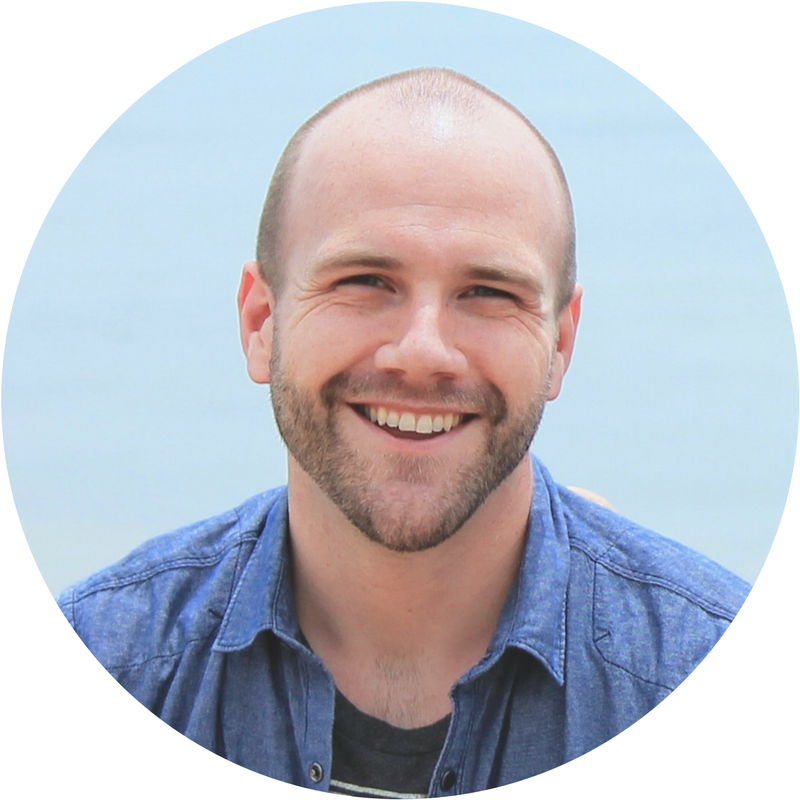 Adam Mosley is a former pastor and missionary who has channeled his passion for the global poor into an effort to bring clean water to over 2.1 billion people who live without this most basic element of life. 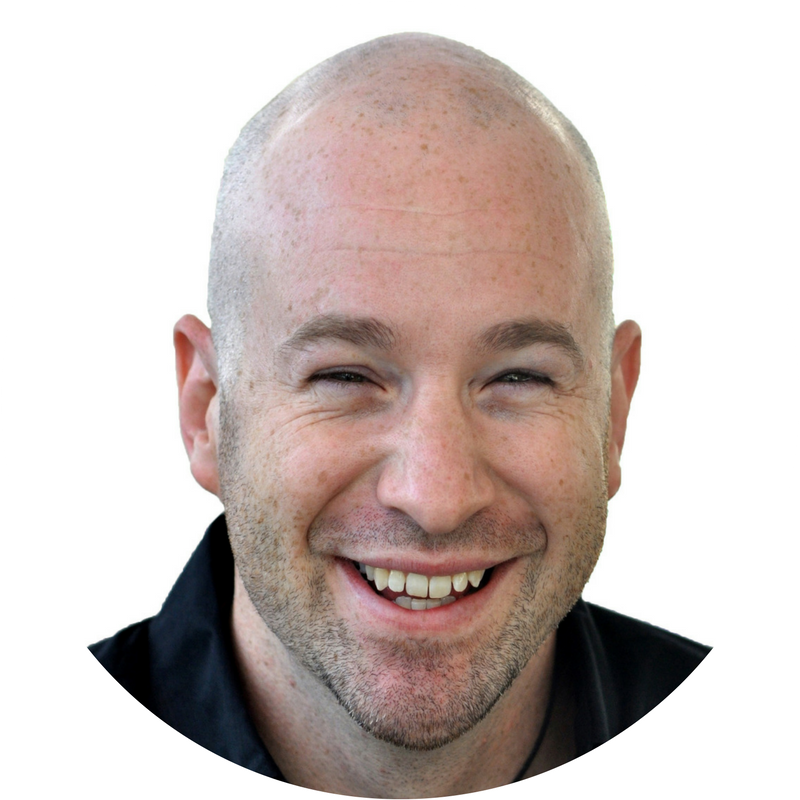 As the Director of Global Business Development for UZima Filters, Adam builds bridges between expats and locals, between businesses, governments, and NGOs, and between felt needs and financial realities. Adam and his family recently relocated from Kenya to Atlanta, Georgia, a city full of families in global transition and future expats in the making. Bryce Newbanks is a third generation ATCK. Having grown up in a military family like his mother and grandmother, he spent a portion of his childhood outside his country of origin. He was born in California and moved to the UK at age seven. At age fourteen, his family returned to the US. He currently lives in Nebraska and has a career in the automotive aftermarket industry but has spent time in Massachusetts, where he studied the Persian language. Though he's lived in some places for extended periods of time, he's never felt a sense of permanence in, even today. He attributes this to a third culture childhood. Mikaela Newbanks identifies as an ATCK, because of the opportunities provided to her in a USA military family. Born in southern California, she spent many of her developmental years in Suffolk, England. At the age of fifteen, she and her family returned to the United States. She received a Bachelor of Science degree in Communicative Arts. She worked in Advertising and continued her studies in Fine Art. Her online portfolio is at www.MikaArtandDesign.com. She began her career as a Technical Writer. She is currently living in Columbus, Nebraska technical writing, and painting. She enjoys discovering art and music of other cultures in relation to human behavior and communication. Dana Nelson, PhD, is an American clinical psychologist and psychotherapist who never dreamed of living abroad before she met her French husband in grad school. She now lives in Lyon, France, where she has a private counseling/psychotherapy practice. Her specialty in working with expats, intercultural couples, and others living abroad has grown out of her own life experiences. This past year, she also started a new adventure, launching the Mindful Expat podcast, where she shares insights and interviews with experts on topics related to emotional wellbeing and resilience while living abroad. Her website is Inner Journeys Counseling. 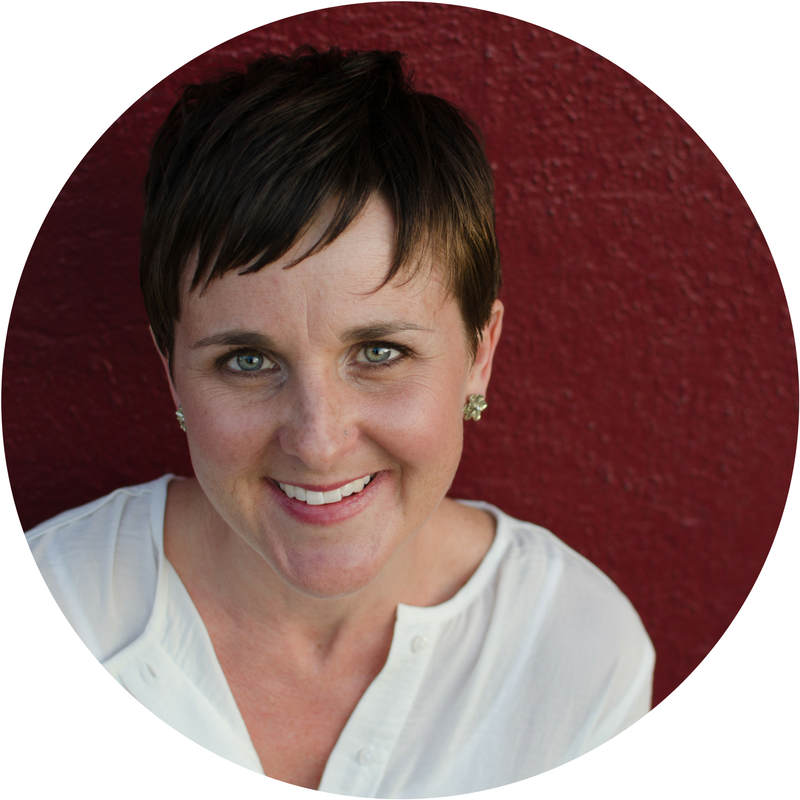 Dr Tami Nelson has a doctorate in clinical psychology from the Minnesota School of Professional Psychology. She is currently working towards her license as a clinical psychologist, which is expected in the fall of 2017. Tami has worked in community mental health, private practice, and hospital settings. In her current practice, Therapy Solutions Abroad, she sees expats experiencing adjustment problems, anxiety, depression, PTSD, and a variety of other issues that can present or become worse overseas. Her diverse background in medical settings also enables her to see people struggling to cope with challenging medical problems and stress-related substance use. Tami’s passion for serving people living overseas comes from her understanding as an expat of just how complicated this life can be. Megan Norton, self-identifies as an Adult Third Culture Kid. She has lived in ten countries, five US States, and has visited more than 30 countries. 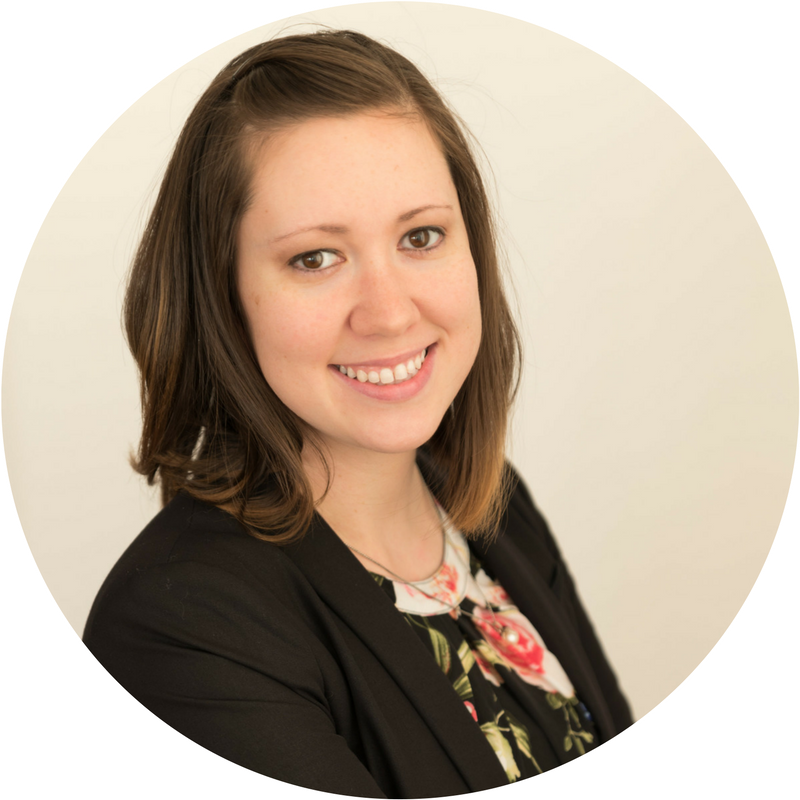 Megan is an intercultural dialogue facilitator tackling issues of social, economic, and cultural differences. Her research focuses on trends in transnational higher education and its influence on intercultural relations. Norton holds MAs in Intercultural Communication and Business and Strategic Communication, and a BA in Public Relations. Megan is passionate about hearing and telling ATCK stories. Her website is Intercultural Transitions. Christopher O’Shaughnessy is a passionate and versatile author and speaker who uses a unique blend of story-telling, humor, and provocative insight to engage a wide array of people on topics ranging from Third Culture Kids and the effects of globalization to building community and increasing empathy. Chris’ book, Arrivals, Departures and the Adventures In-Between, has received high praise from students, teachers, and other experts in the TCK and international community as a resource that is both enjoyable to read at a student level, and able to instill truths, insights and skills essential to navigating life successfully as a TCK. It has also been used in teaching cross-cultural skills and instilling global awareness in a variety of disciplines at the college level and for businesses. Meghann Ormond is Associate Professor in Cultural Geography at Wageningen University in the Netherlands. 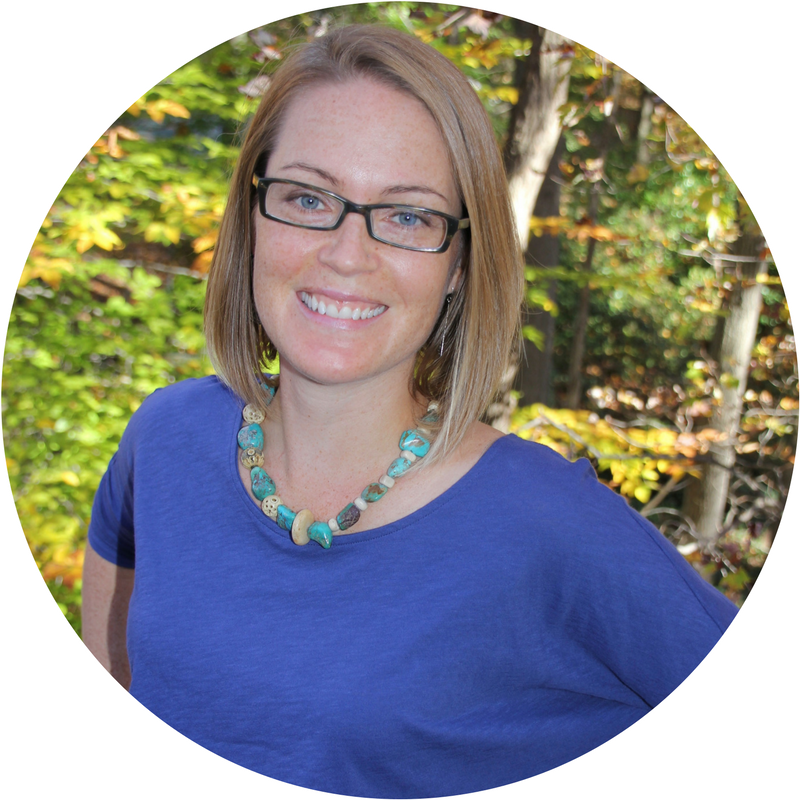 Meghann is a human geographer, and her research focuses on the intersections of transnational mobility, health, and care. 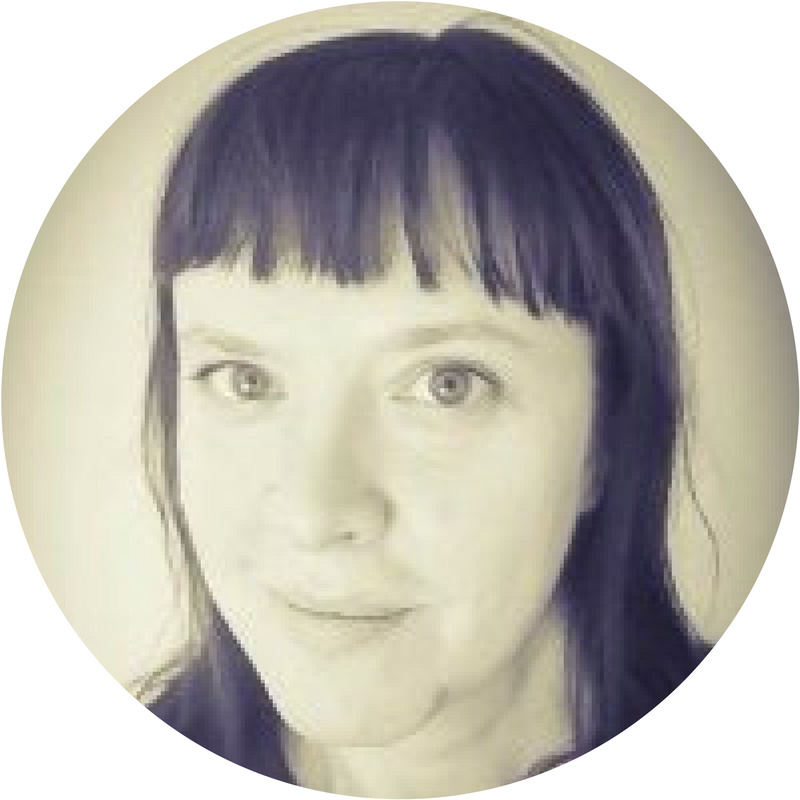 Her work offers insight into how shifting visions and practices of citizenship, responsibility and belonging impact health and social care arrangements and transform social and economic development agendas. Learn more about and her work and research here. Mariam Ottimofiore is an adult TCK and a Pakistani expat, who has spent the past 16 years living abroad in the US, UK, Germany, Denmark, Singapore and the UAE. 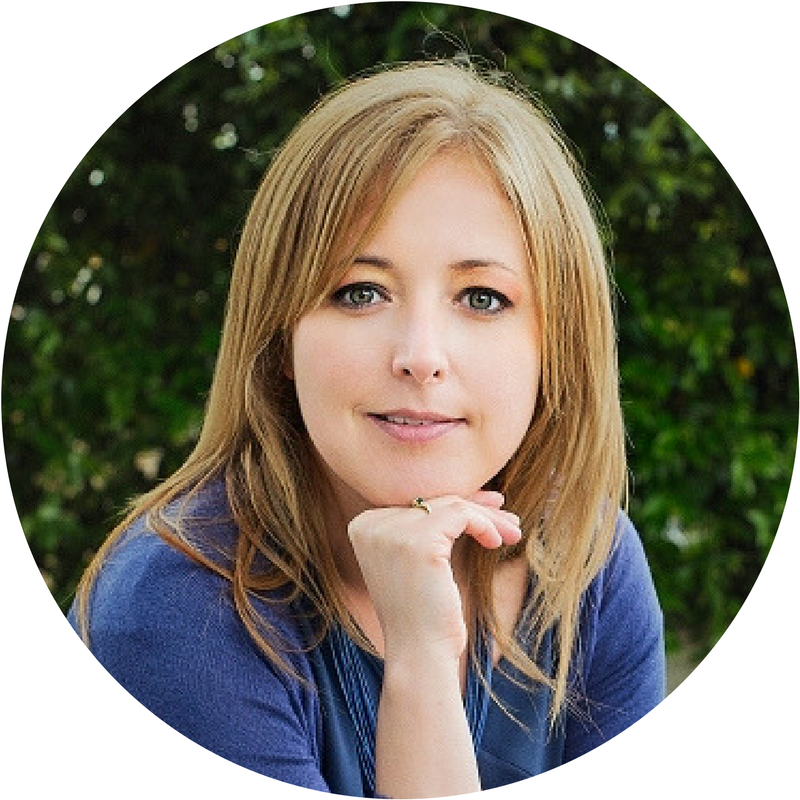 She is an economist, writer, researcher, author and founder of the blog "And Then We Moved To" www.andthenwemovedto.com in which she explores expat life, raising multicultural and multilingual children, and world travel. She is the co-author of an Economic based research book called ‘Export Success and Industrial Linkages’ (Palgrave Macmillan 2009) and her writing has been published on the Huffington Post, Expat Living Singapore/Hong Kong, Global Living Magazine and Expat Connect Dubai. 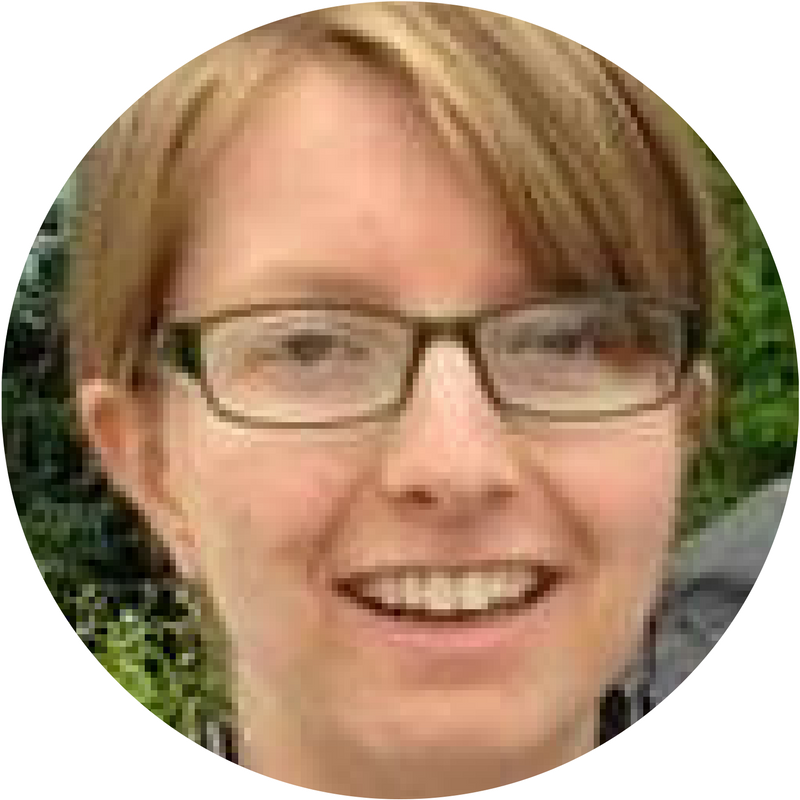 She was also a Parfitt Pascoe Writing Resident for FIGT 2017. You can follow her work on Facebook, Instagram and Twitter. 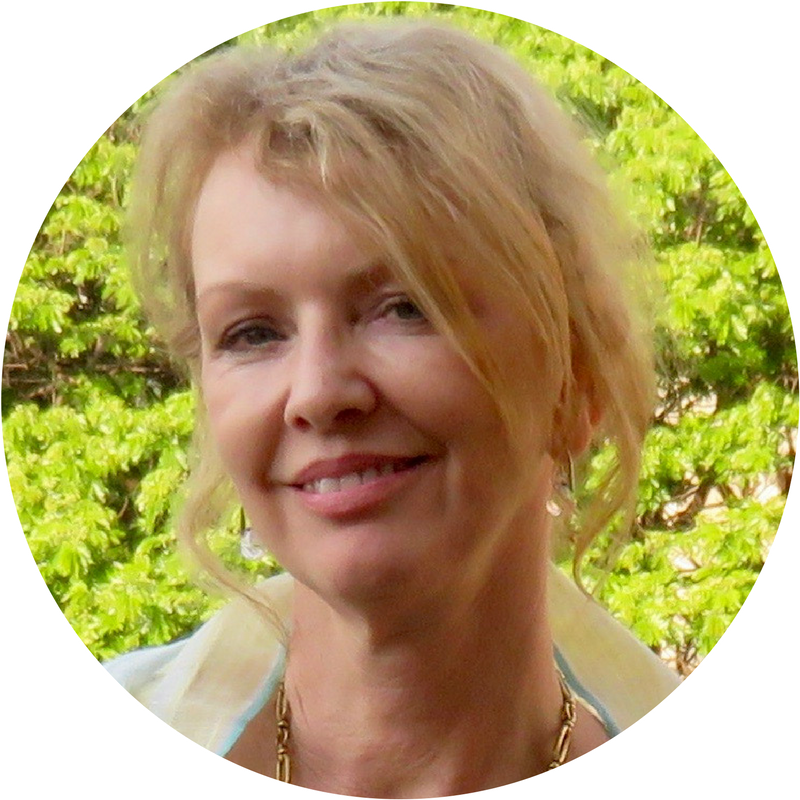 Jo Parfitt has run Summertime Publishing since 1997 and Springtime Books with Jack Scott since 2014. Together with a team of freelancers they help authors to brainstorm, plan, write, edit, design, publish, digitise and promote their books. 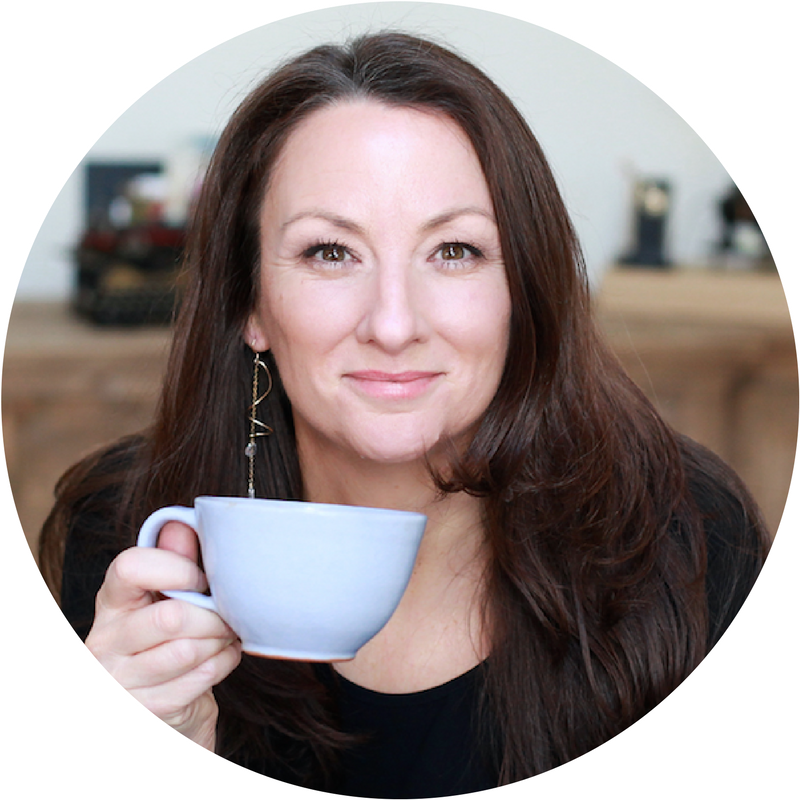 Jo has written over 30 books of her own and mentored countless new authors to get in print. Writing is her world and Jo not only writes poetry, blogs, articles and books but also teaches, runs Writing Me-Treats and is a keynote speaker. Since 2014 she has run the Parfitt-Pascoe Writing Residency for FIGT. 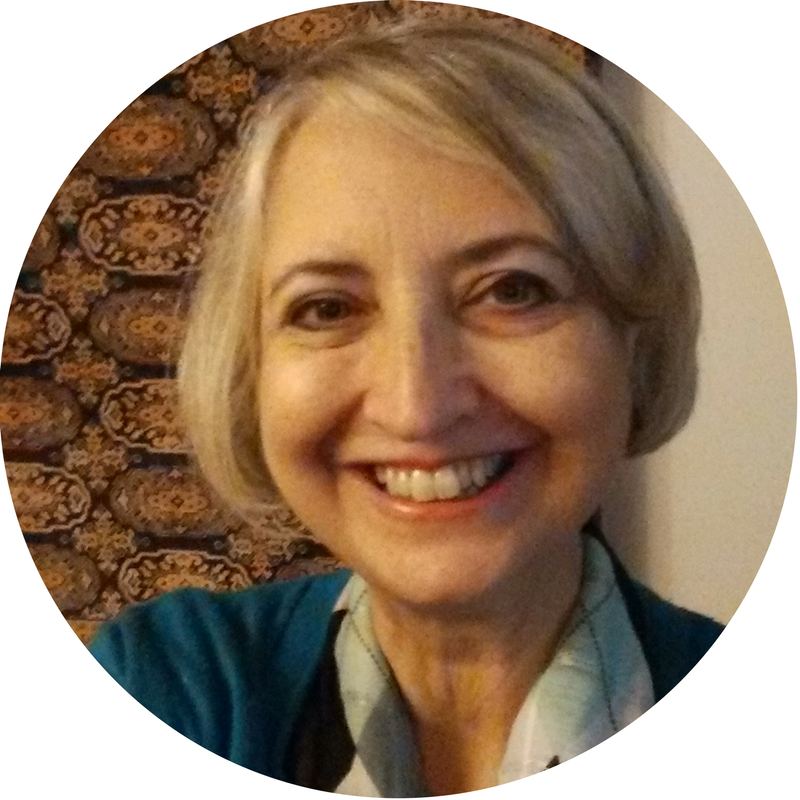 Carolyn Parse Rizzo is a Certified Child Life Specialist, psychosocial educator, and Core Energy™ life coach living in Northern Italy with her multi-cultural, bi-lingual family. Her fledgling private practice, Interval Coaching, supports internationals in building resilience and vitality through health and medical challenges, limbo, and loss. An expressive-arts enthusiast, Carolyn feeds her soul and builds grit by singing vintage tunes in local wineries with a 20-piece Big Band, practicing The Morning Walk up the foothills of the Alps, growing and celebrating lavender, and hosting Vibrant Woman Circles in the hills of northern Italy. Jennifer A Patterson, CFP®, CIMA™, TEP is a recognized pioneer in cross-border wealth and life design, author and speaker. She’s lived overseas over half her life thanks to her cross-cultural marriage and is the proud momma of two tri-national teenagers. Jennifer is the author of When Families Cross Borders: A Guide for Internationally Mobile People, the first book written on cross-border personal financial planning, and has contributed to several other books for the globally mobile. She is the founder of Patterson Partners Ltd., an independent financial advisory firm specializing in cross-border tax and financial planning for overseas Americans, and the Global Institute for Life and Wealth, an education and training company. Stay updated on Facebook. 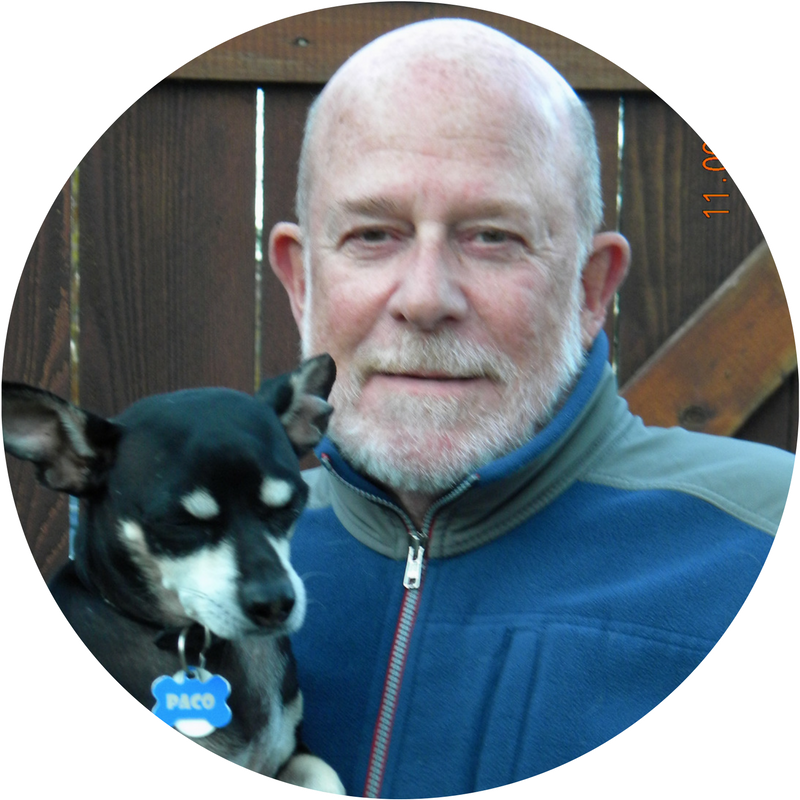 Michael Pollock is an international educator, author, presenter, consultant, coach, and TCK care advocate. His passion for cross-cultural care and mentoring, fueled by his father, Dr. David Pollock, his TCK childhood in the US and Kenya, and nine years as a trainer, presenter, administrator and father of TCKs in China, led him to found Daraja in 2012. 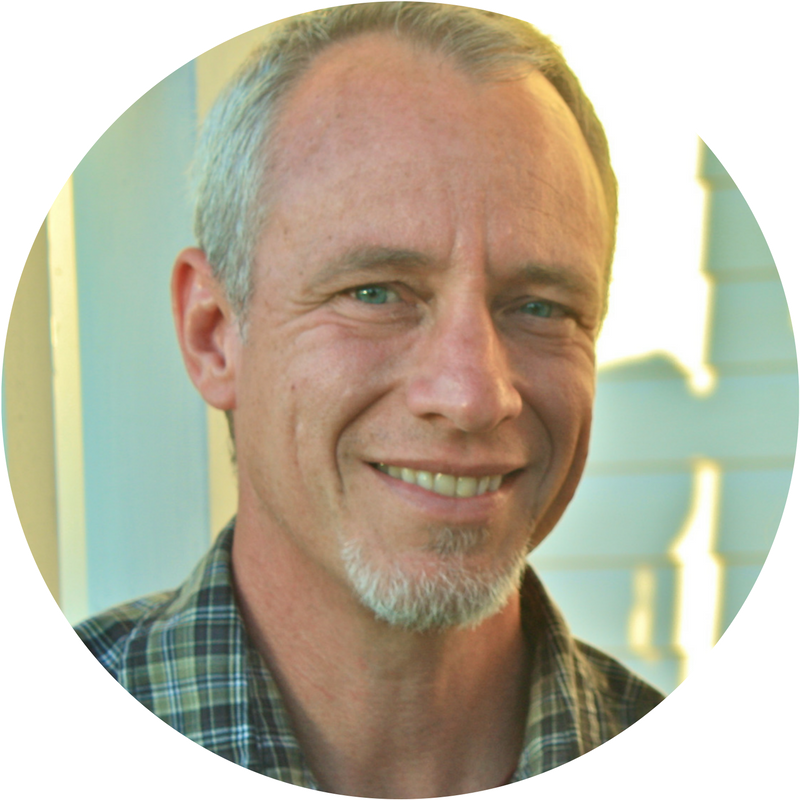 With a Masters in Education and certifications in experiential education and coaching, Michael enjoys developing curriculum, training practitioners, coaching, and running retreats and seminars focused on globally mobile families and TCKs. Through Third Culture Kids: Growing up Among Worlds 3rd edition Michael hopes to advocate for and promote the care of TCKs and the cultivation of a thriving life for cross-cultural people. wonderful grown-up young men. Barbara-Anne has worked as a musician, performer and story-teller for her entire adult life having written and performed in successful stage shows throughout South Africa. After years of working with big bands and many talented performers, Barbara-Anne then wrote her most acclaimed, one-woman stage show "Casual Sax." In 2017, she wrote the children's book "A Family Just Like Mine" to help her daughter to explain to her peers why it was that she had a Tummy Family as well as a Heart Family. Tina Quick is an author, cross-cultural trainer, and international speaker. She is an adult Third Culture Kid and has raised her own three TCKs across four cultures and continents. Tina works closely with colleges and universities, domestic and international schools. Witnessing the struggles of students who have not yet learned how to live out the differences their international upbringing has created in them in a positive and fulfilling way has inspired her to create specialized training to suit their individual needs. 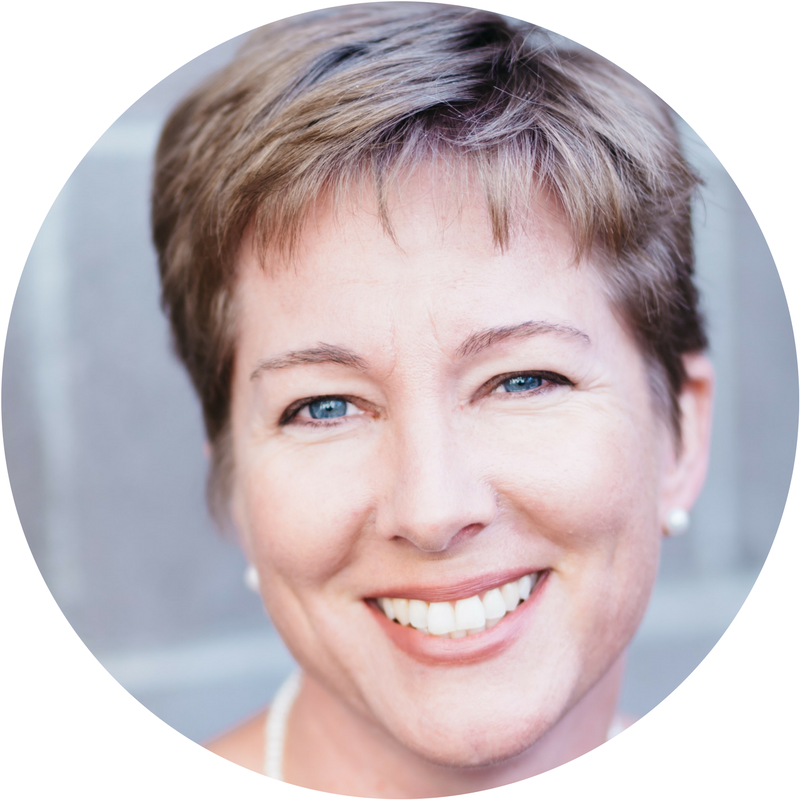 She is the founder of International Family Transitions http://www.internationalfamilytransitions.com, a consultancy with a focus on empowering individuals, students and families to successfully negotiate international relocations through cultural training, seminars, and workshops. Debbie Reber, a bestselling author of inspiring Young Adult fiction and nonfiction for girls, changed her career dramatically in 2016 when she founded TiLT Parenting, a website, podcast, and social media company for parents like her who are raising differently-wired children. Debbie's next book, "Differently Wired: Raising an Exceptional Child in a Conventional World," will be published by Workman Books in June 2018. She currently lives with her son and husband in the Netherlands. 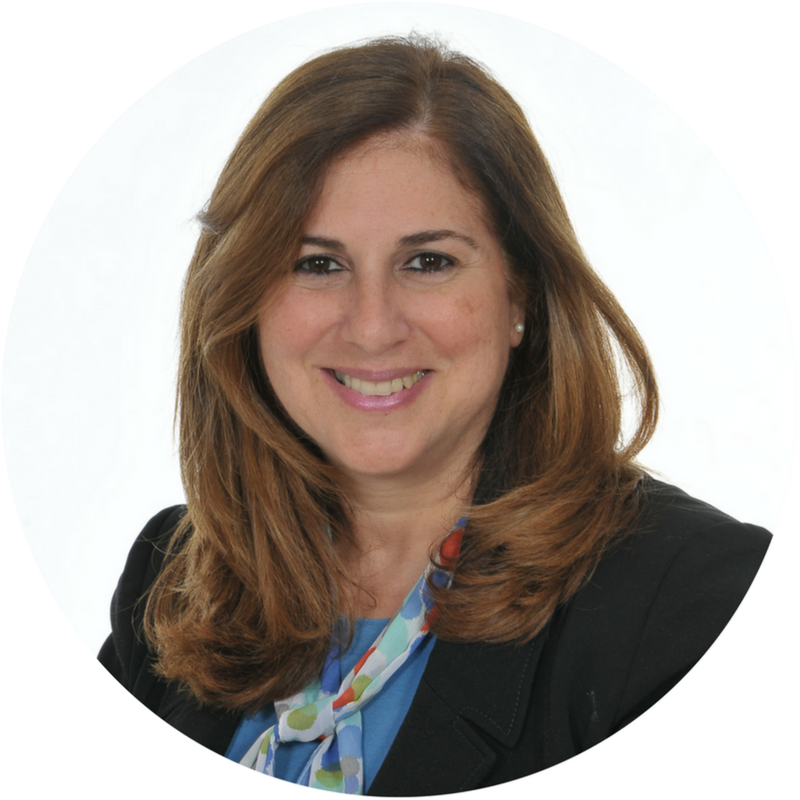 Ximena Reyes is an Intercultural Trainer for Forbes 500 companies, and a consultant for world-leading relocation companies. 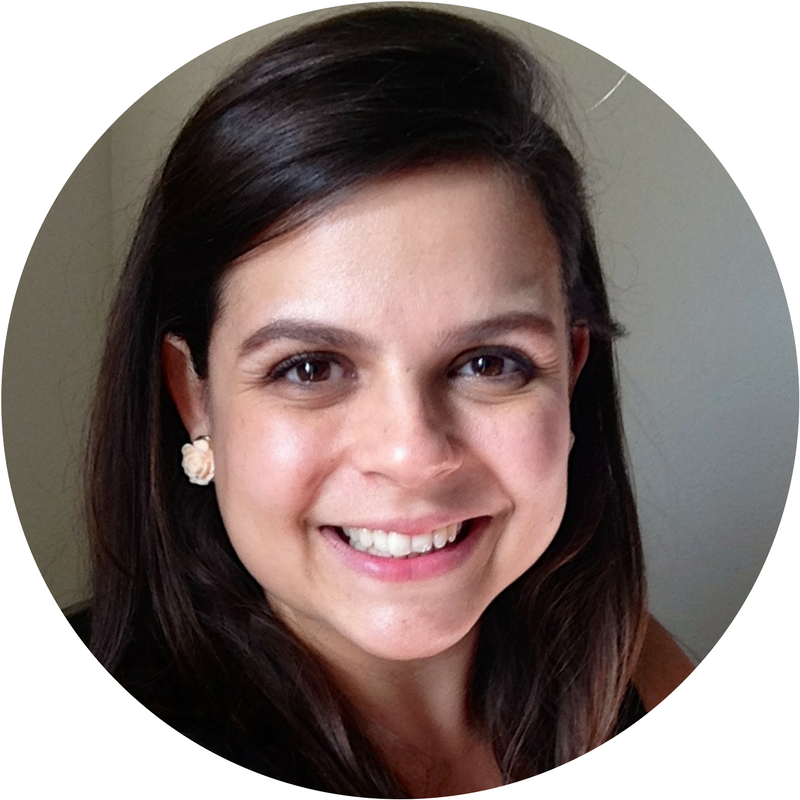 Ximena has lived and worked in different parts of the world, Chile, United Arab Emirates, Russia, Sweden, and Turkey. 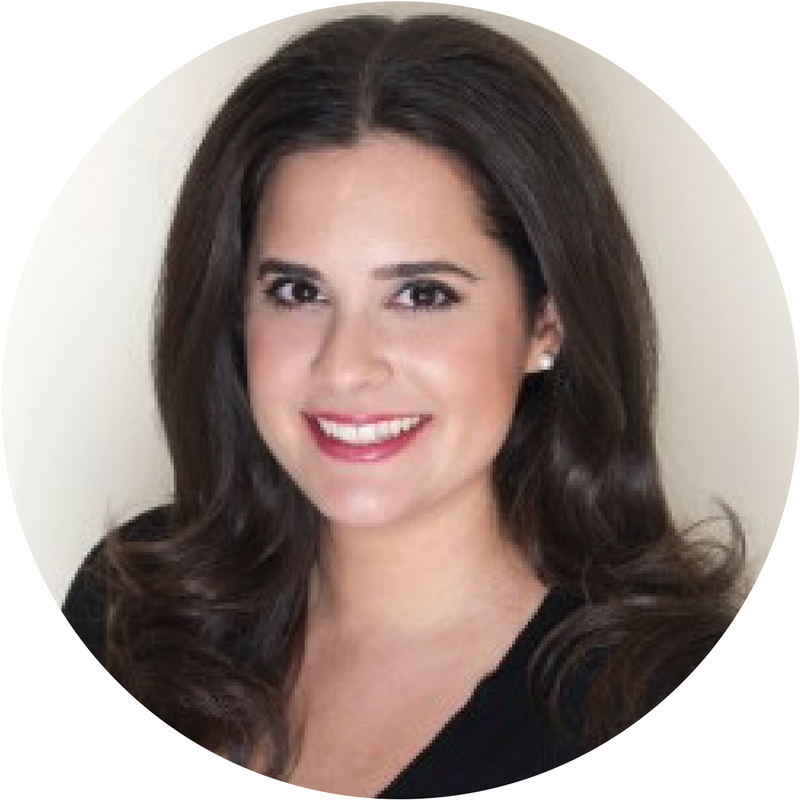 Ximena is a multicultural family member and passionate advocate for expat matters. Jeanne Riether is an American author, humanitarian worker and global nomad who’s spent over 40 years abroad. She’s lived in China for the past two decades where she helped found and direct the Healing Young Hearts Project. 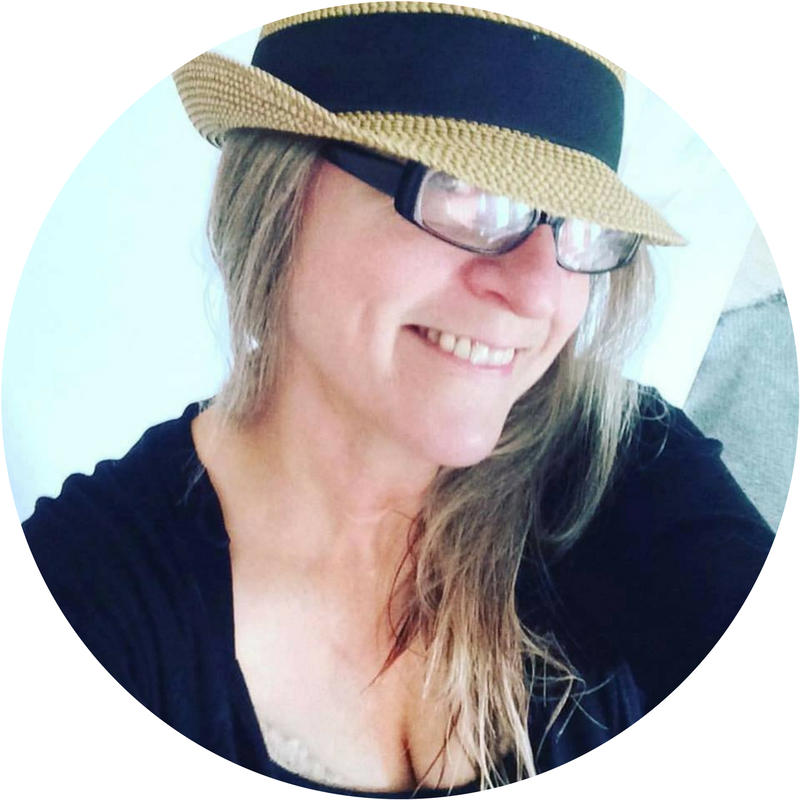 She loves creating free resources, and training volunteers to use stories, art, music and games to help children navigate stressful life challenges, chronic illness, disaster and trauma. She was nominated for the 2016 Haihe Friendship Award, Tianjin government’s highest honor, for contributions to social development, and received the 2010 Harbin Gandong television award, for disaster assistance. Her books and resources have been used by the International Red Cross and UNICEF’s Child Friendly Spaces in China, as well as by international families and volunteers. Jeanne is a 2018 David C Pollock Scholar. Sharon Ronan was reared by missionary parents in the remote Ryukyu Islands, where she experienced the joys and challenges of tropical living. She married a military man and went to college in the US majoring in English Education. They returned to Japan, working for 12 years in the greater Tokyo area and their two children attended Japanese schools. People kept telling Sharon their “stories” so she obtained a graduate degree in Counselling Psychology at Trinity International University in Deerfield, IL. After a decade of serving at-risk families in Michigan, she moved to Philadelphia as Director of Foster Care at Bethany Christian Services. Three years ago, Sharon became a school counsellor at the Anglo-American School of Moscow helping families make successful transitions. Having been involved with FIGT in the early years, Sharon looks forward to returning to the conference in the 20th anniversary year. 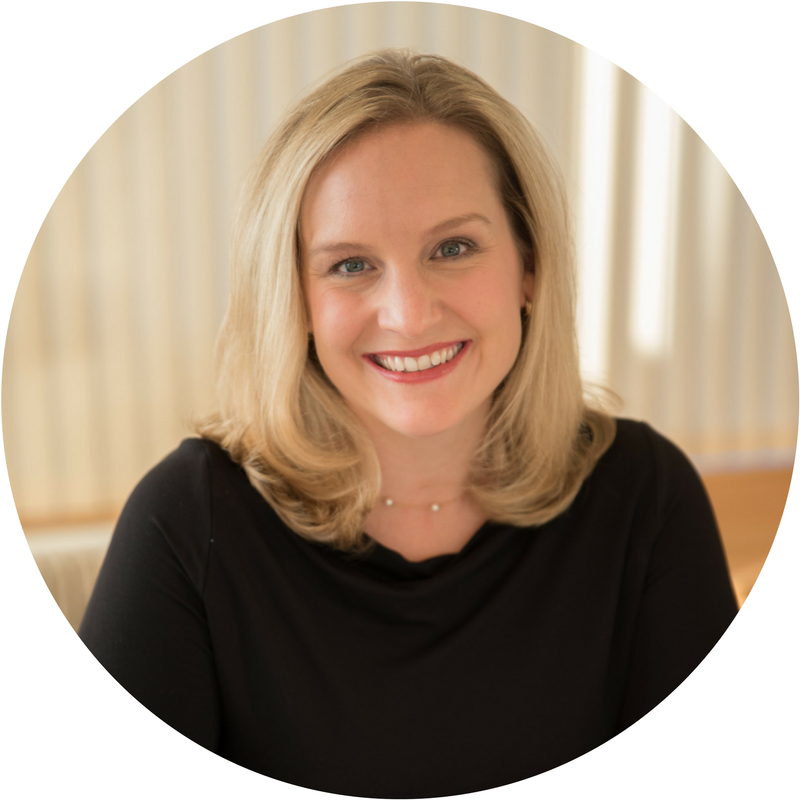 Dr Kelli Sanness is a licensed professional counselor and has a PhD in Counseling from The George Washington University. 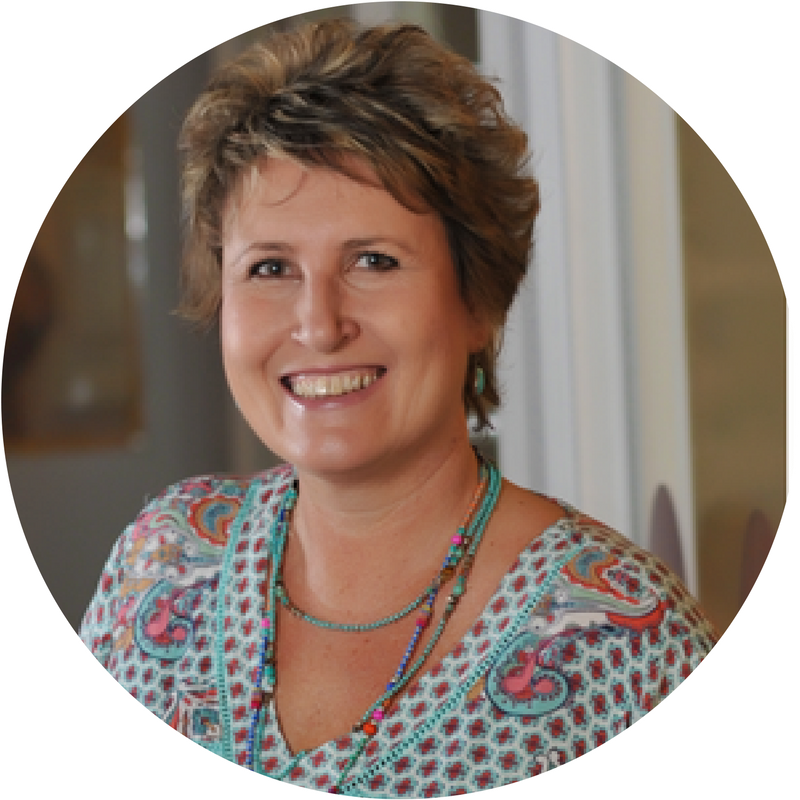 She has been practicing psychotherapy for 15 years and has experience treating adults, adolescents, and families. She has worked in community, school, university, hospital and private-practice settings. Kelli sees individuals experiencing adjustment problems, anxiety, depression, PTSD, complex trauma, dissociation and other issues that can be a source of stress or debilitation. 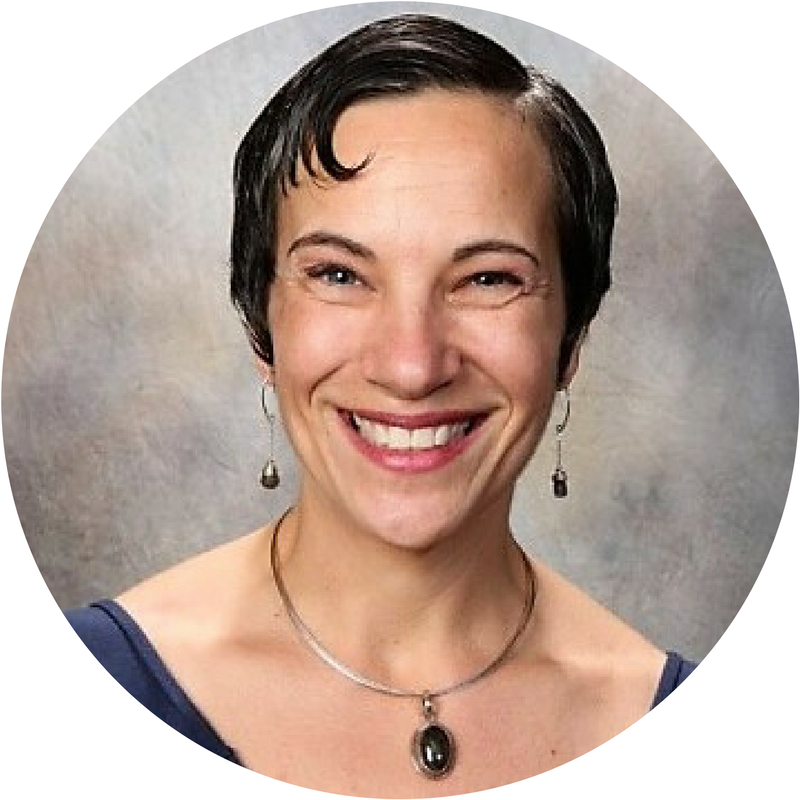 She is dedicated to training counselors and teaches graduate-level counseling courses as well as provides clinical supervision for counselor-trainees. Kelli is an expat and understands the unique issues expats and their families may face. Her website is Therapy Solutions Abroad. As a multiculturalism, diversity and inclusion expert, who raises cultural awareness to create social change, Dania Santana helps parents and children understand and embrace multiculturalism and diversity as a way of creating a peaceful and harmonious society without having to give up their cultural values and heritage. Dania is a published author and speaker on the subject of multiculturalism. She has made it her mission to educate and empower people all over the world about the importance of a multicultural society. With a bachelor degree in communications, her experience includes journalism, advertising for the US Hispanic Market and being recognized as one of the Top Latina Influencers in the USA. She is the founder of Embracing Diversity, LLC, a company which’s mission is to raise awareness about cultural diversity and inclusion. Jenna Strahm self-identifies as an ATCK after spending her growing-up years in Canada, Indonesia, Brazil, and the United States. Now she lives a "normal" life with her American husband in Washington, D.C., but is still learning to reconcile her TCK past with her developing adult identity. 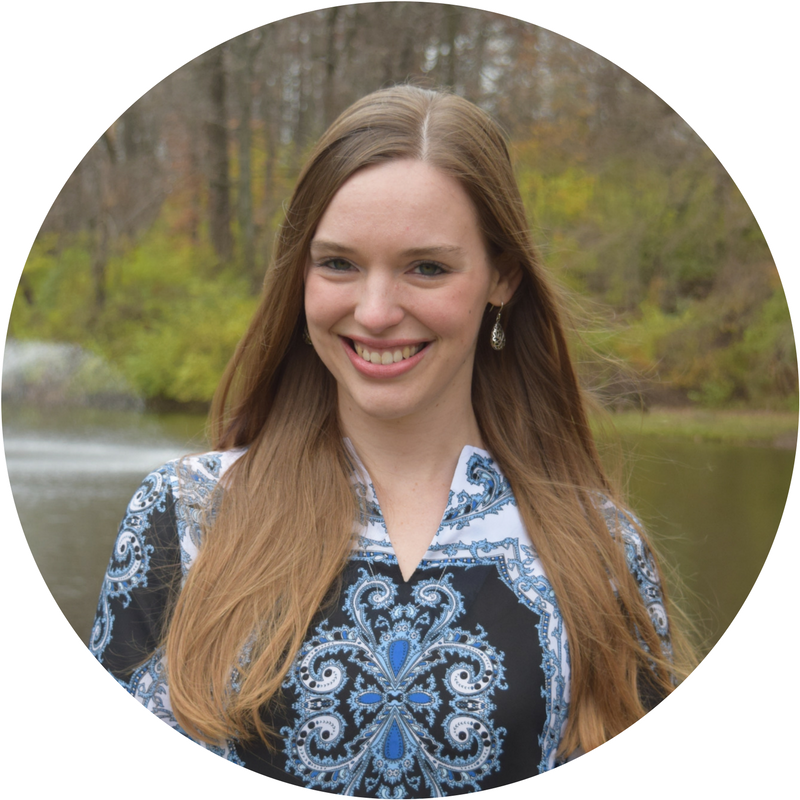 Jenna has a passion for helping TCKs who are repatriating to their passport countries. You can read about her reflections on being an ATCK on her blog. Stephen Toole is originally from Australia, where he grew up in a remote area 450 km west of Sydney. He now lives in Mumbai, India - a far cry from the open fields and fresh air of rural New South Wales. He began his teaching career in a small, isolated K-12 school 6.5 hours northwest of Sydney. 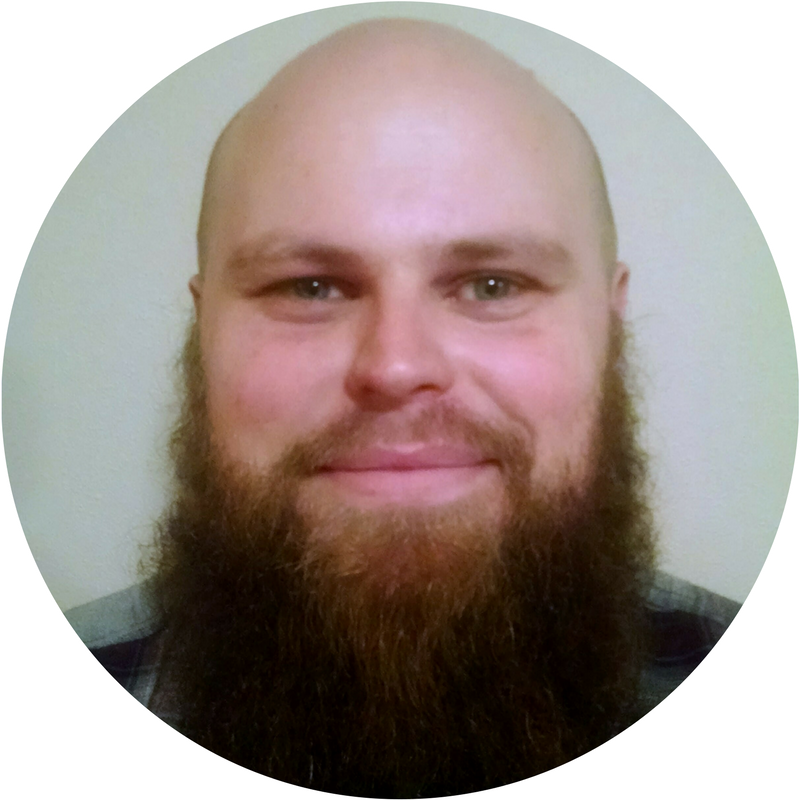 Stephen left Australia to work in a middle school in Atlanta, Georgia and it was here that his passion for middle school education began after teaching grade six for three years. His first international school experience was in China, and he then moved to Frankfurt, Germany and now lives in India where he and his wife are raising three third culture kids. 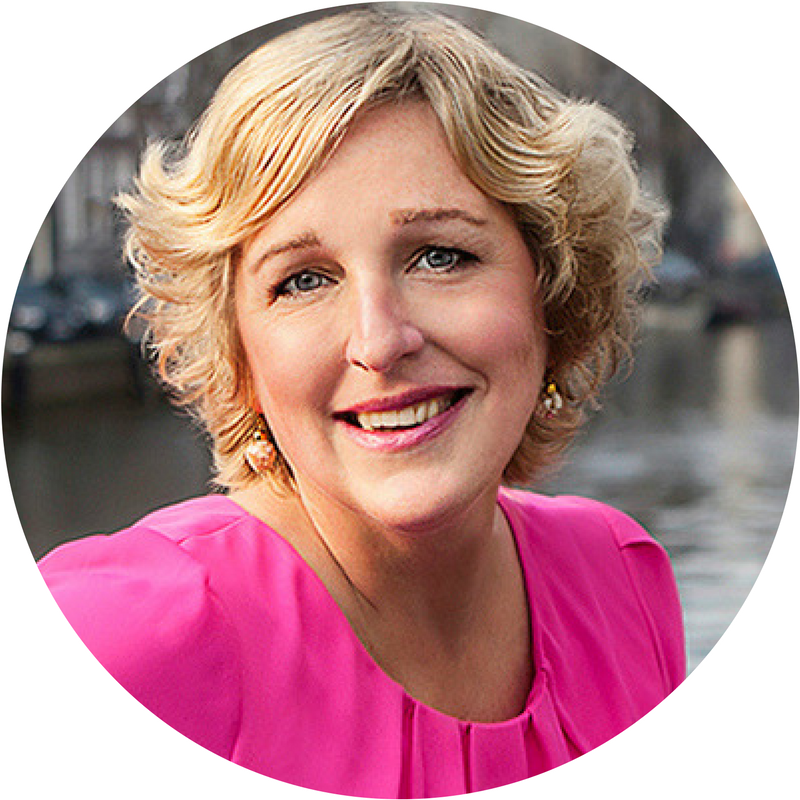 Annebet van Mameren is an education consultant from the Netherlands. She runs New2nl, a network that brings together expert service providers for international families in the Netherlands. Annebet has a master's degree in Organizational, Social and Personality Psychology and a research background in Intercultural Conflicts at Work. 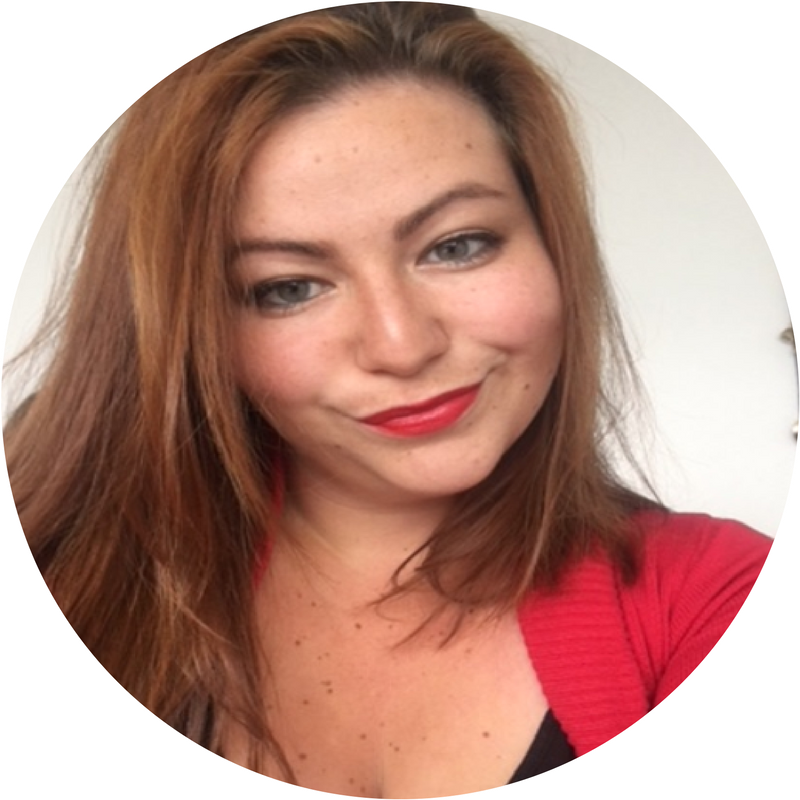 She has worked for multinational companies, lived and worked in Italy, and has a thorough understanding of the (educational) challenges international families to face when moving to the Netherlands. She regularly shares her knowledge and experience through international magazines and websites (GSGI, Expatica, ReLocate Magazine), and seminars to international companies and parents. Emma Vijayaratnam, a TCK, has been traveling and exploring the world since 1991 when she left the UK for a 6-month working holiday in Hong Kong. She met her Sri Lankan husband (an immigrant) in HK, and together they have lived in six countries across Asia and Europe, produced three TCK’s, and explored the challenges and rewards of a bi-racial family living in an assortment of cultures. She and her husband currently live in Tokyo, and their three children are boarding in the UK – causing them to experience yet another heart-breaking “good-bye.” This recent experience has caused Emma to seek meaning into some of the different types of goodbye as experienced by our global community. Carolyn Vines, author of Black and (A)broad: Traveling Beyond the Limitations of Identity, is a Life & Leadership Coach, cultural trainer, and international speaker. She's lived in the Netherlands for 18 years with her Dutch husband and three children. 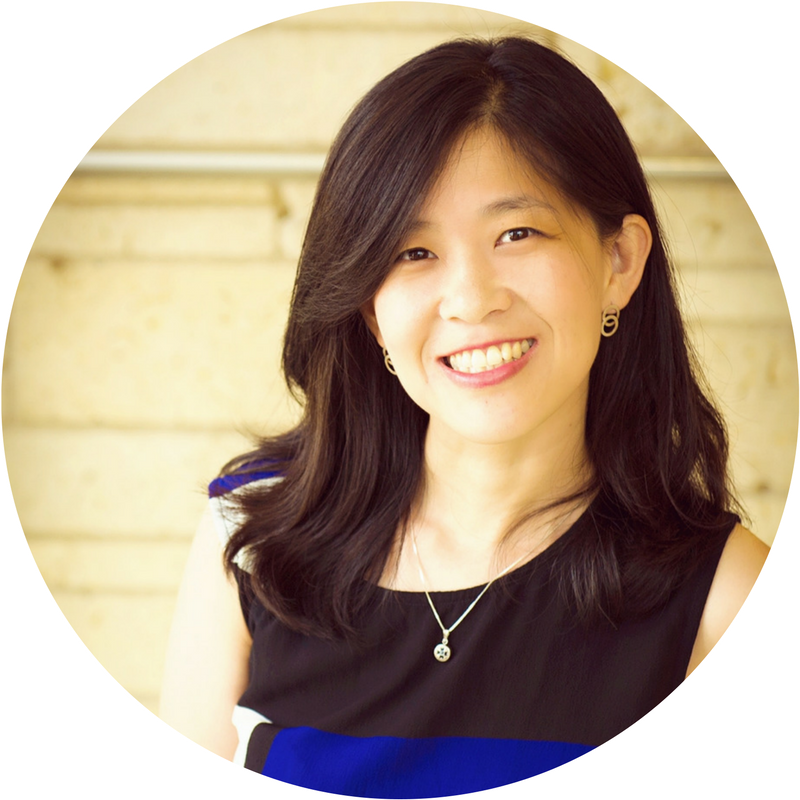 Jane W Wang is founder of Build Great Bridges, where she leverages her ATCK experience to build a global community ecosystem of professionals applying strengths toward social innovation. 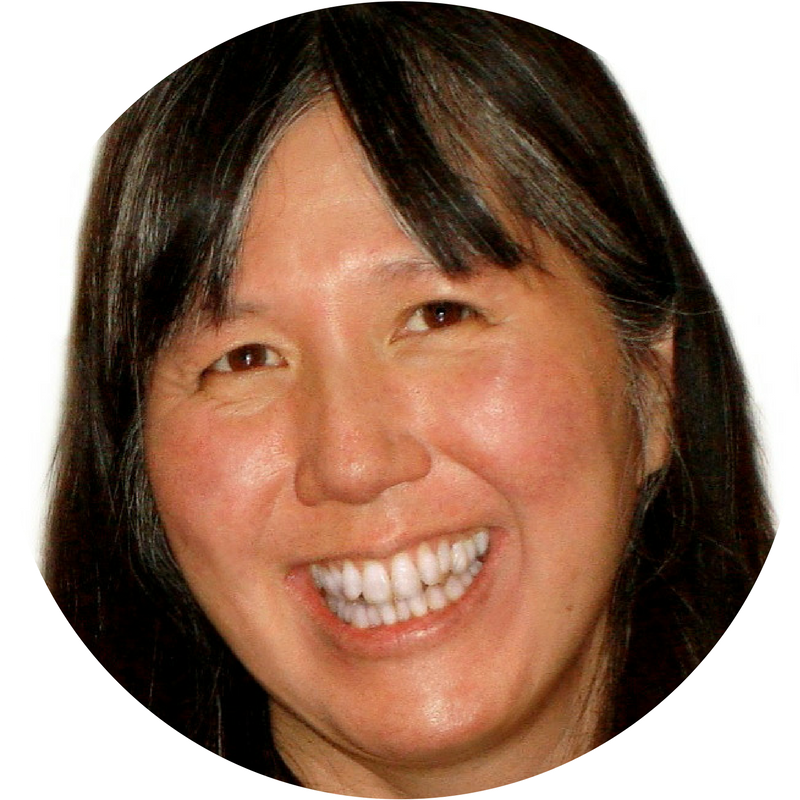 Jane draws inspiration from her prior work in intercultural training & consulting; global business in Tokyo, NY, and Taipei; community-building, i.e. Indivisible TW and Women's March TW; and degrees in sociology, international affairs, coaching, and the MBTI. Stephanie Ward is the Business & Marketing Mentor for Entrepreneurs and Small Business Owners who want to create meaningful and prosperous businesses. Stephanie is known for helping business owners get clear about their businesses and then generating marketing ideas that are a perfect fit for them. Her passion is to help her clients make a living doing work they love. She does this by combining her business and marketing background, her coaching skills, as well as her own experience. Her formal education consists of a Master’s degree in Communication and BBA degree in Business Management. Visit her website, Stephanie Ward Firefly Coaching. Elisabeth Weingraber-Pircher was raised in Austria and has lived in 10 countries on four continents. 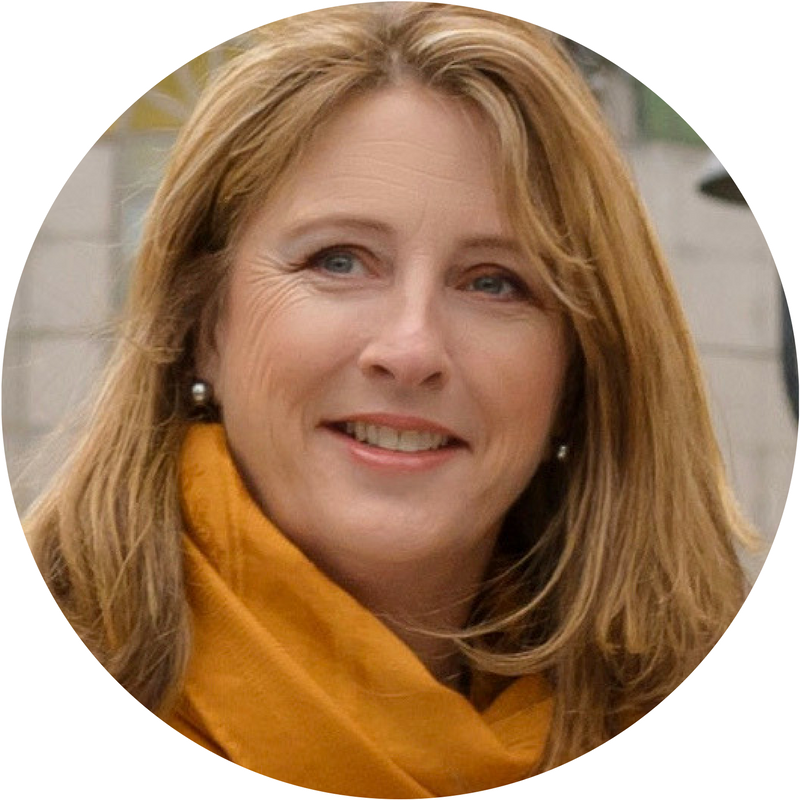 She currently calls Italy “home.” Elisabeth is an intercultural trainer, a leadership coach, and keynote speaker. She has an international business degree and previously worked as a business consultant. Elisabeth has started successful local expatriate networks and has a passion for organizing opportunities for expats & locals alike to engage deeply with different communities. She encourages people to seek difference and facilitates effective bridge building between individuals and communities. Her solid business background combined with her extensive personal expatriate experience benefit her clients in becoming more effective in today’s complex environment by developing intercultural competence and accelerating personal development and identity construction. Find her at Kultur.Elle. 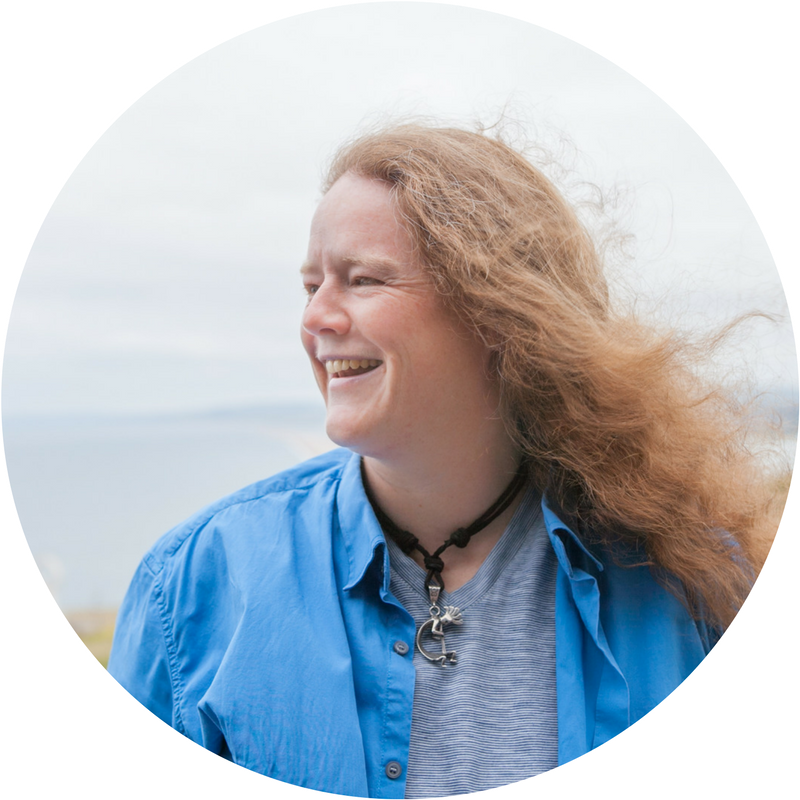 Karen Wilmot, aka The Virtual Midwife, is a midwife entrepreneur on a mission to address the Internet as part of the larger health communication system. 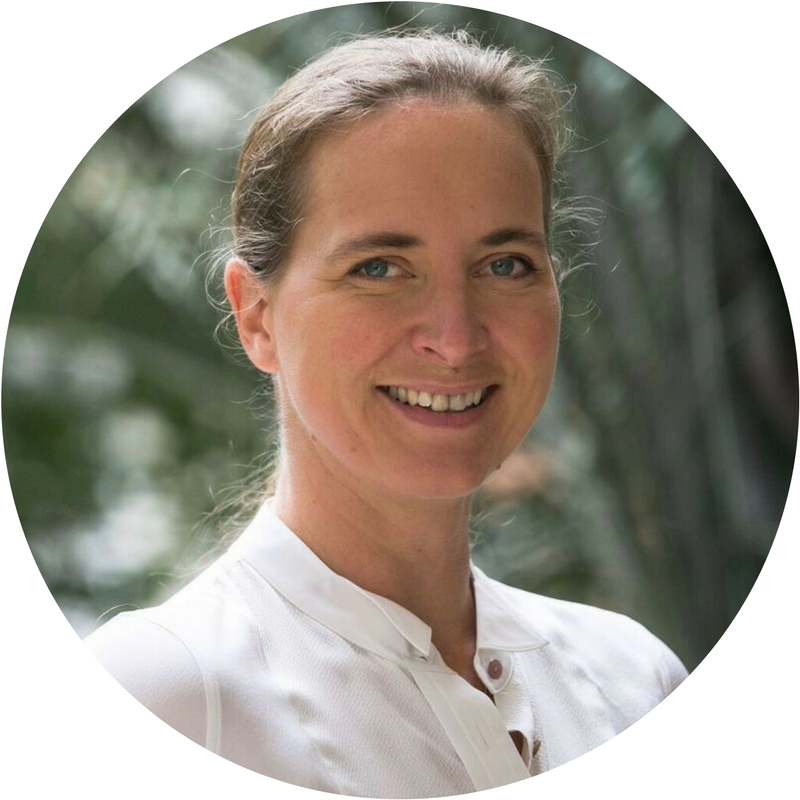 Working mainly with expats and being at the birth of hundreds of TCK’s has inspired her to develop the discerning and critical use of online technology by developing strategies, skills, programs, and systems that facilitate the principles of adult learning in antenatal education. Her dream is for every woman to give birth with confidence, trust, and love, regardless of where they are in the world. She holds the following degrees, RN RM RYT MAdEd. Terry Anne Wilson currently lives in India, her ninth overseas assignment. Her love of culture and history infuses her work, expressed in a blog read worldwide that became the platform towards authorship of her first collaborative book. Global experience as an ESL teacher, a Cross-Cultural Trainer and Tour Guide/Historian, has contributed to her research. This will be the fourth year of involvement with the Parfitt Pascoe Writing Residents, and she is currently working on a book project regarding the issues of empty-nest and global life. Terry Anne blogs at Notes on a Boarding Pass. Alice Wu's mother was a global nomad with Chinese diplomat parents, and Alice has lived in England, Finland, Sweden, and the US. She produced three videos about college age global nomads and is currently working on a fourth. She wrote a chapter about her videos and follow-up studies for Writing Out of Limbo (2012), edited by Nina Sichel and Gene Bell-Villada. She has presented about GNs at NAFSA, SIETAR, OACAC, FIGT, and UWCSEA conferences, and at Cornell, and has written related articles and blog posts. 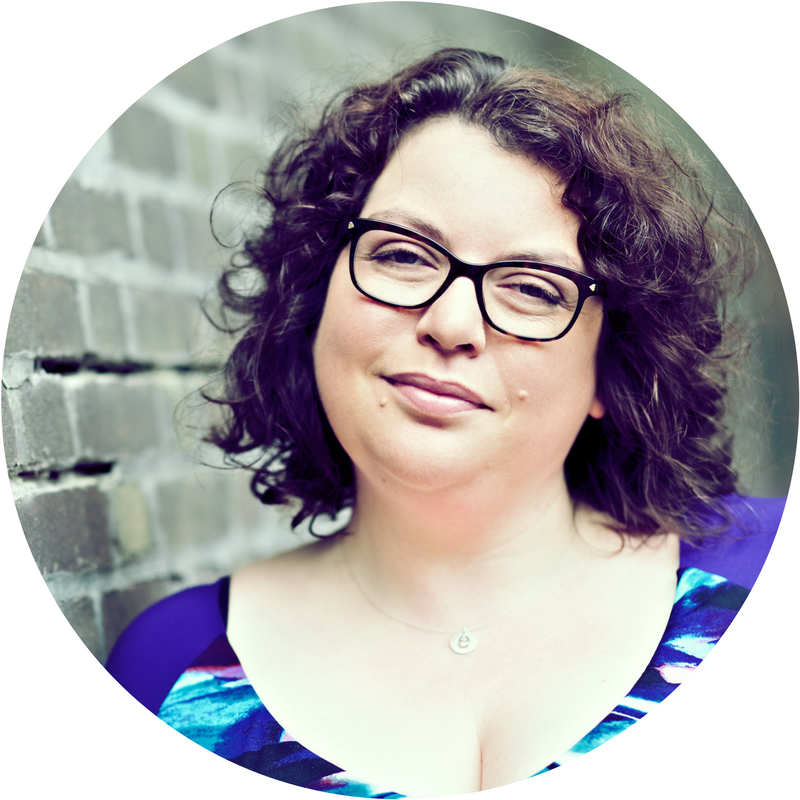 Rachel is an author, speaker, creator of the The Expat LifeLine range of programs and resources, and a website designer at Pencil Point Design. She has spent the last 7 years developing an online and in-person resource for relocating individuals and families, blending advice, real world answers, support and community with humanity, humility and a touch of hilarity. She is known for projects such as the Moving with Kids Summit, showcasing the work of experts in expatriation and global transition. Currently she is focused extending this work, helping authors, speakers and small business owners’ online presence better reflect their in-person expertise. She works with people who are great at what they do, building and managing their online brand so that their audience can find them, get to know them and hire them.